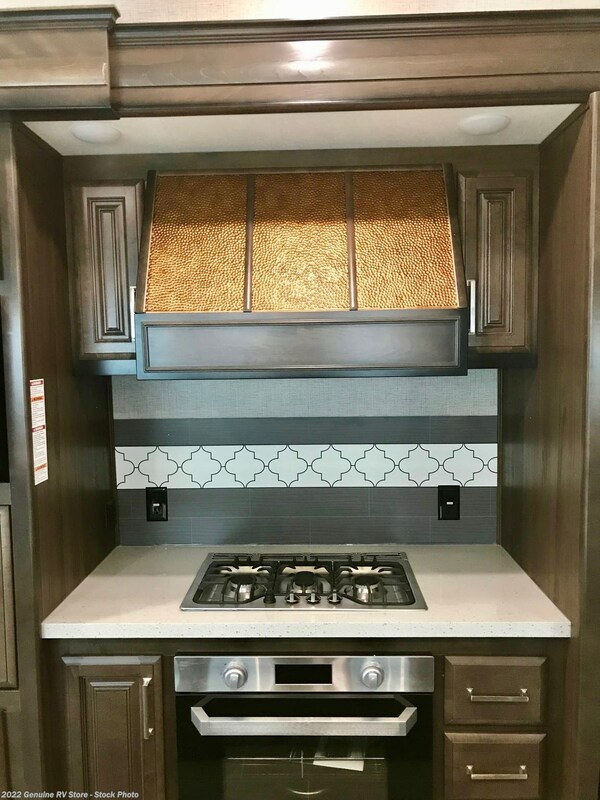 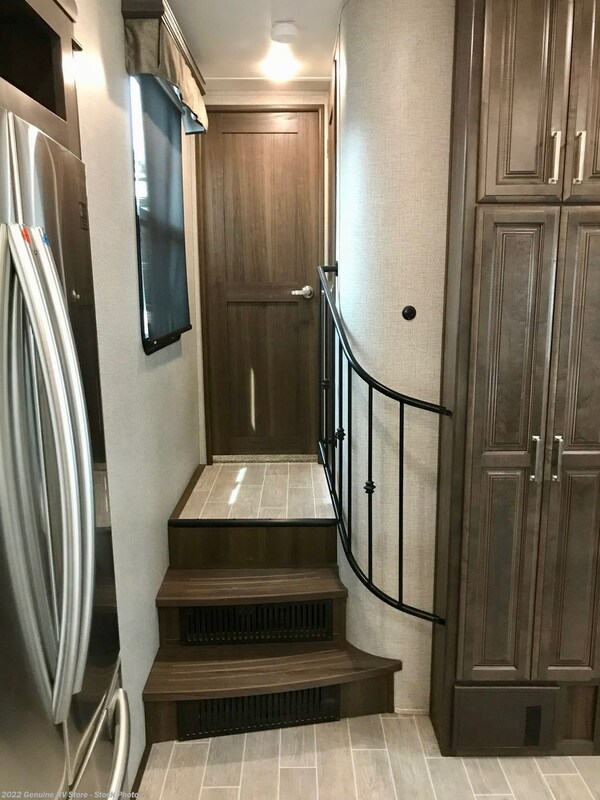 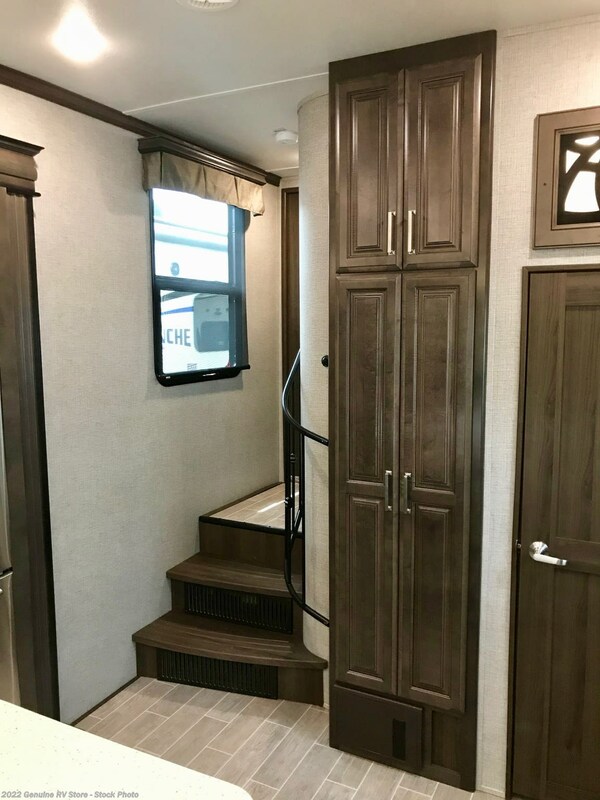 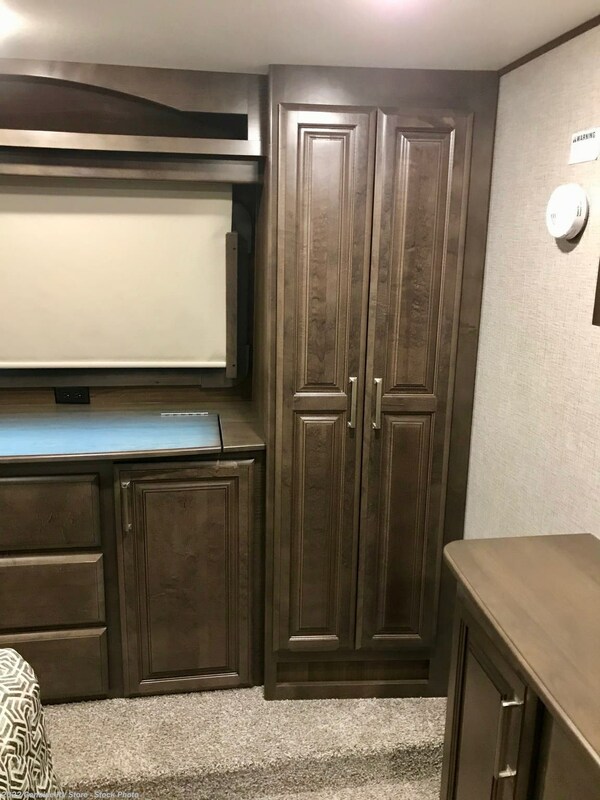 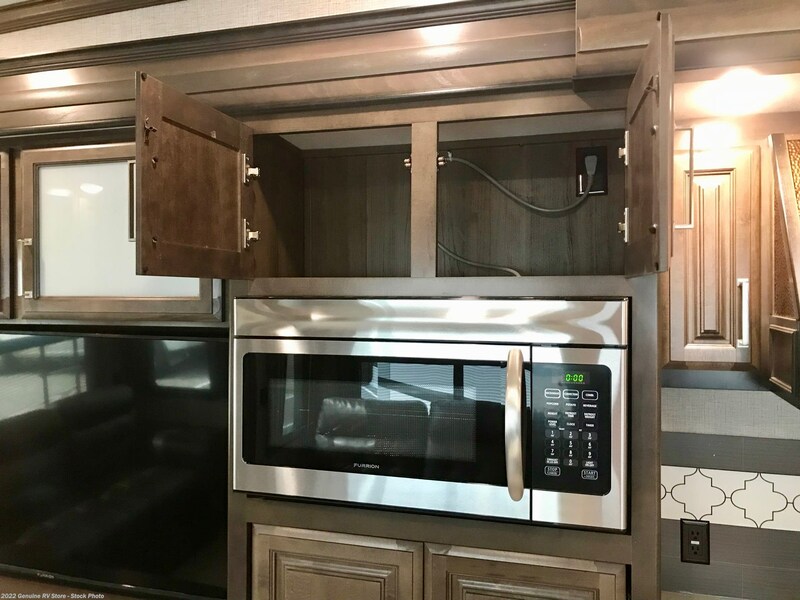 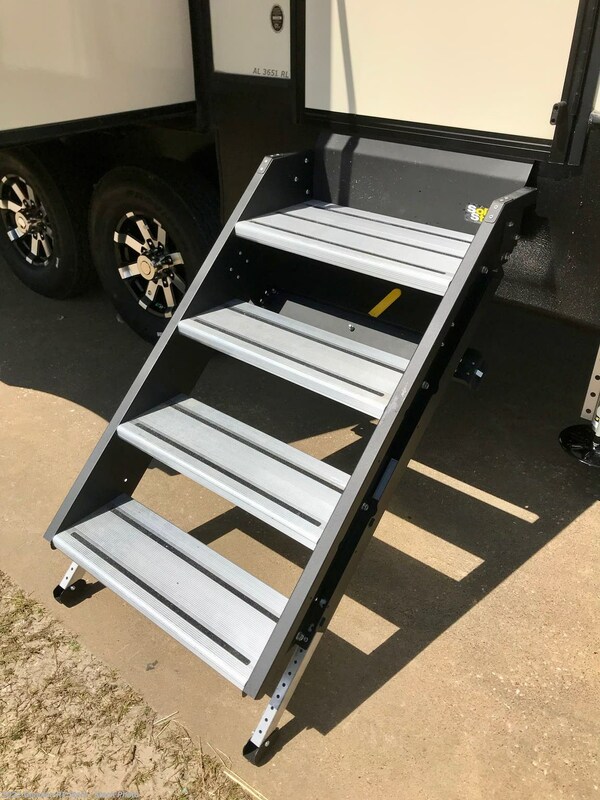 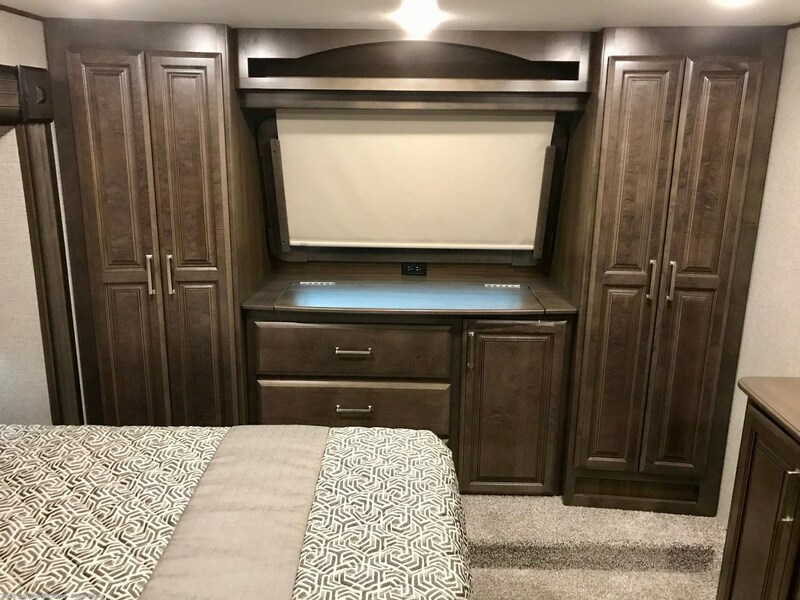 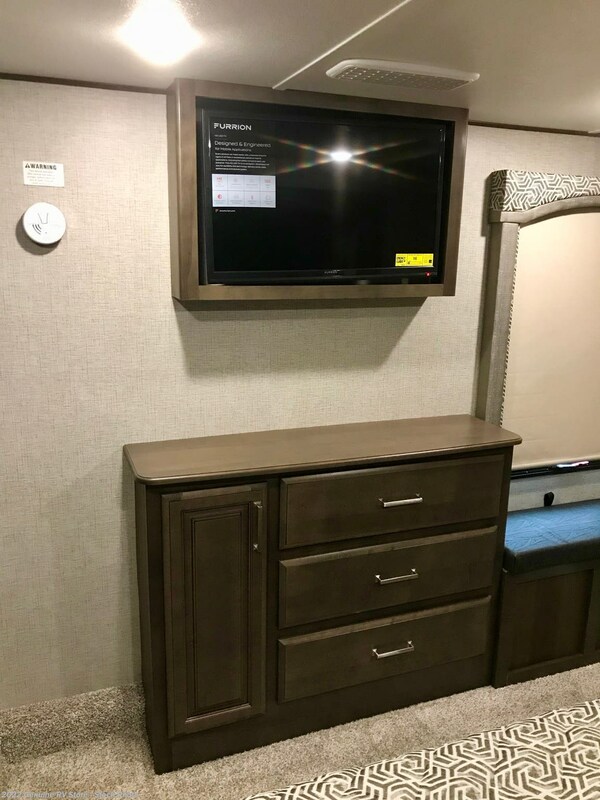 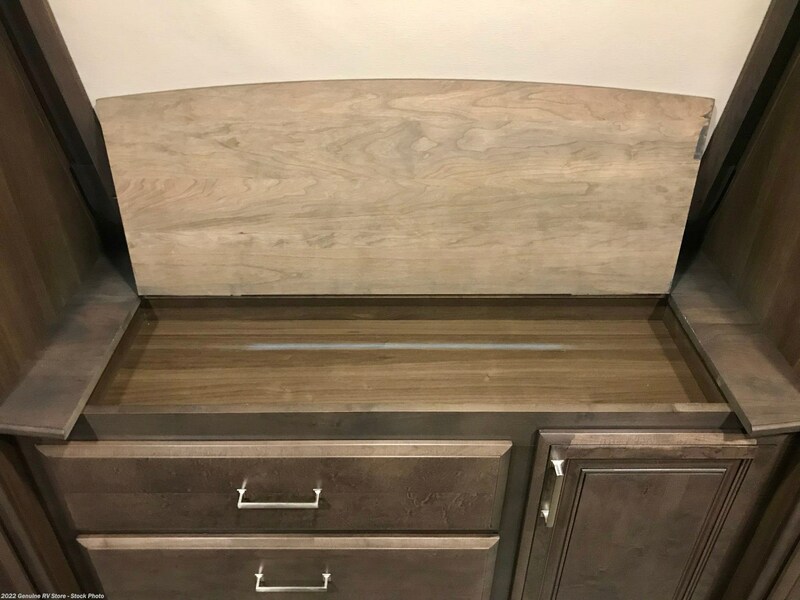 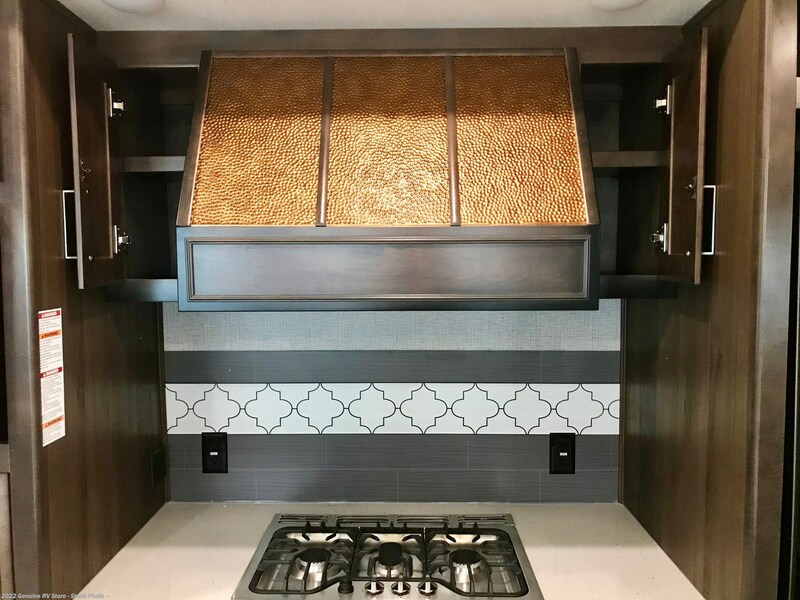 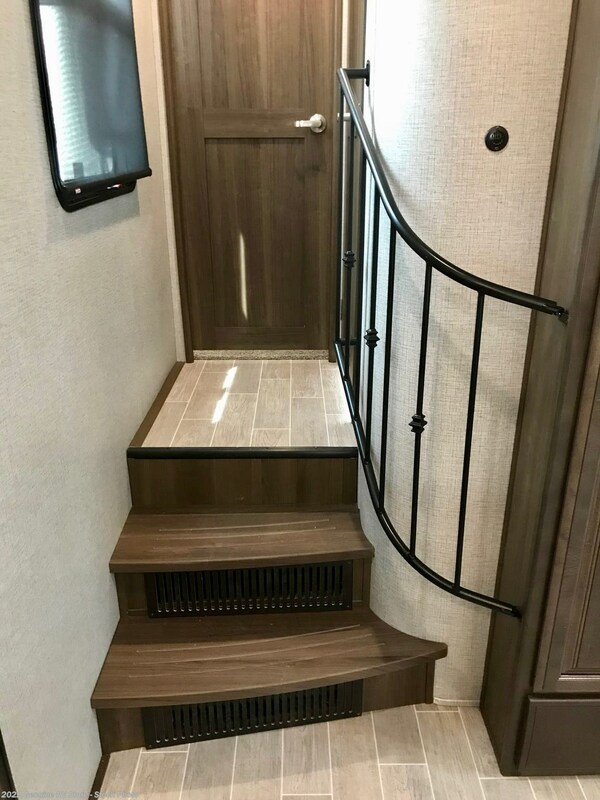 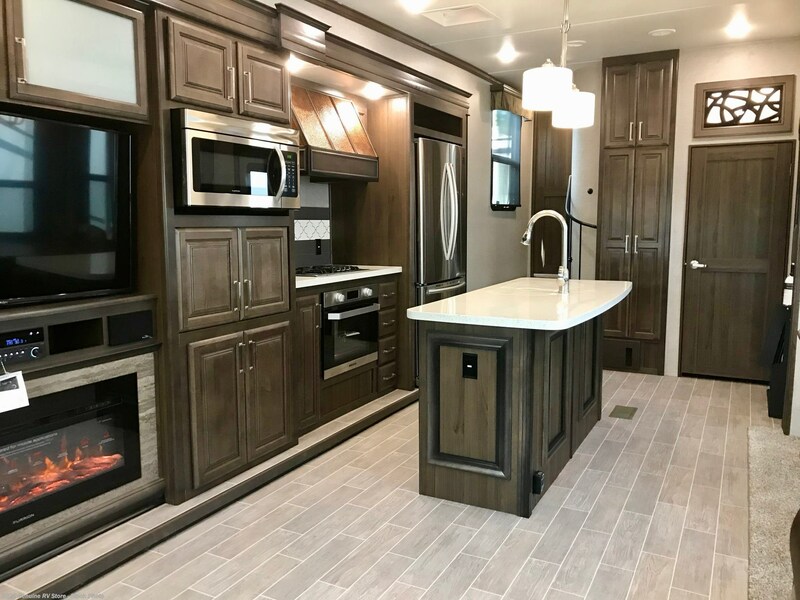 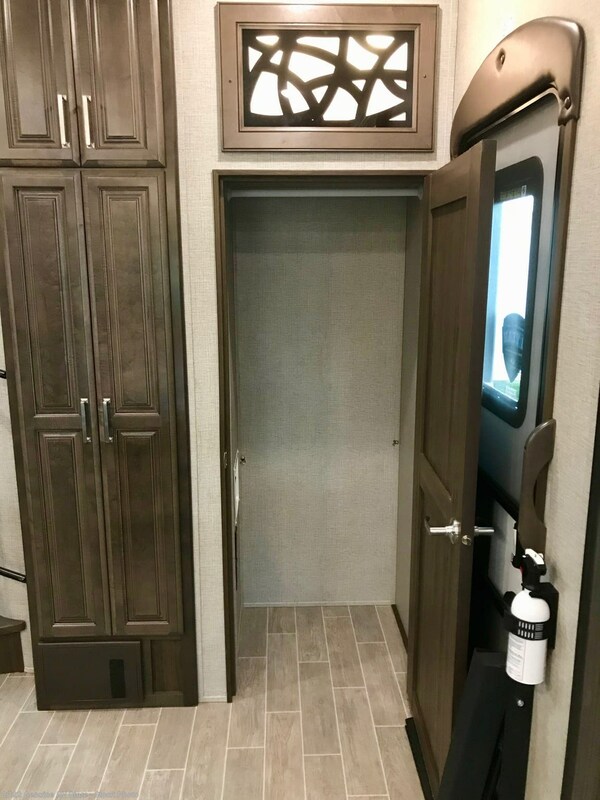 Beautiful Triple Slide 5th Wheel Trailer that has all of the comforts of home, custom wood trim and tons of storage. 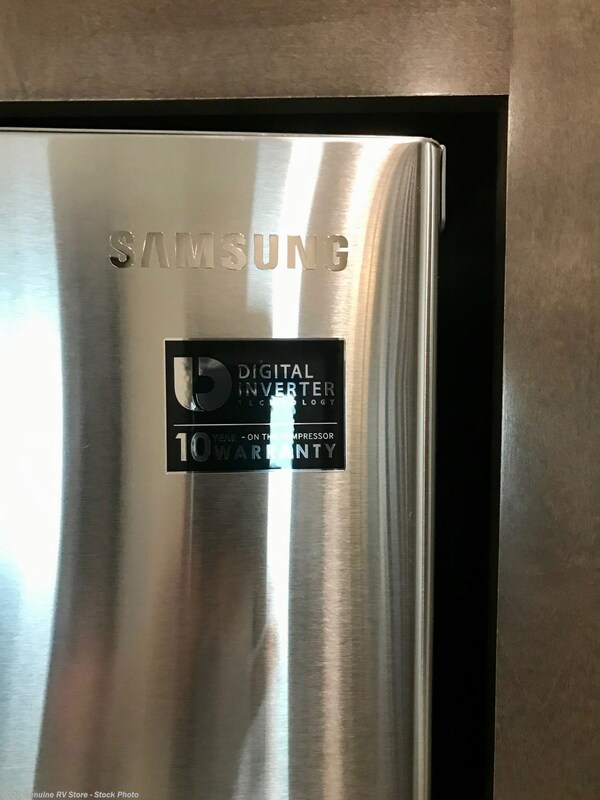 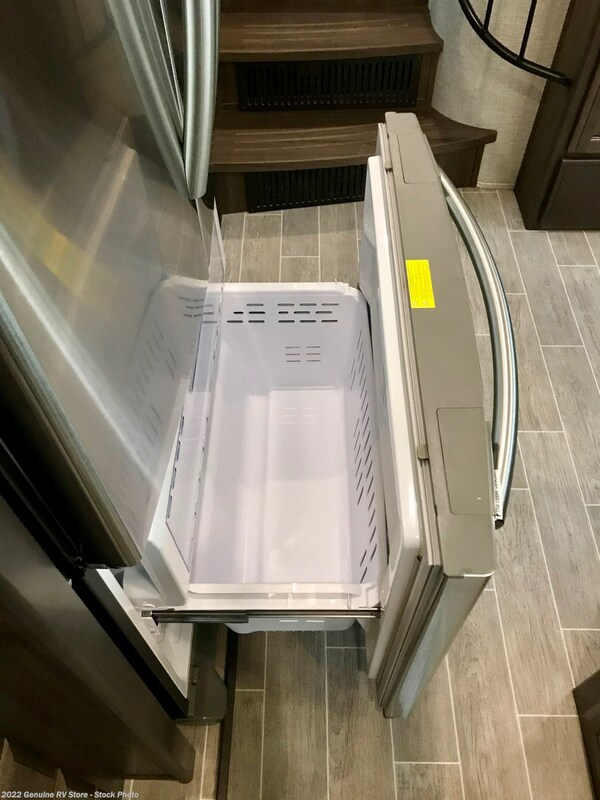 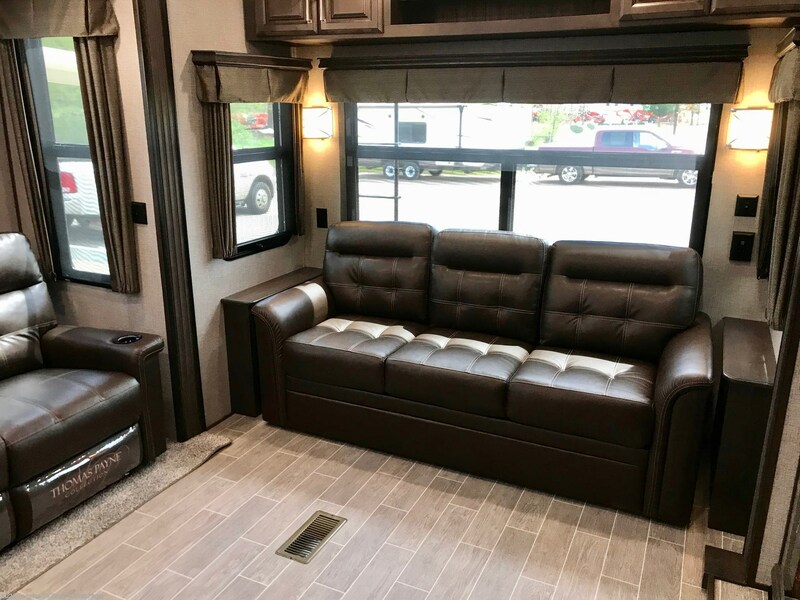 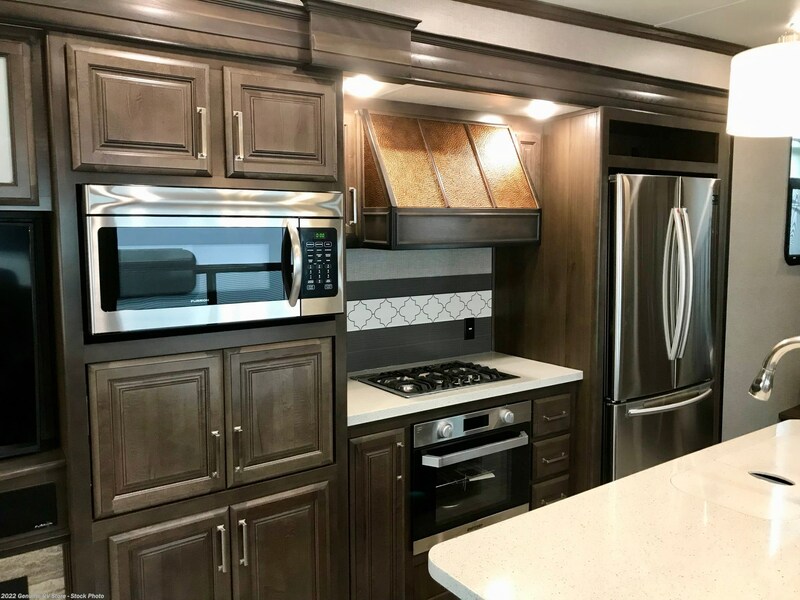 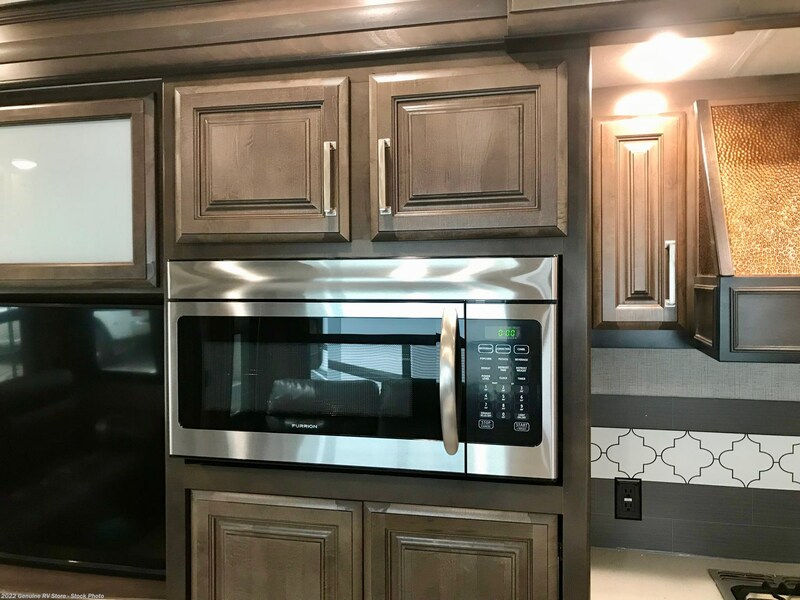 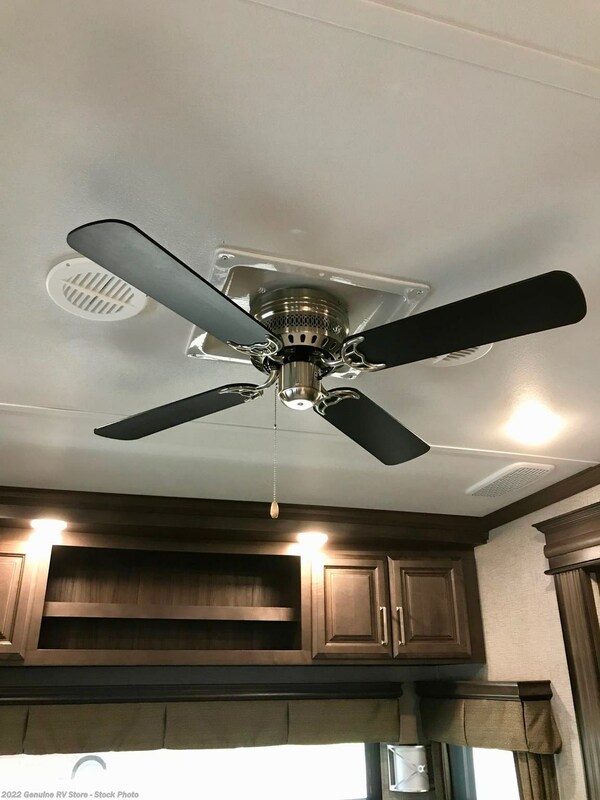 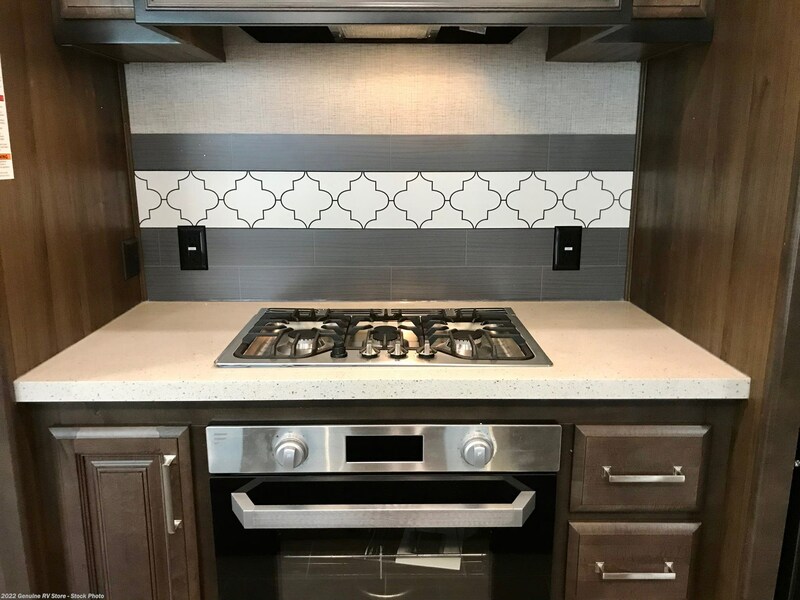 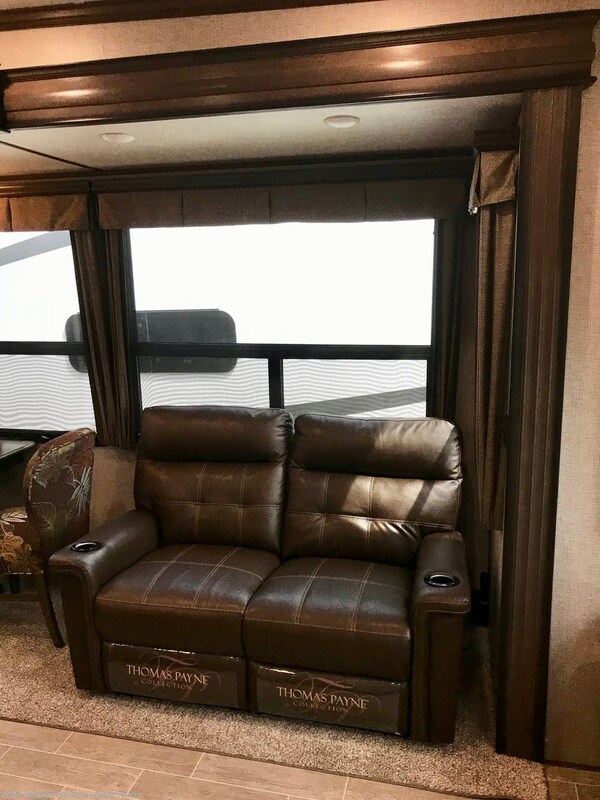 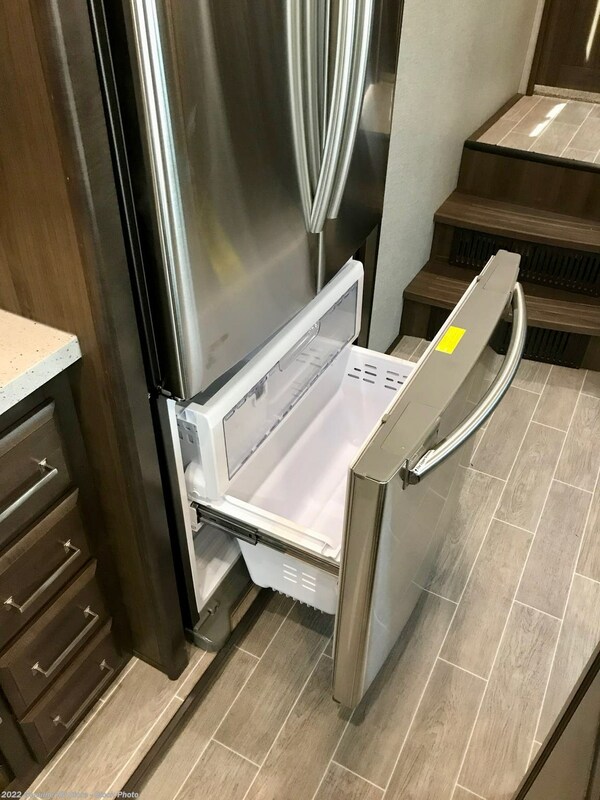 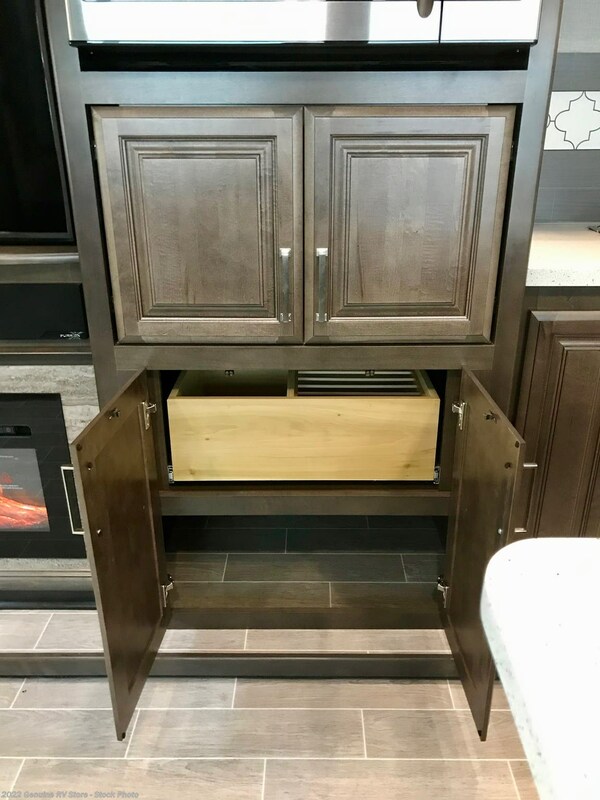 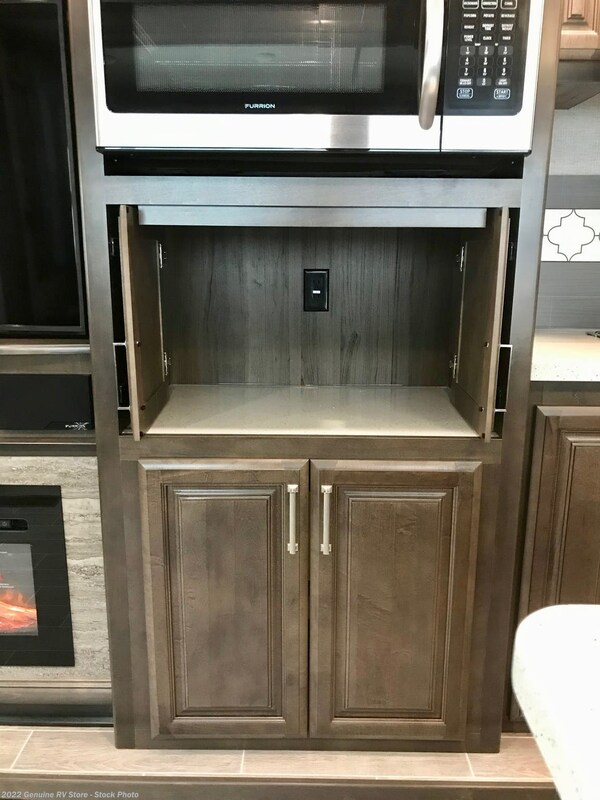 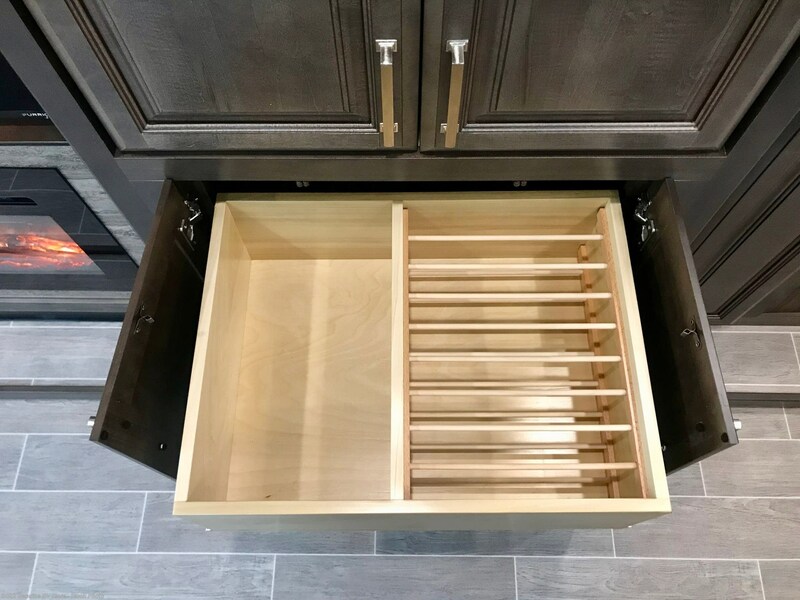 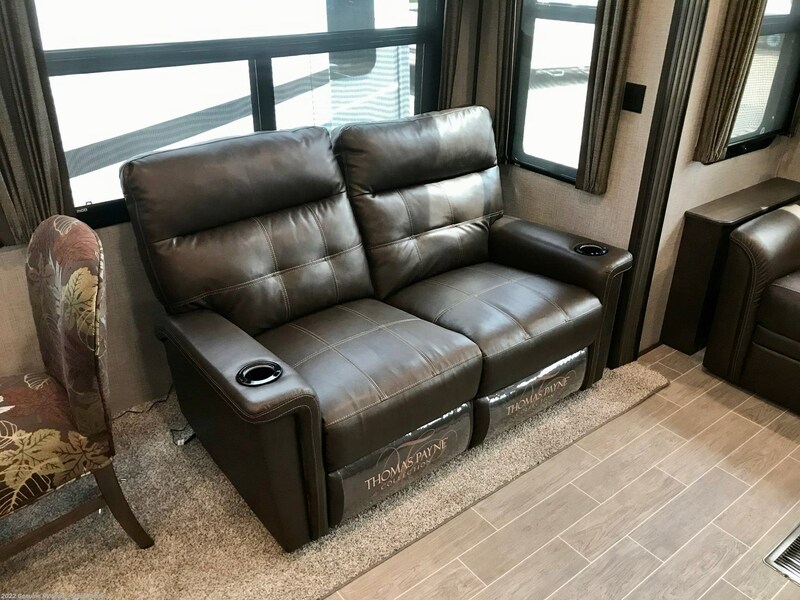 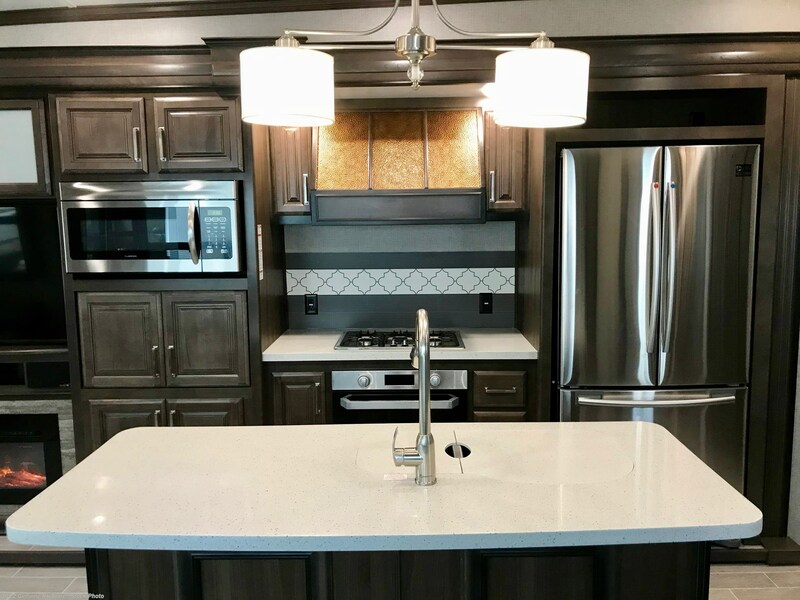 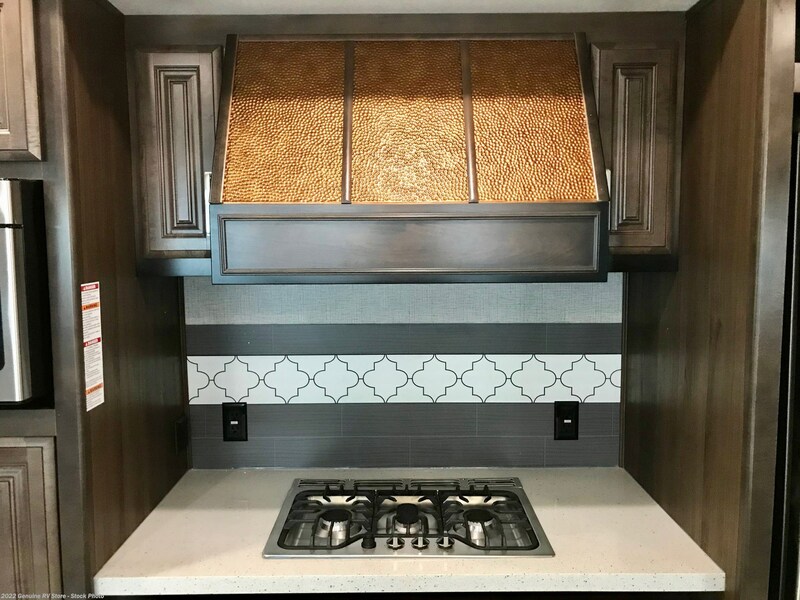 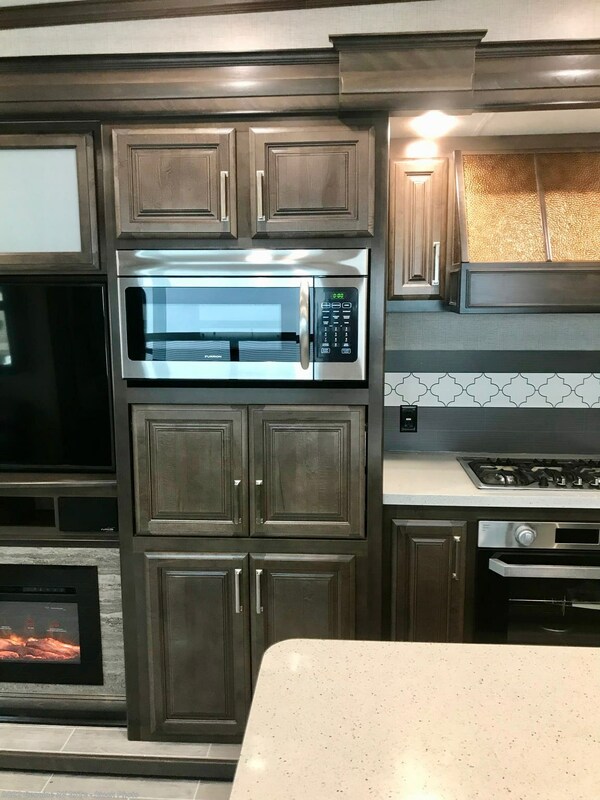 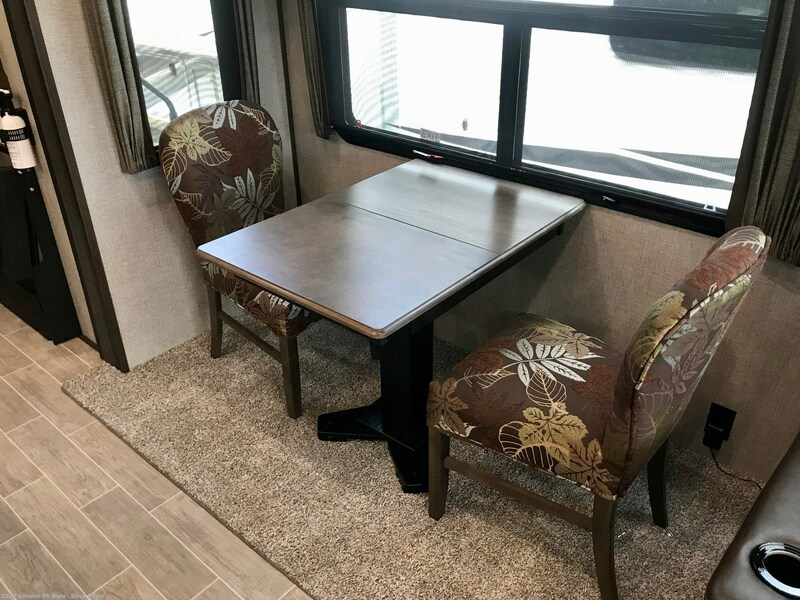 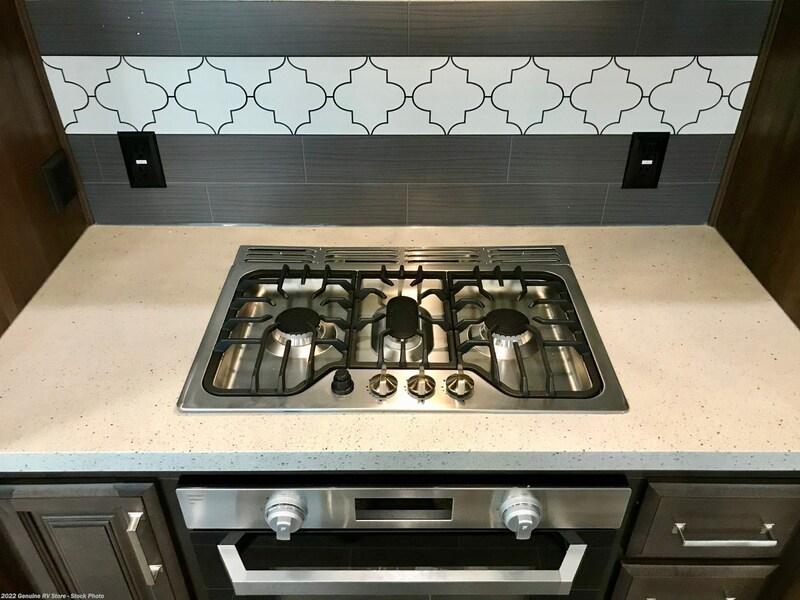 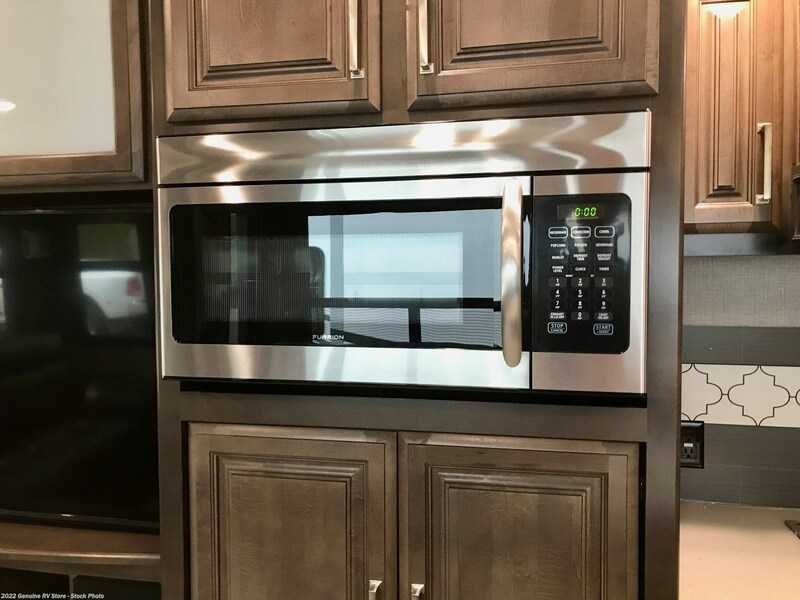 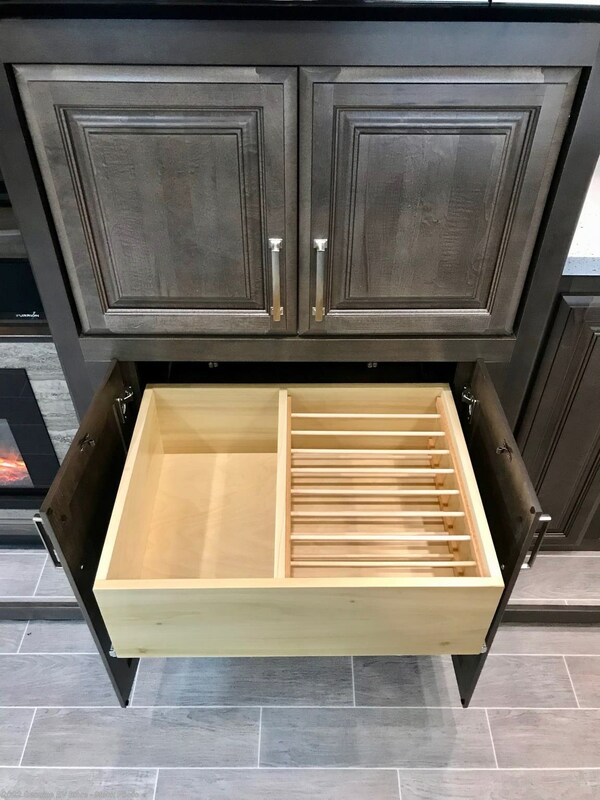 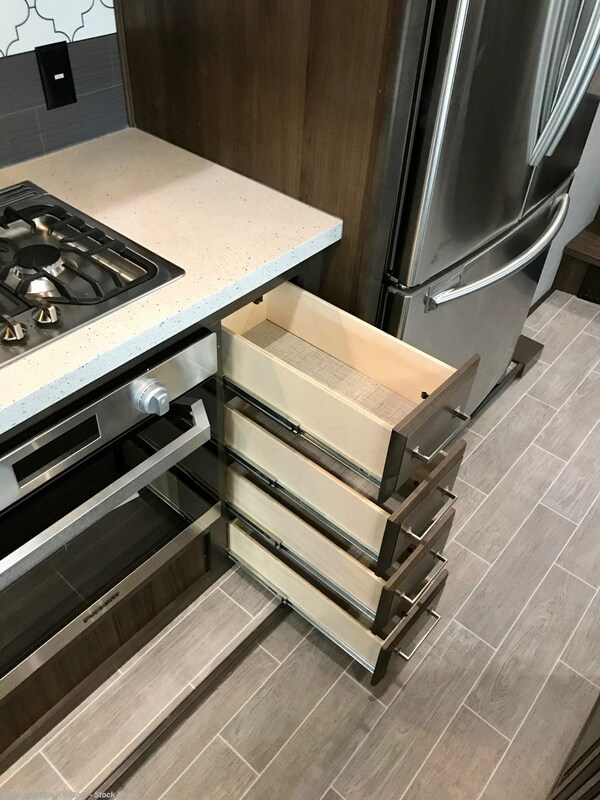 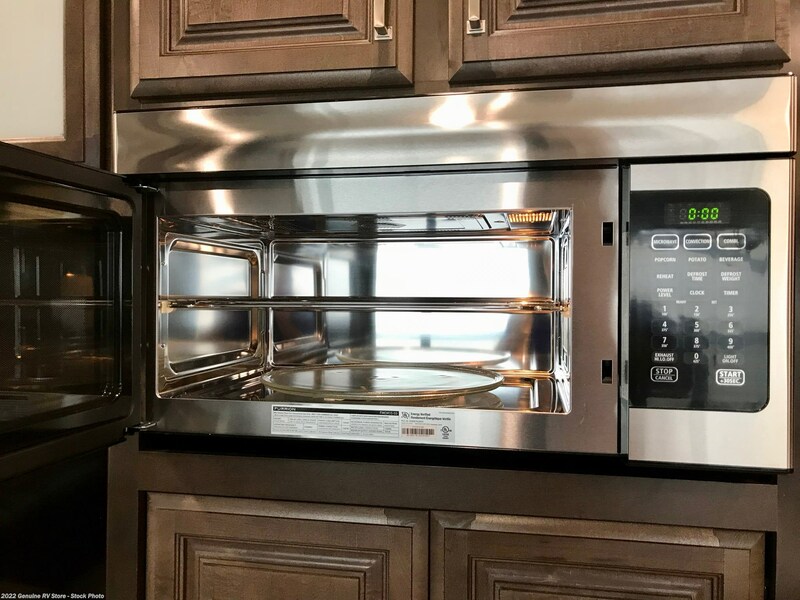 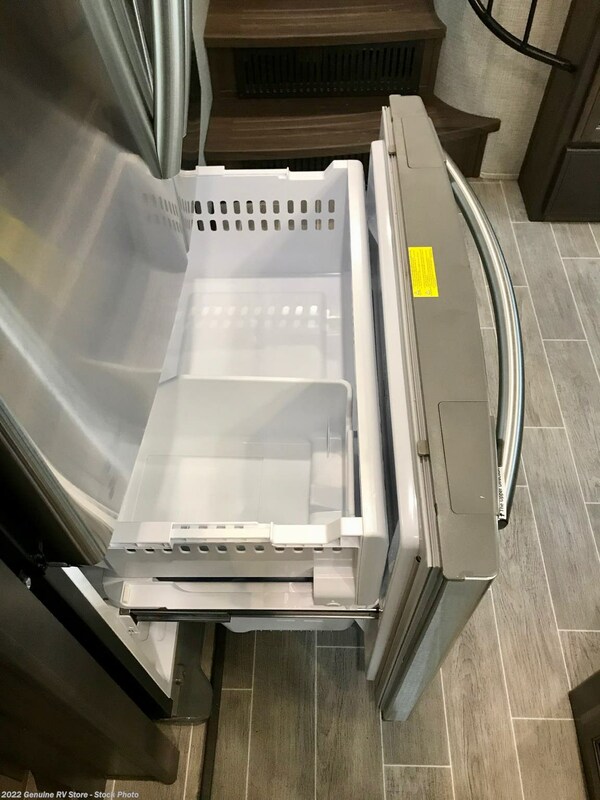 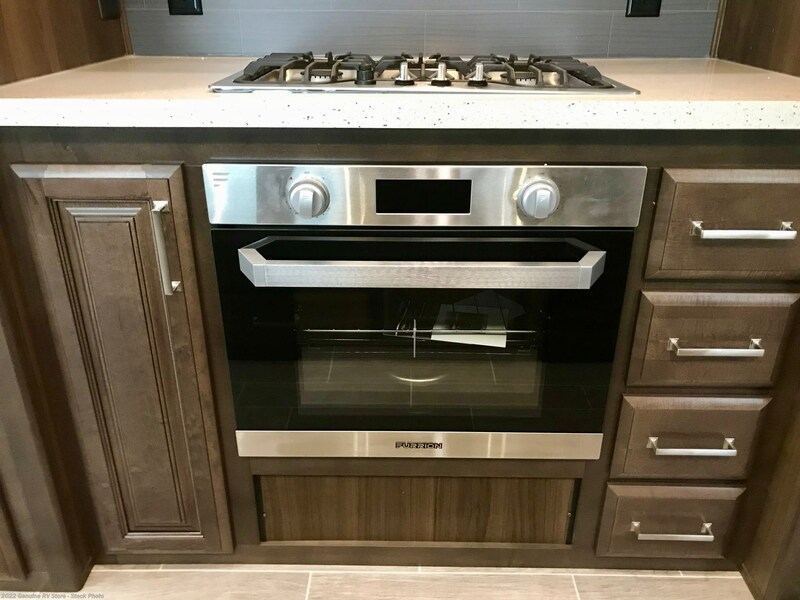 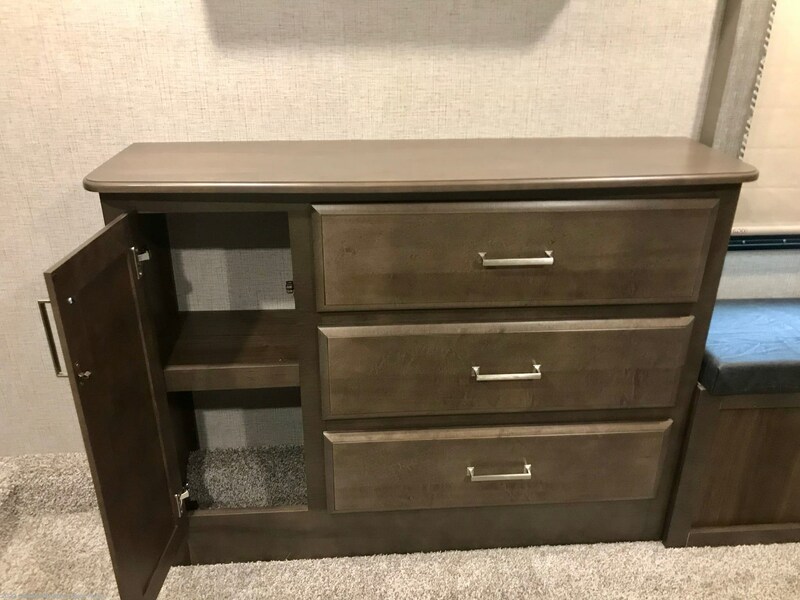 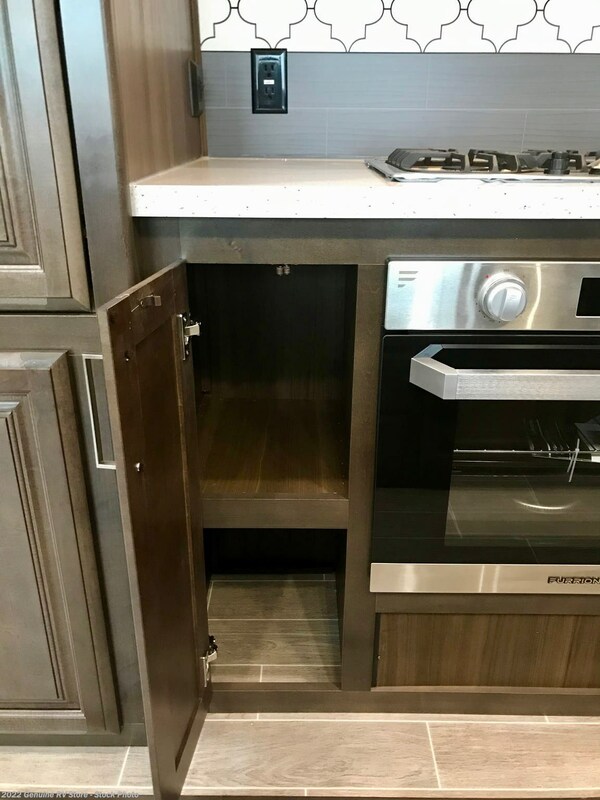 A comfortable living area with theater seating (recliners), 50" HD LED television and custom cabinets throughout... A residential style kitchen with a Gas Oven, Residential Refrigerator / Freezer w/ Ice Maker, Convection/Microwave oven, solid surface countertops and full extension drawers. 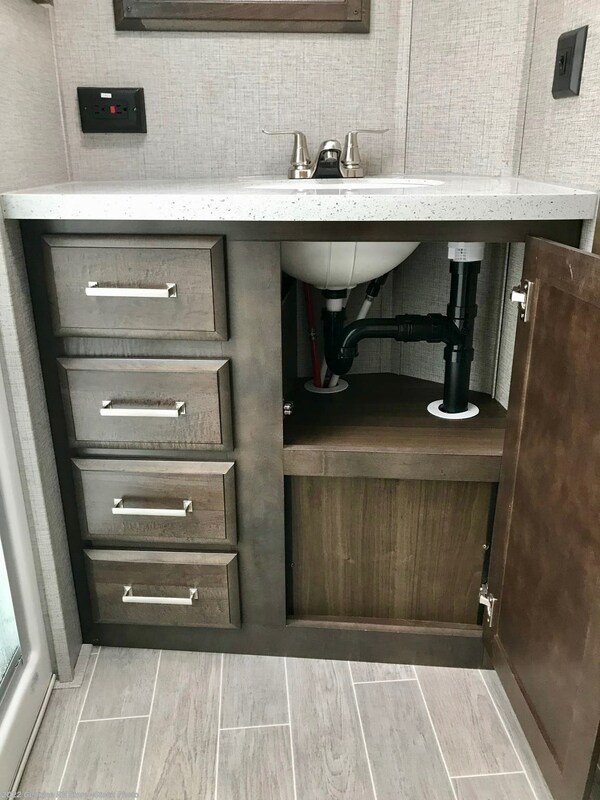 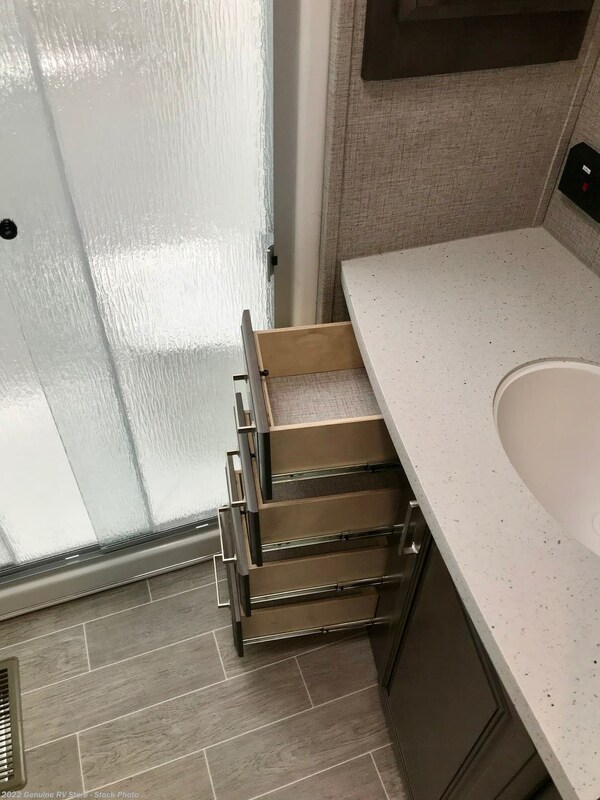 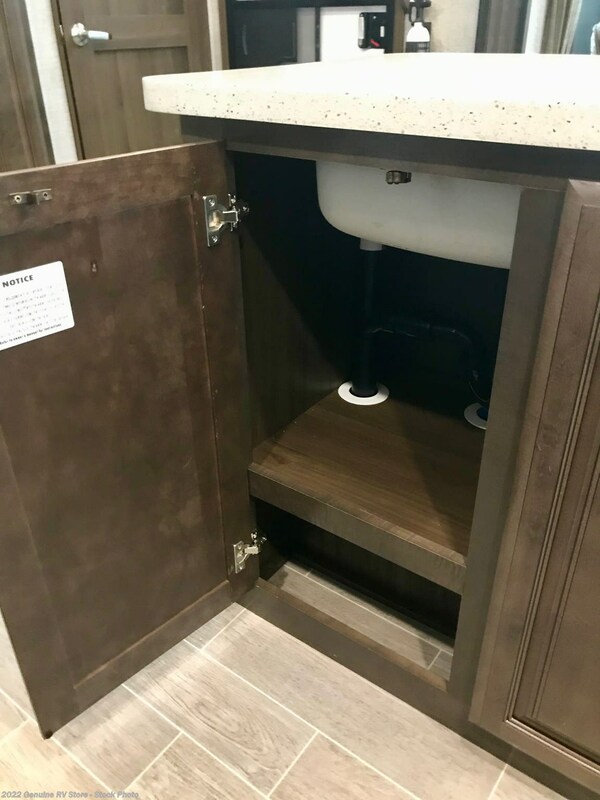 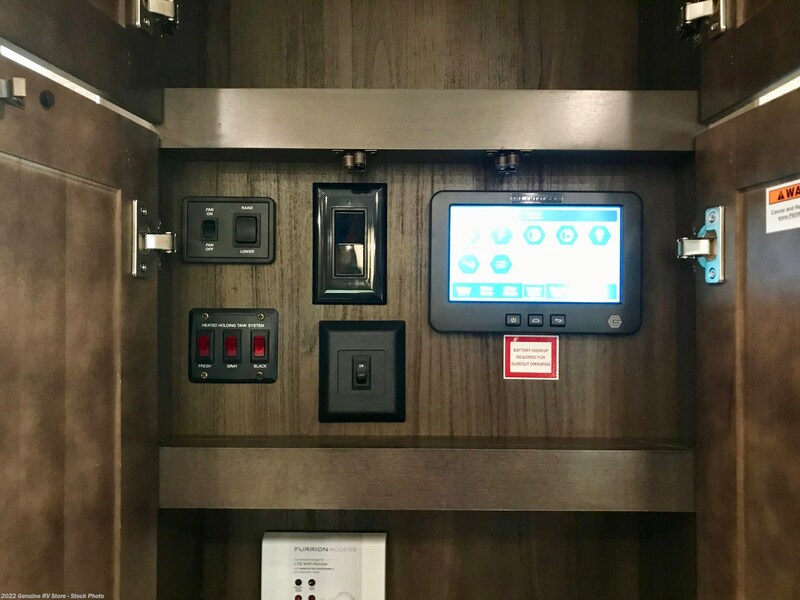 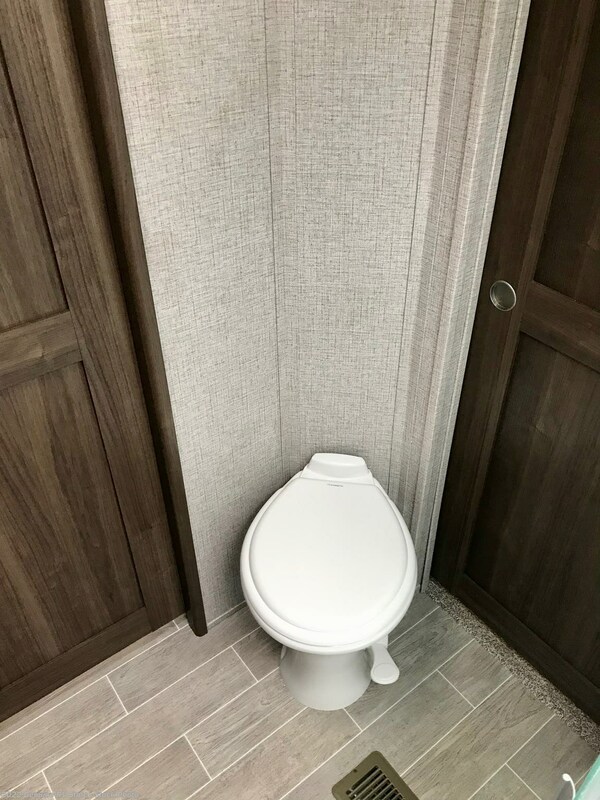 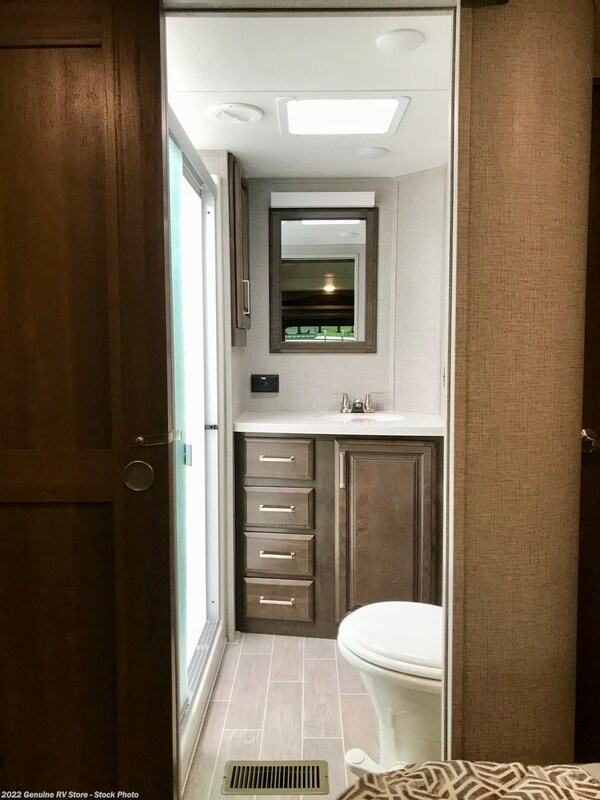 A large bathroom with a glass enclosed shower, porcelain toilet, linen cabinet and lavatory sink. 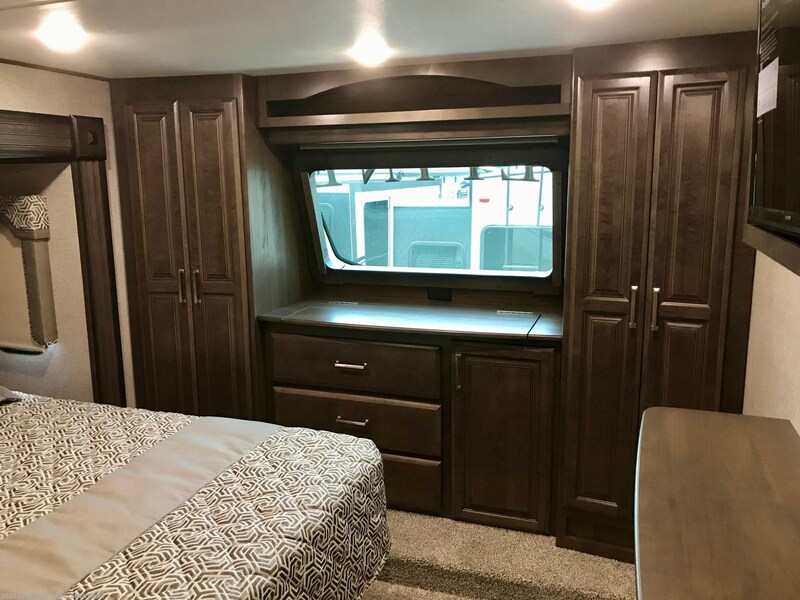 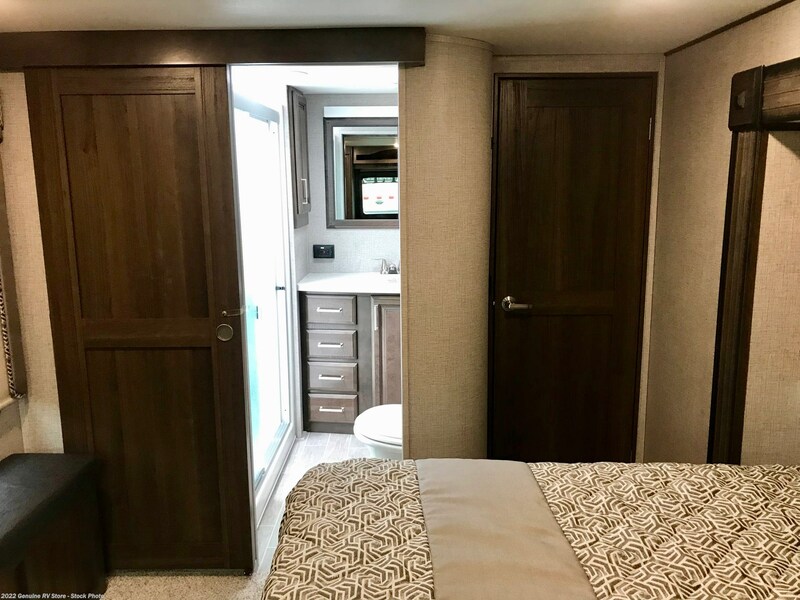 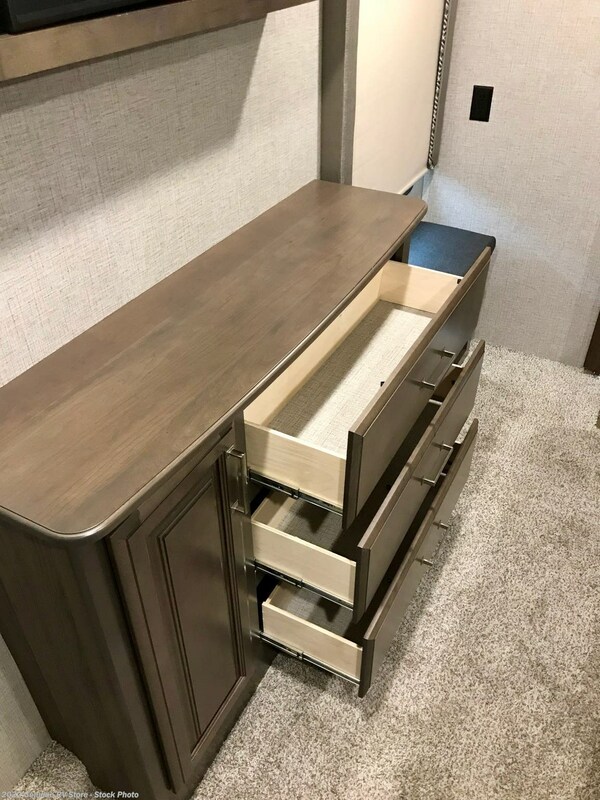 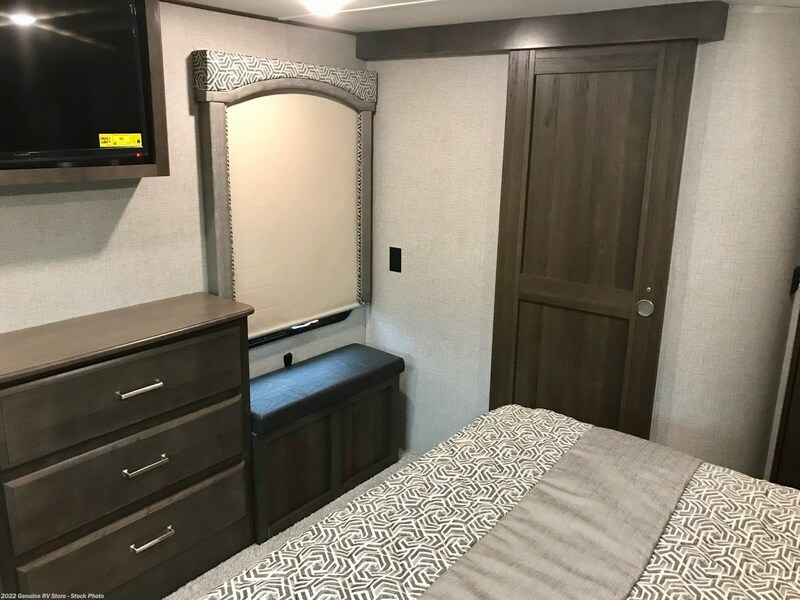 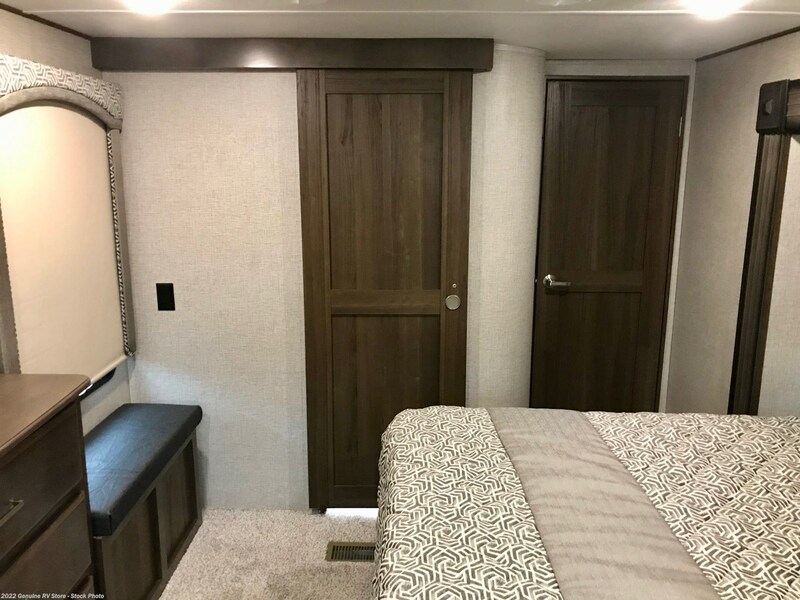 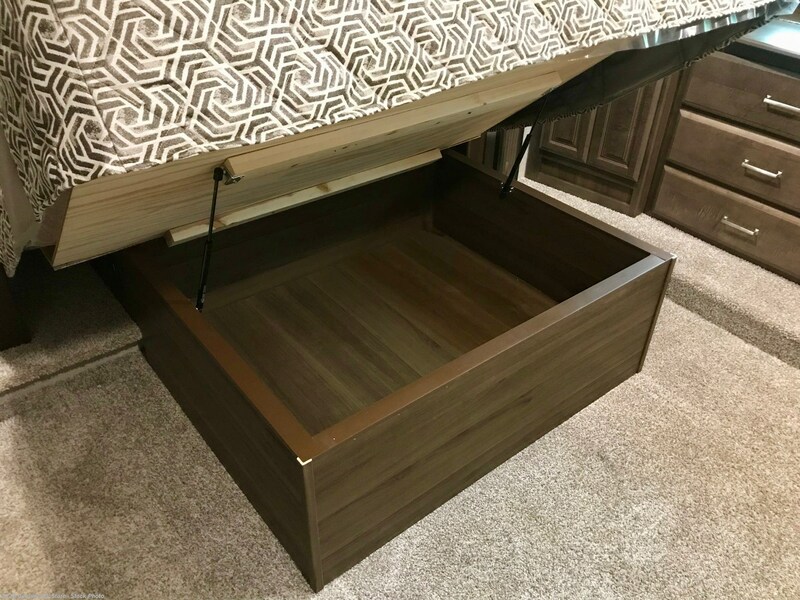 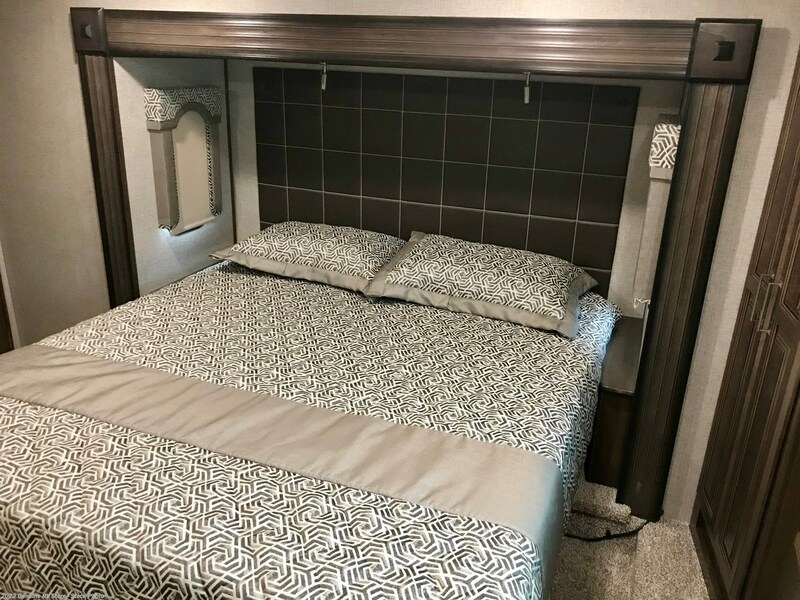 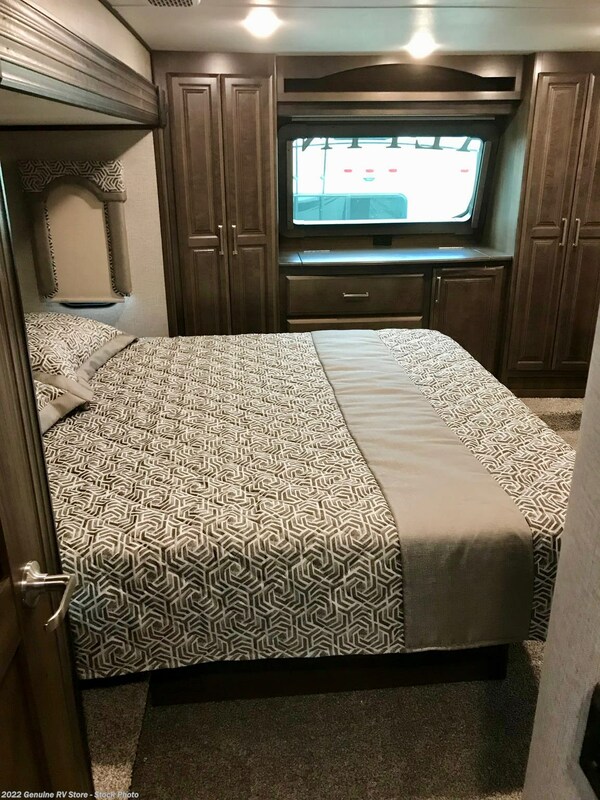 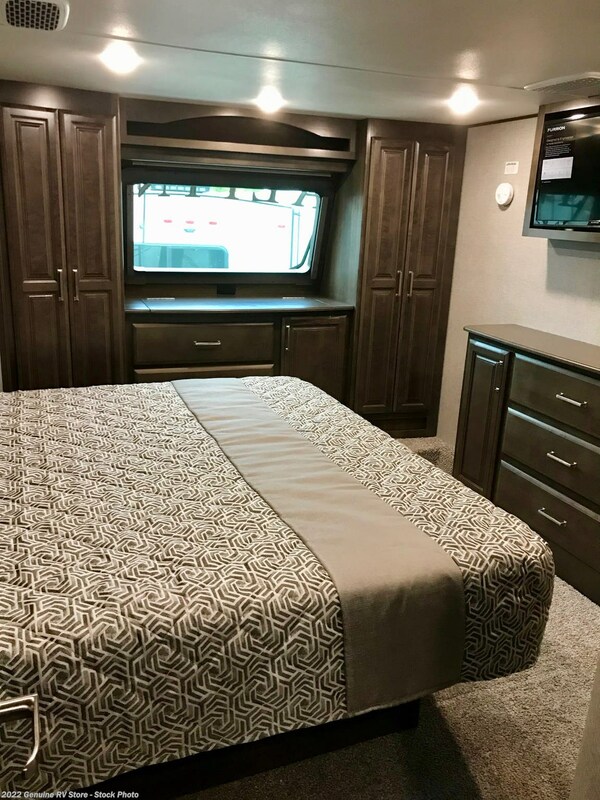 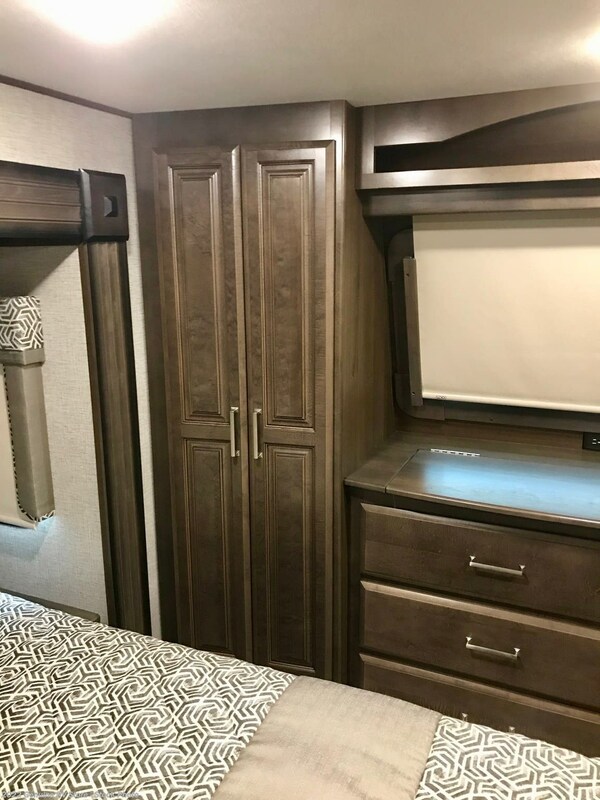 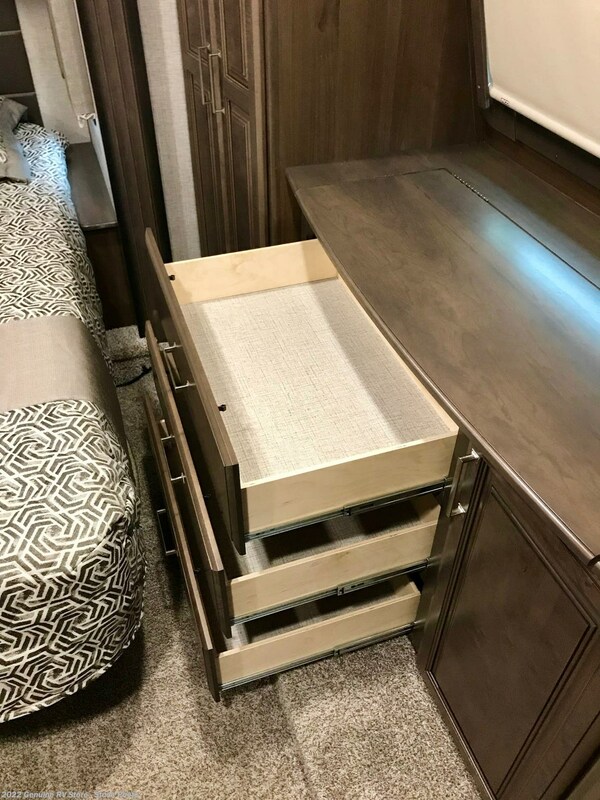 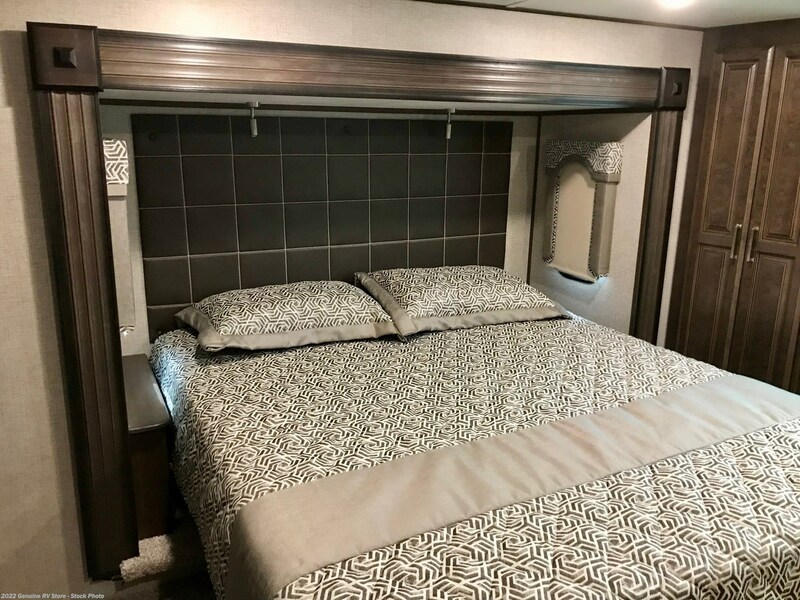 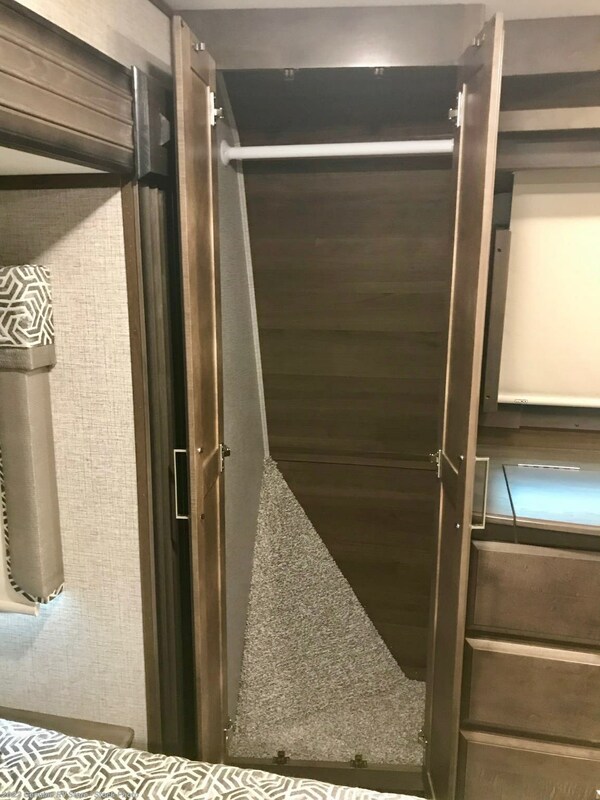 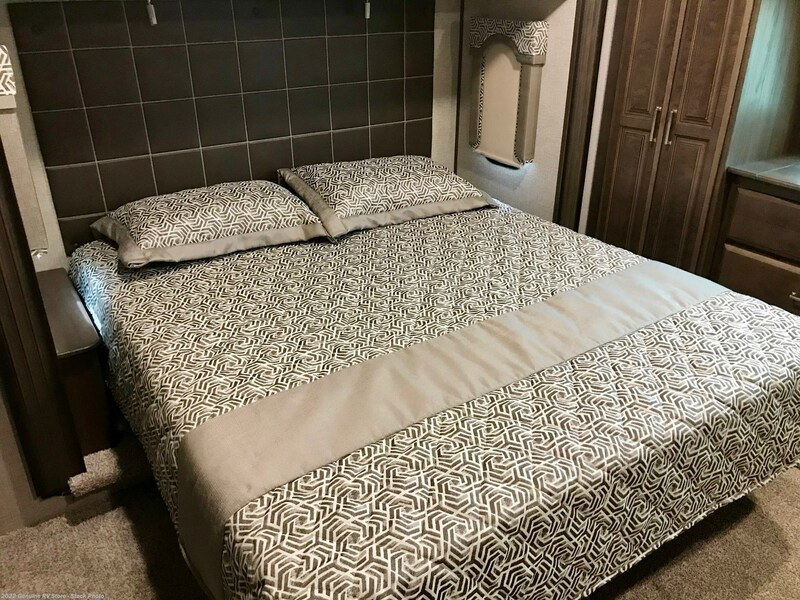 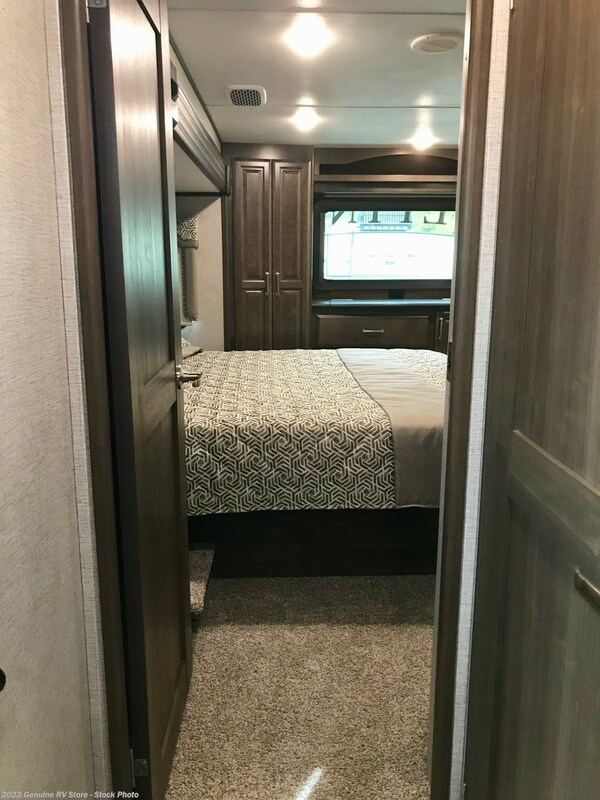 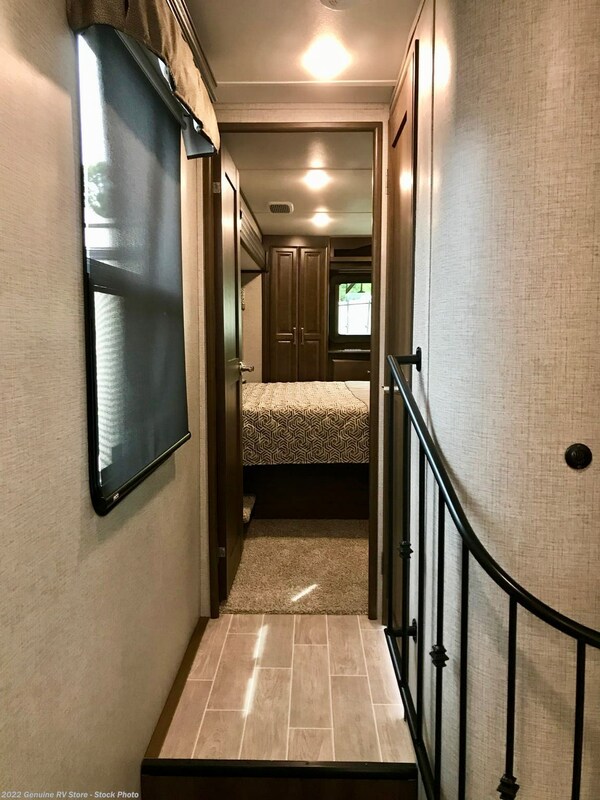 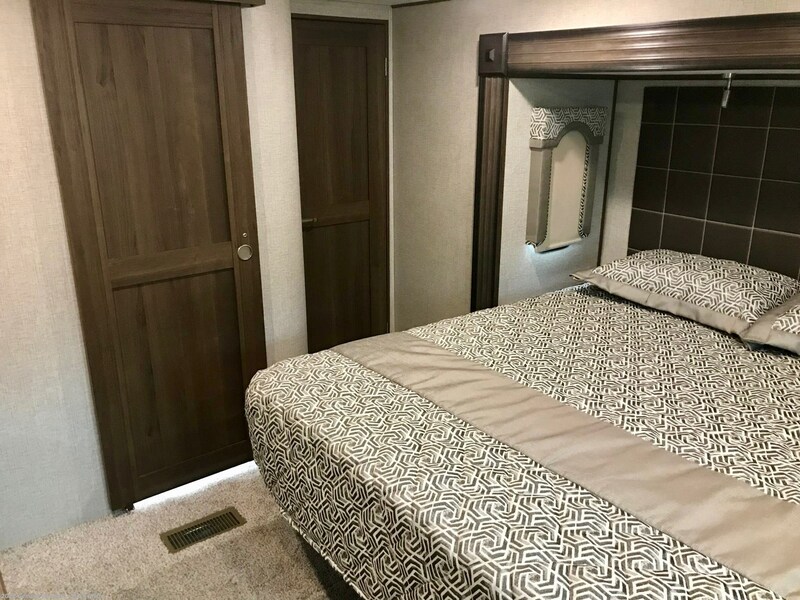 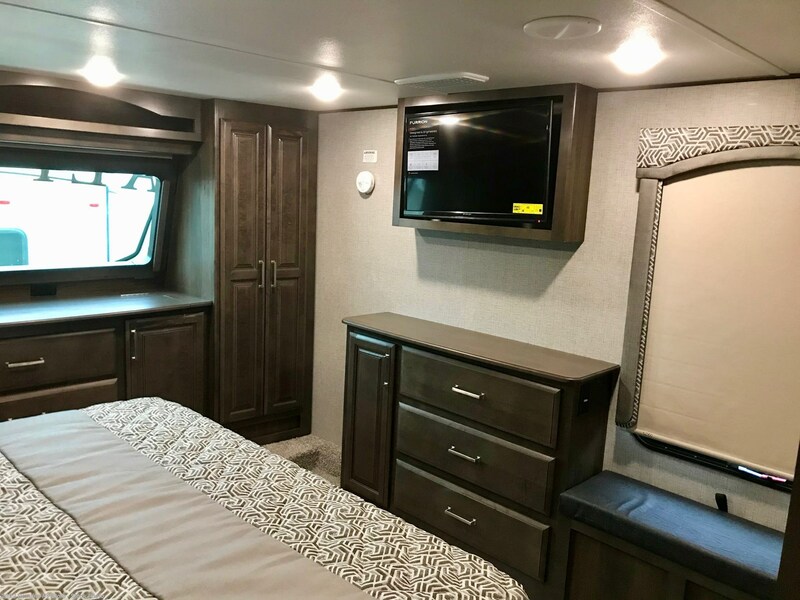 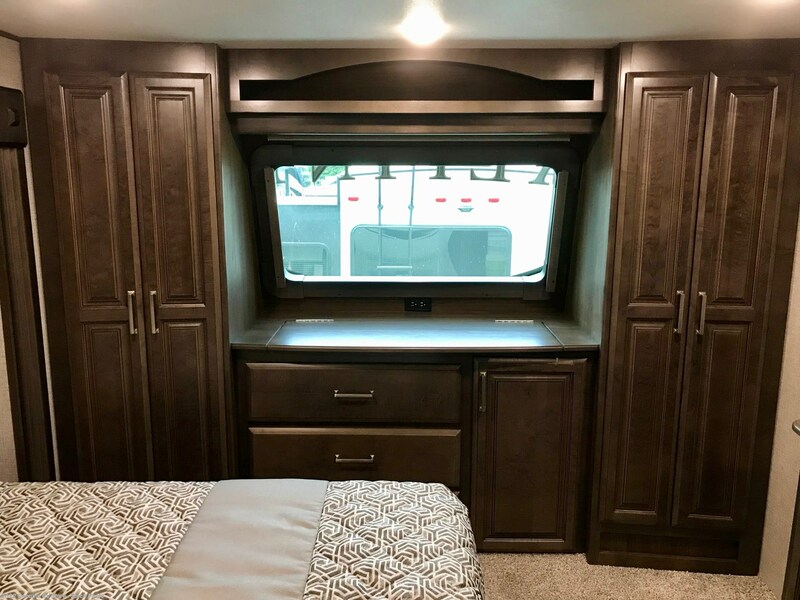 A master bedroom which offers a King size bed, a large front closet and a chest of drawers that gives you ample storage for all of your things... even on the road. 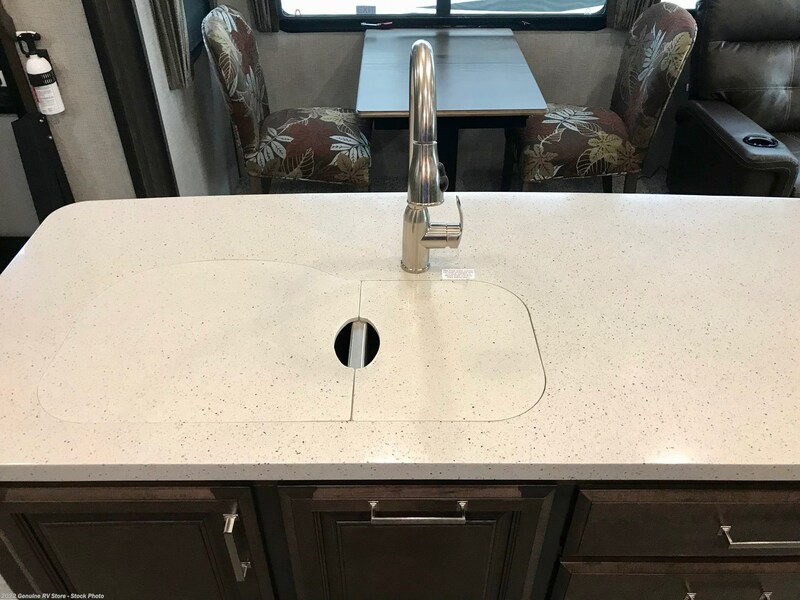 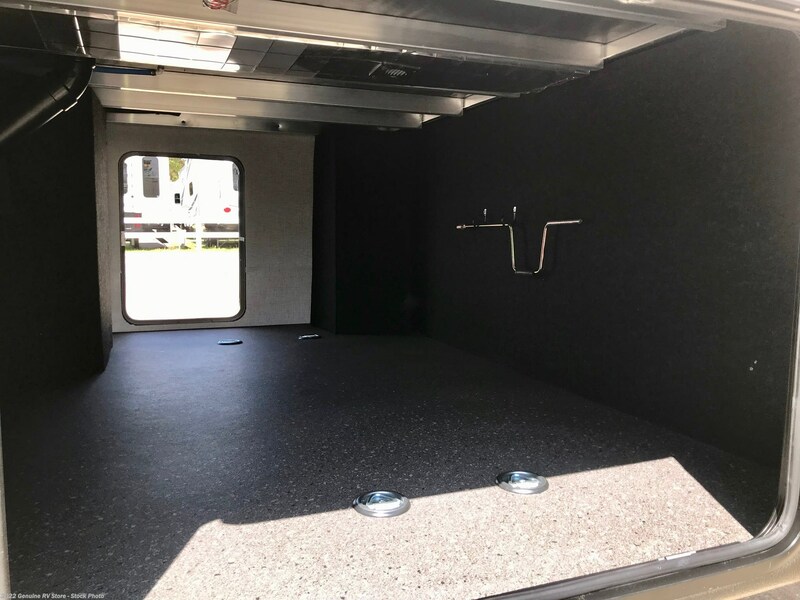 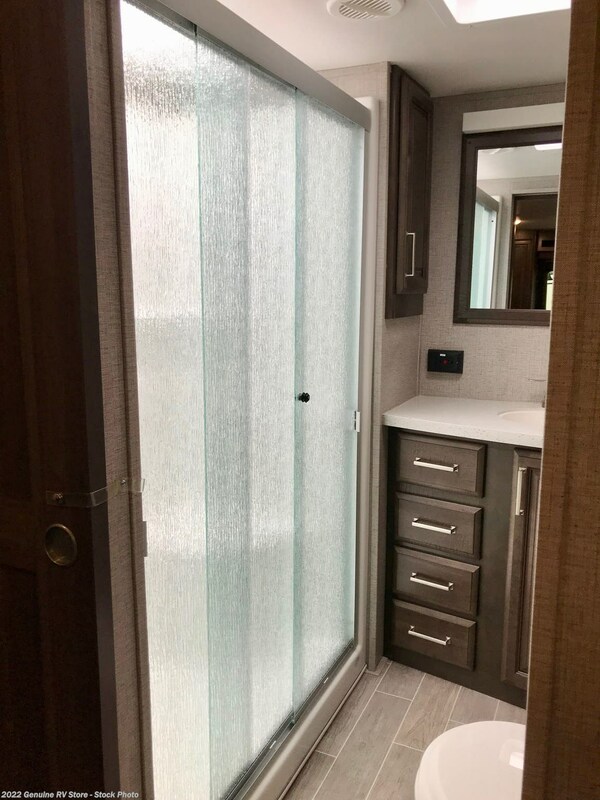 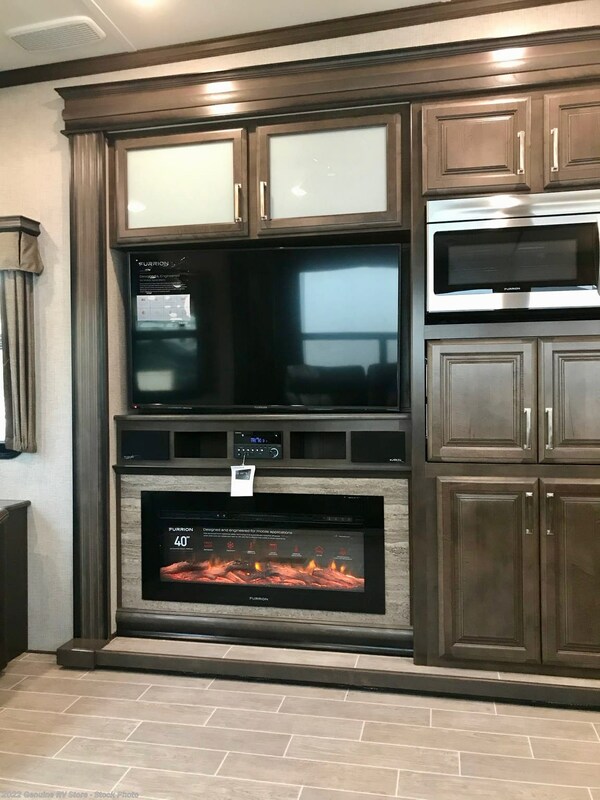 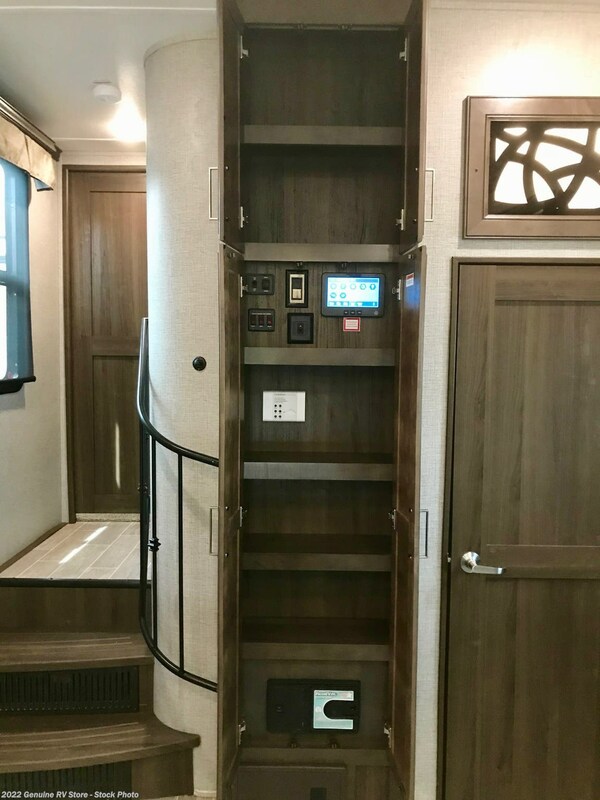 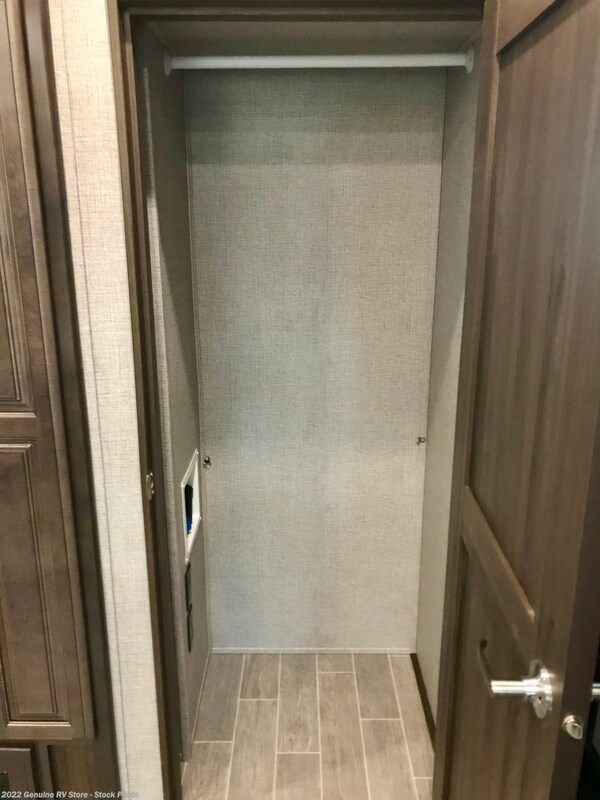 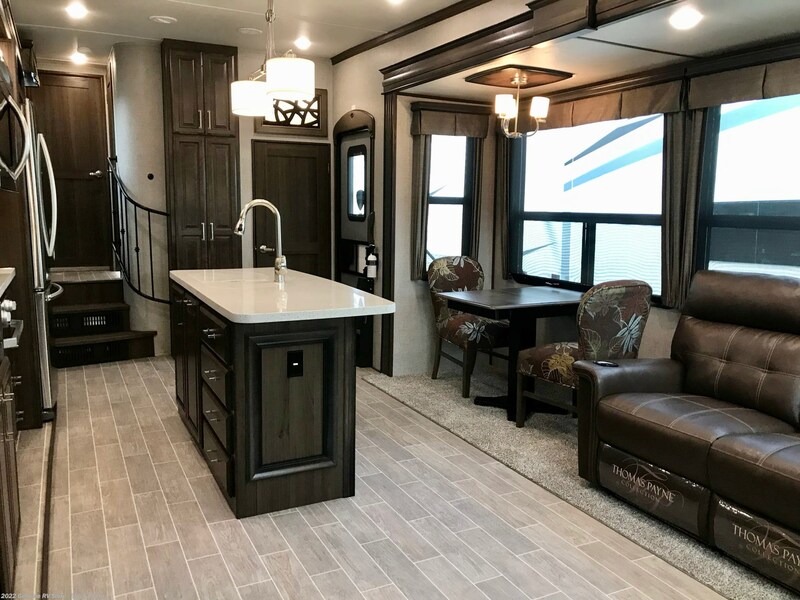 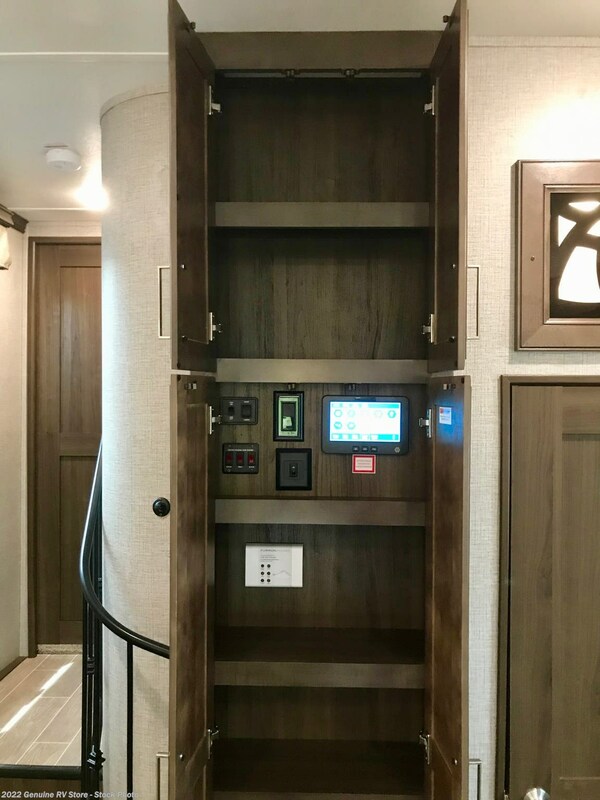 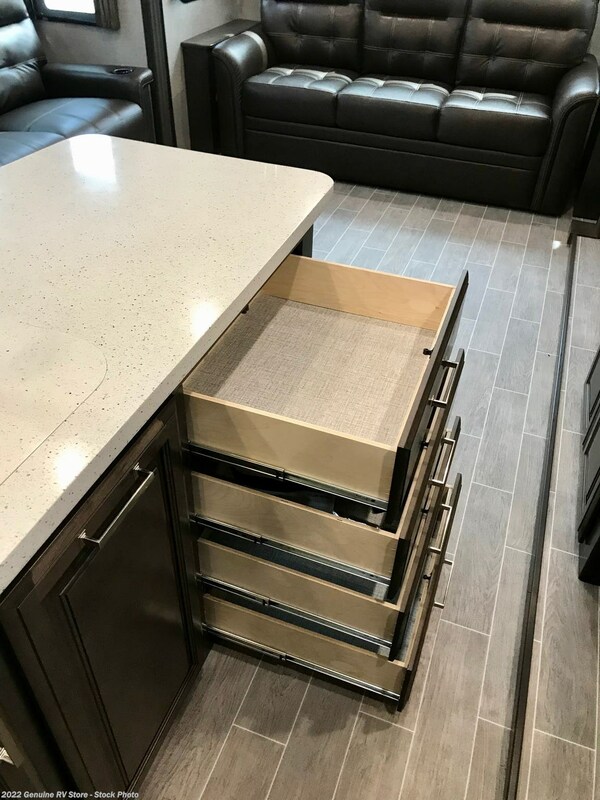 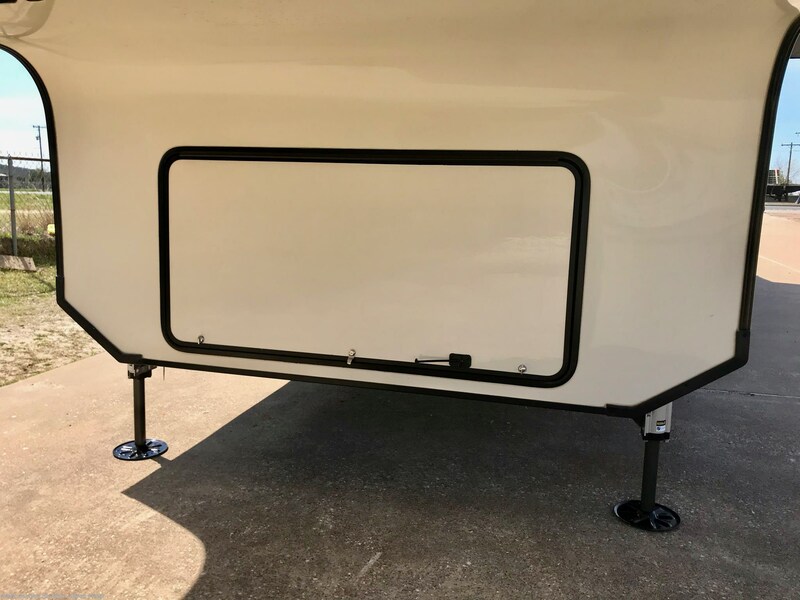 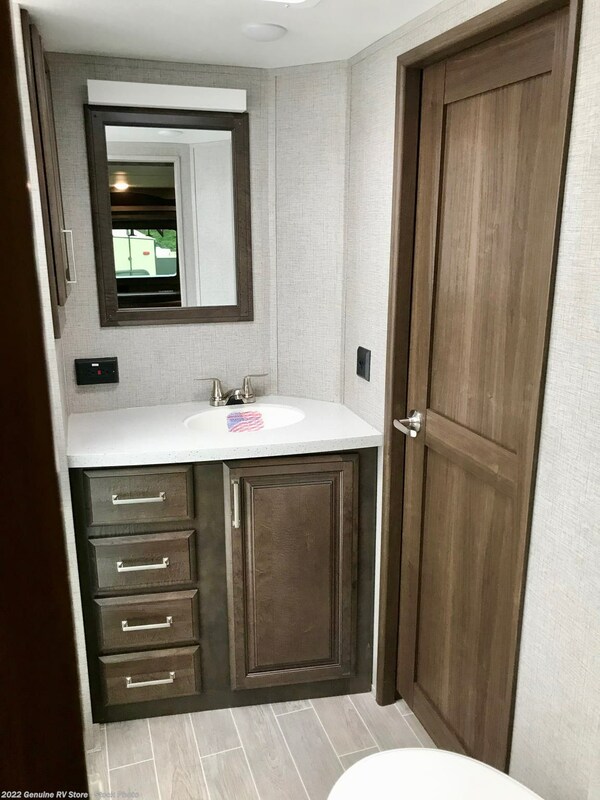 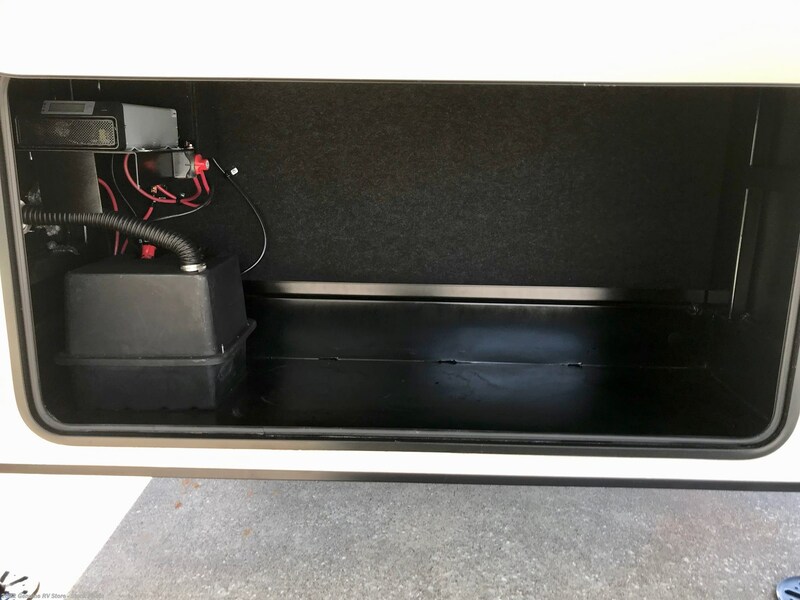 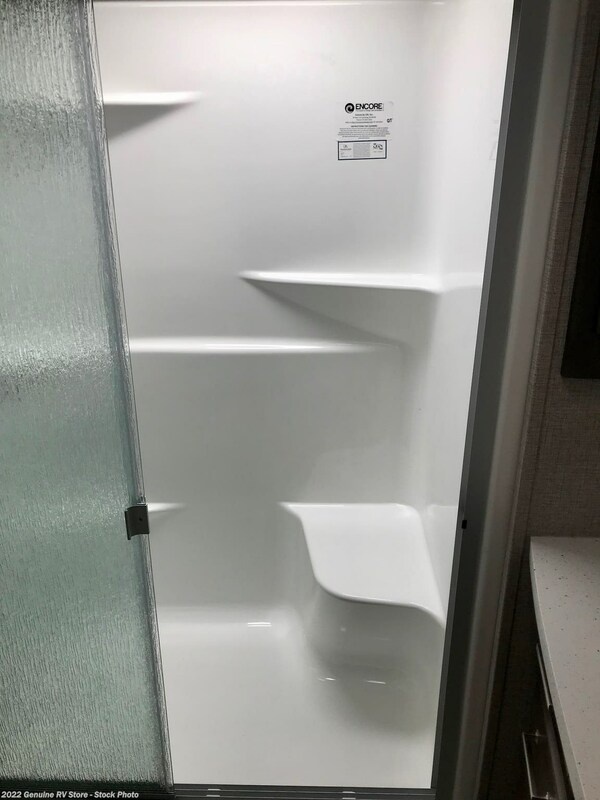 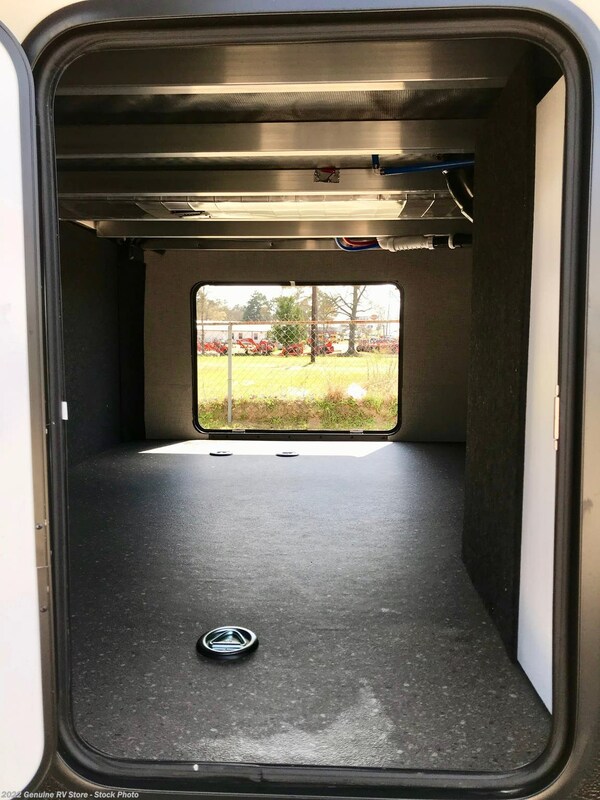 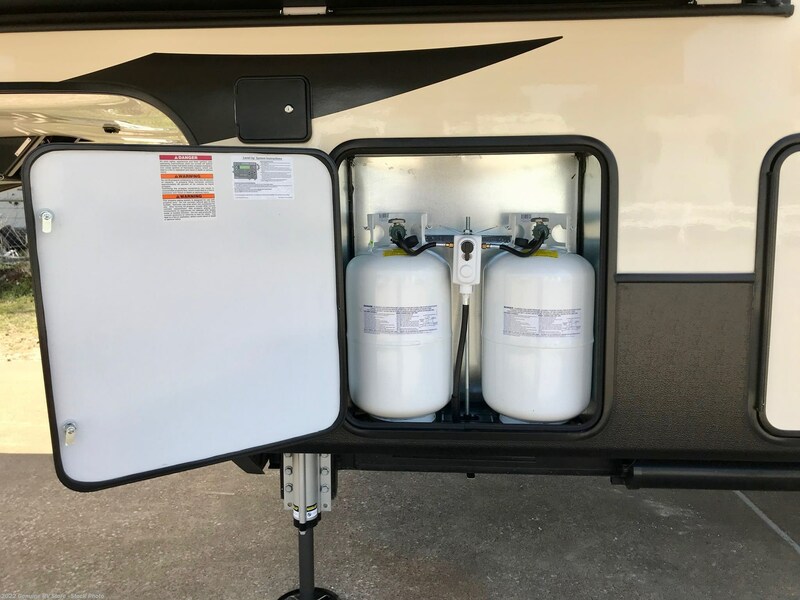 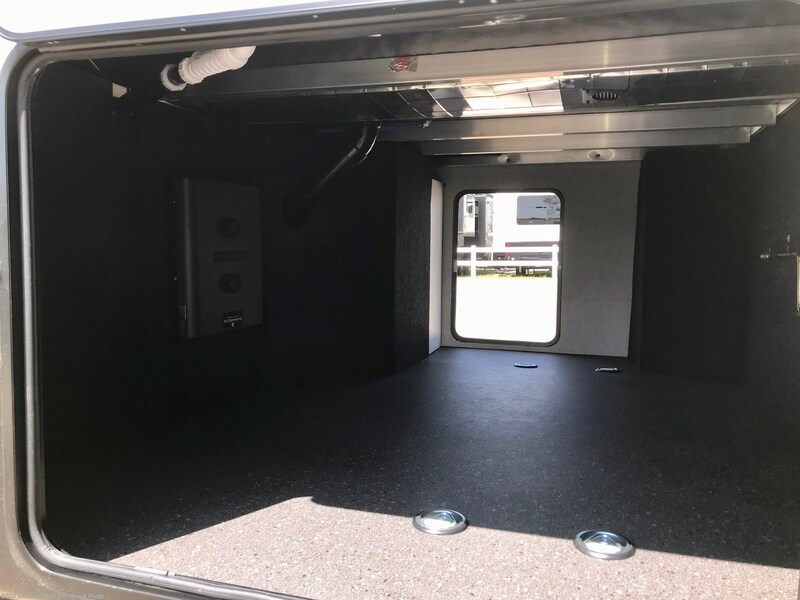 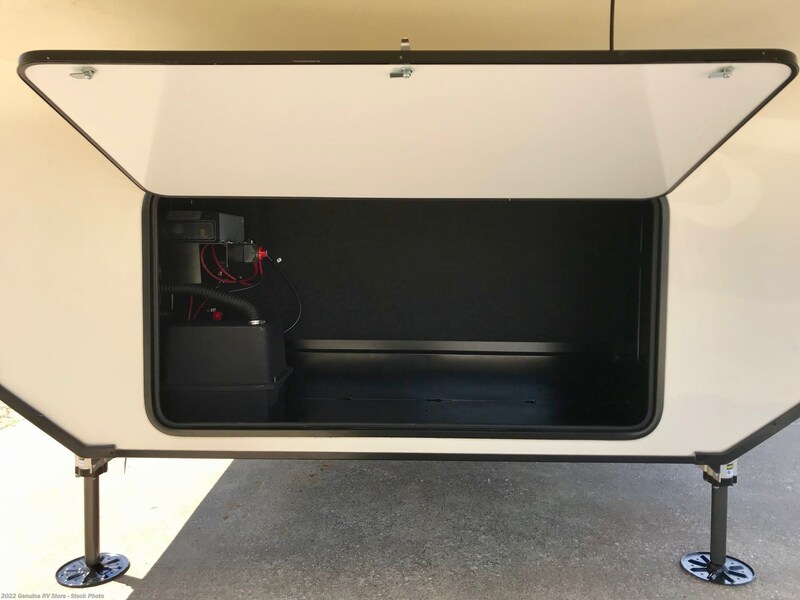 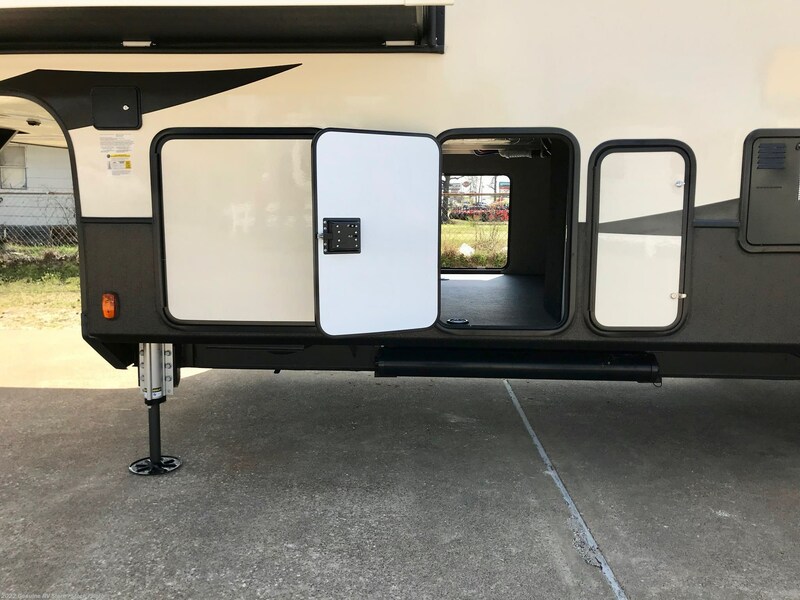 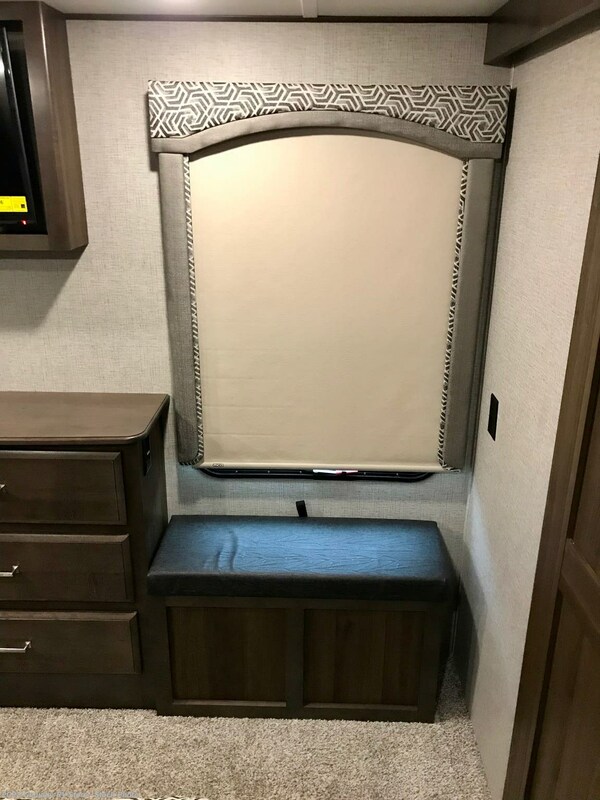 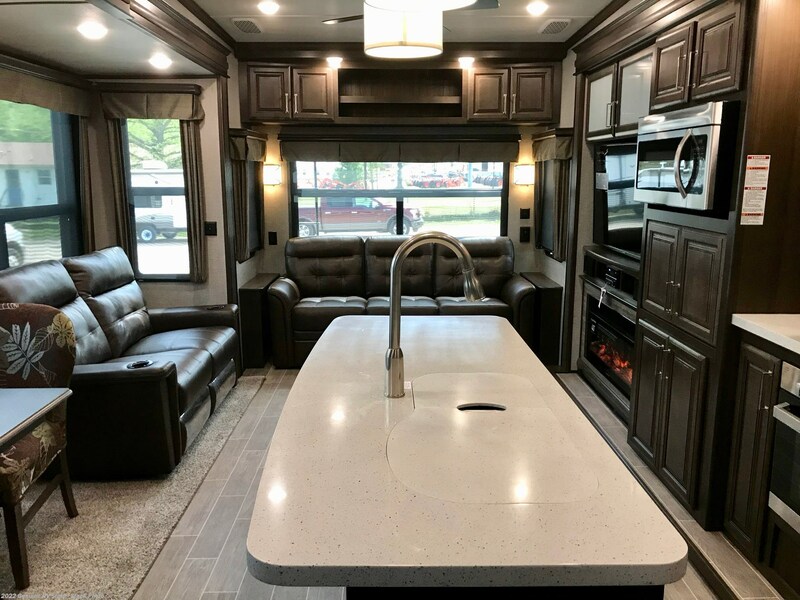 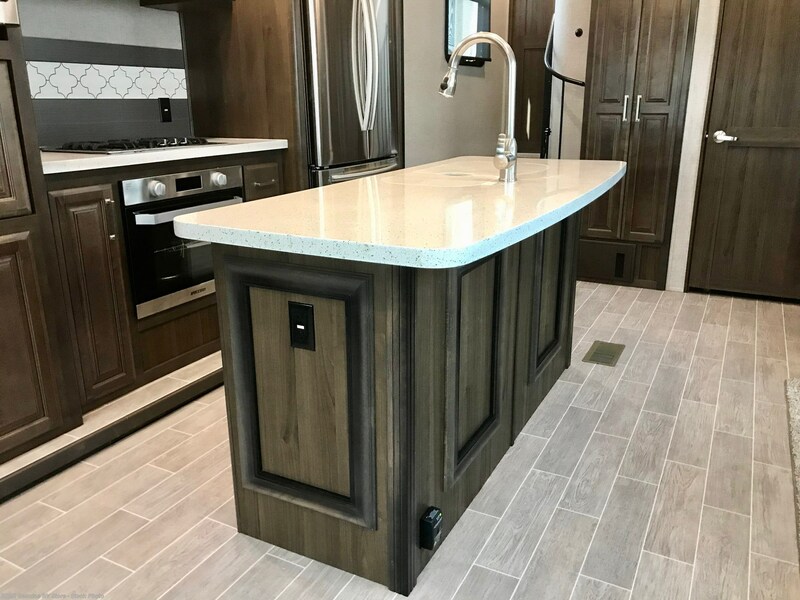 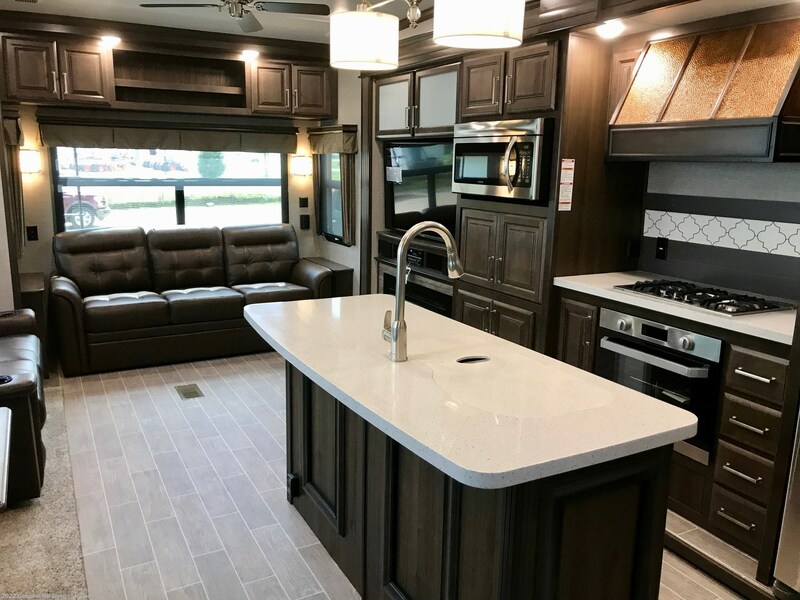 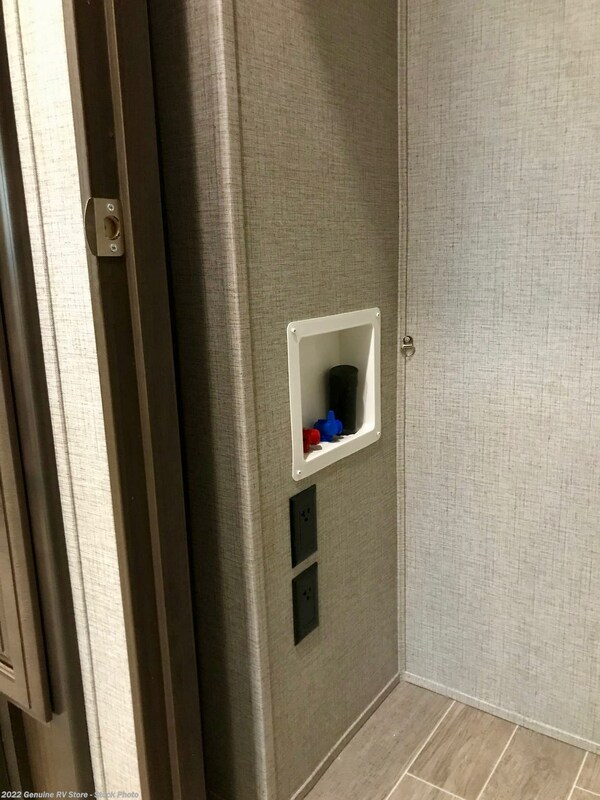 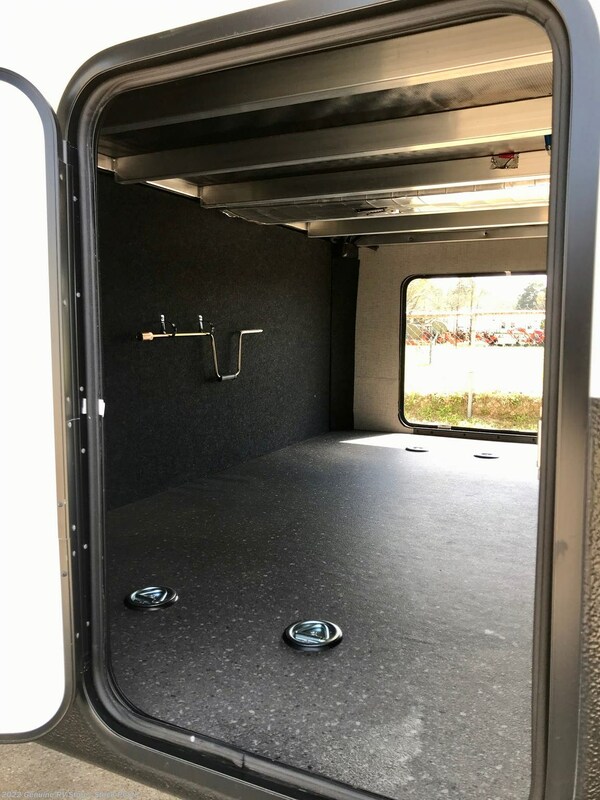 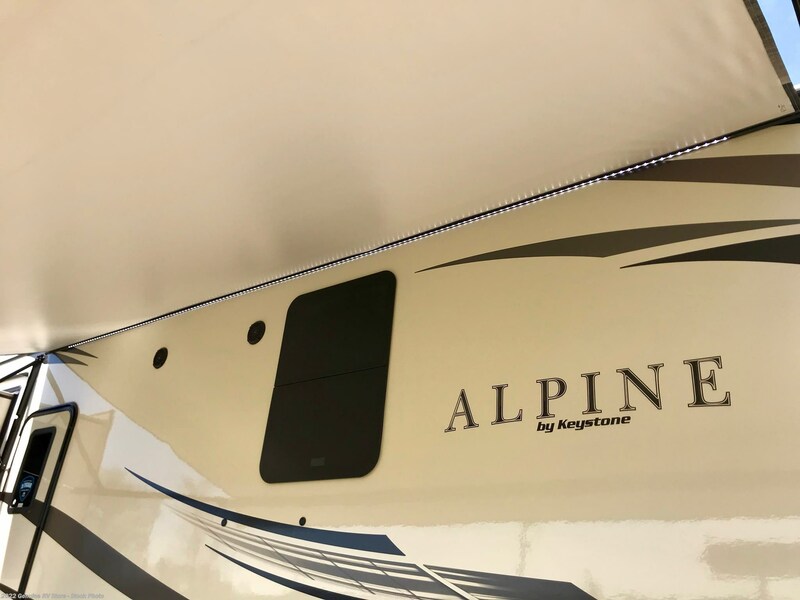 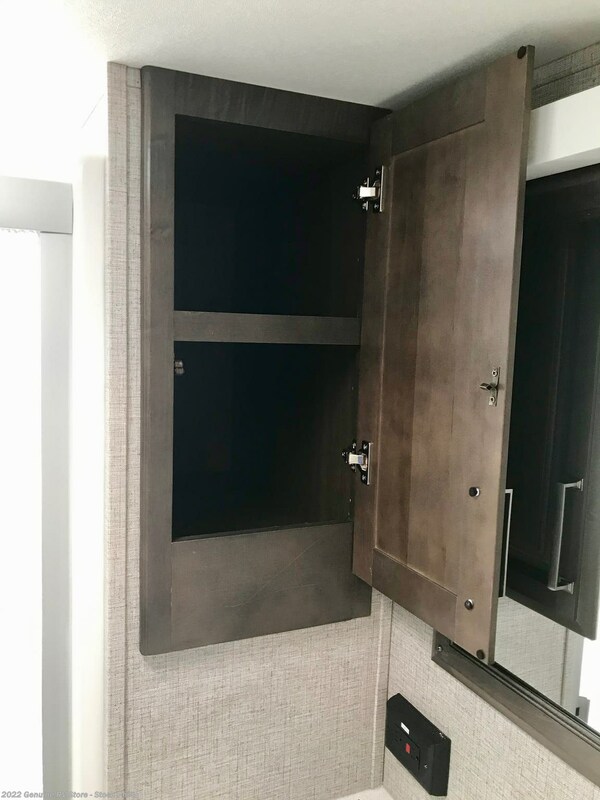 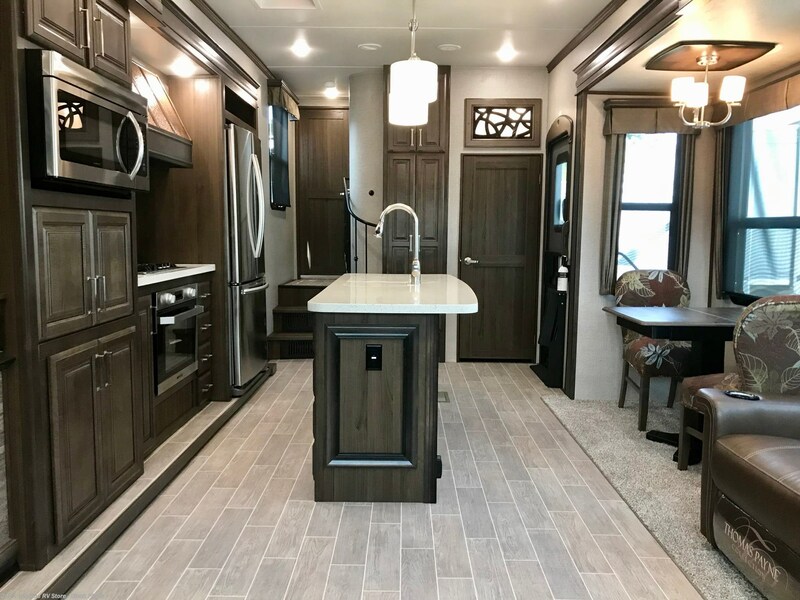 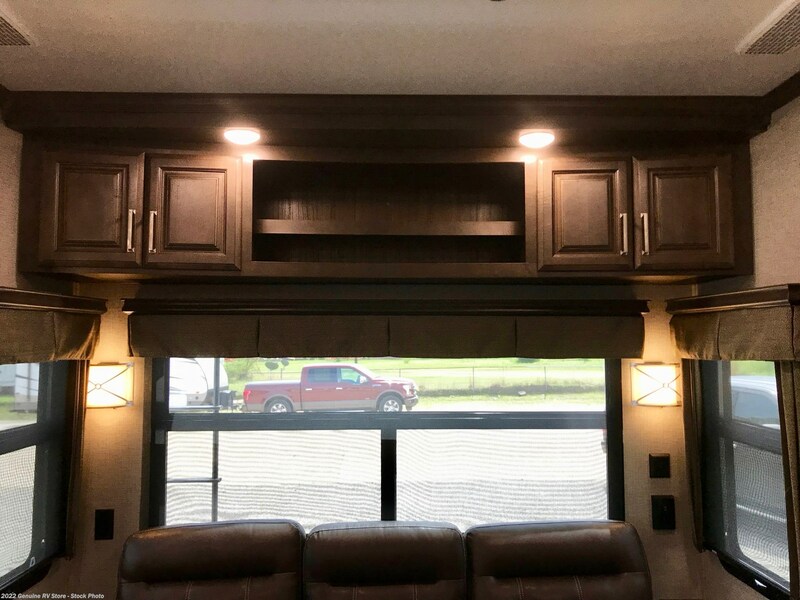 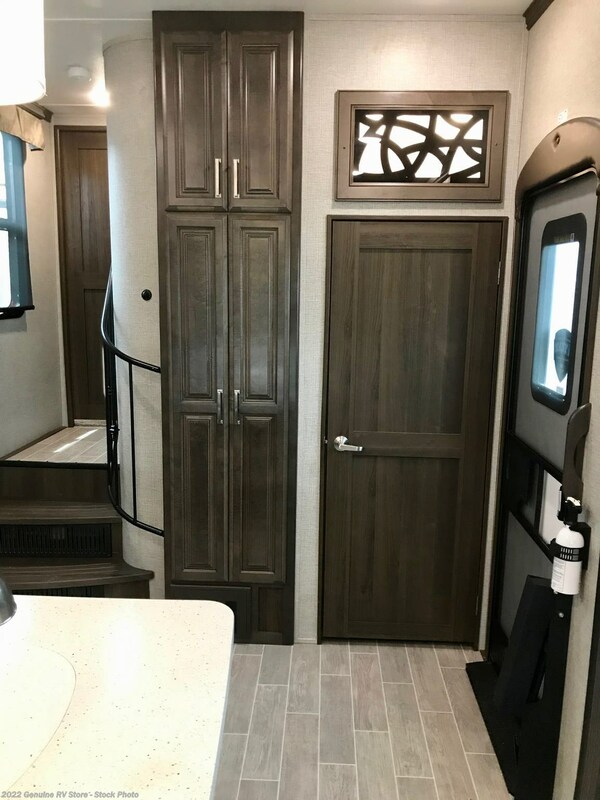 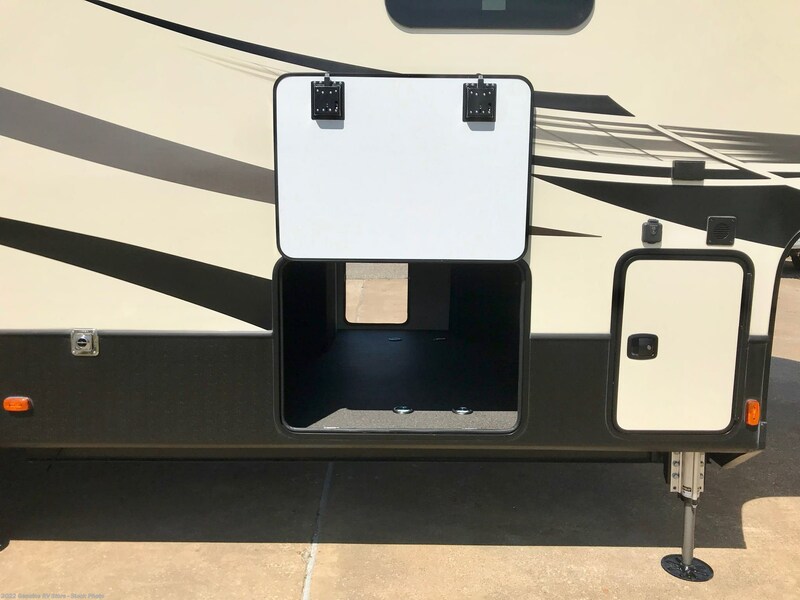 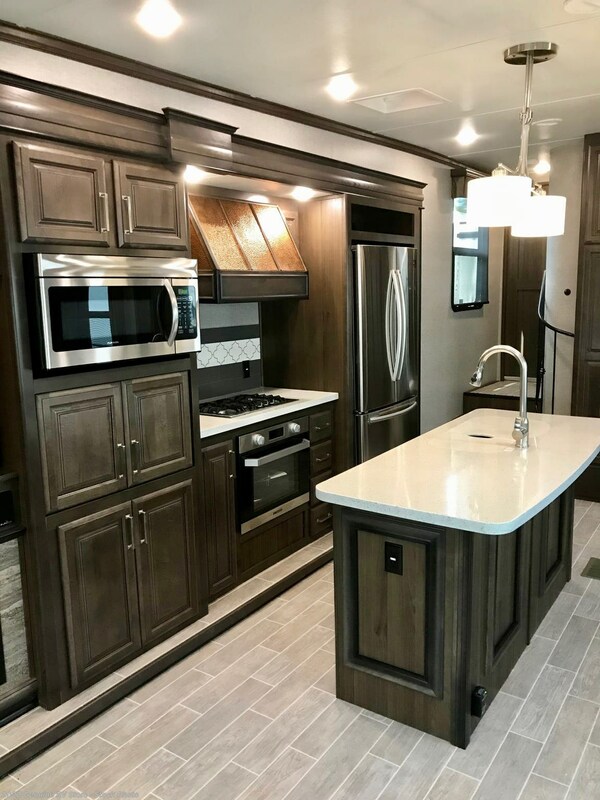 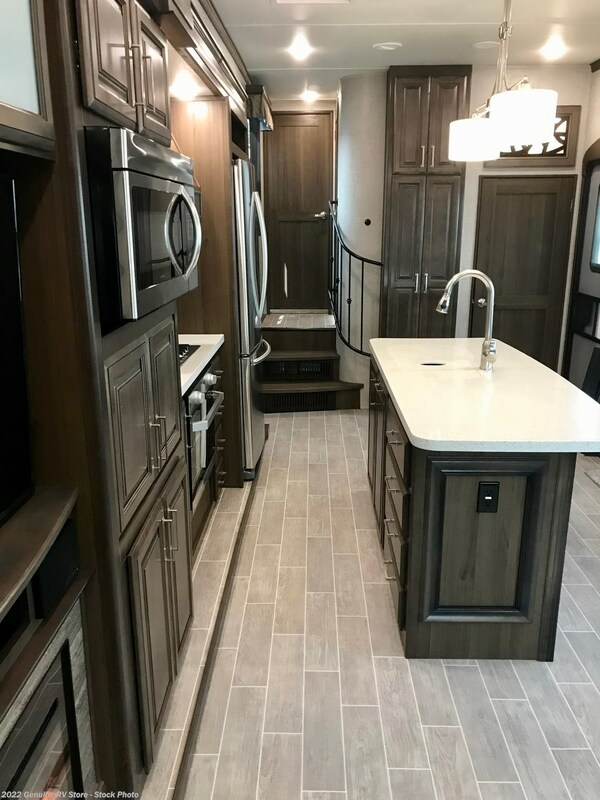 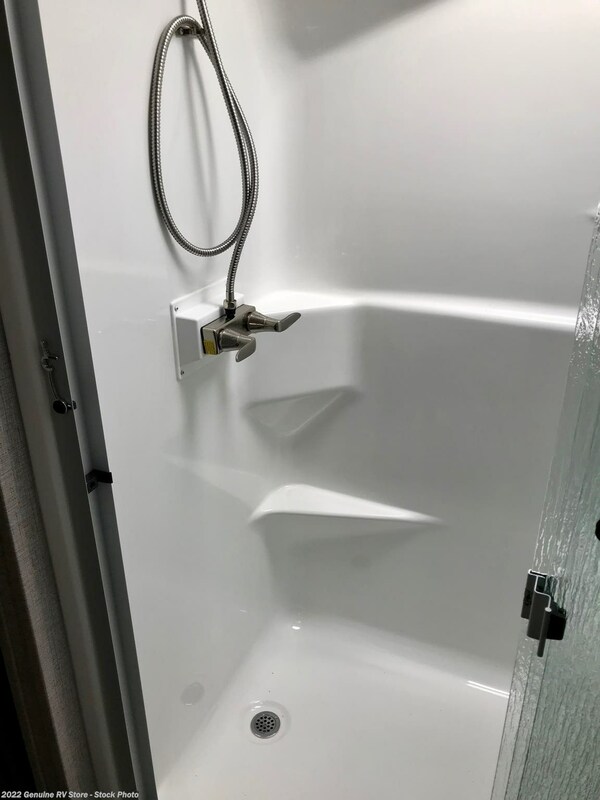 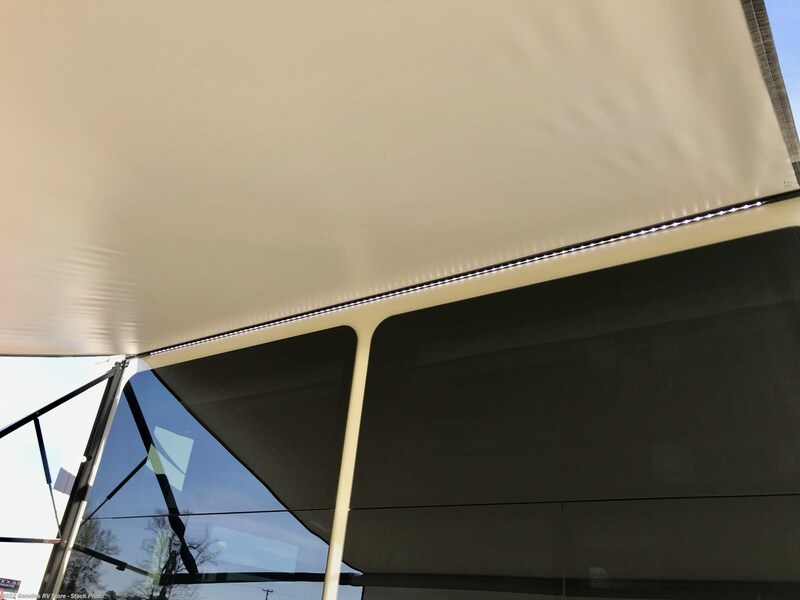 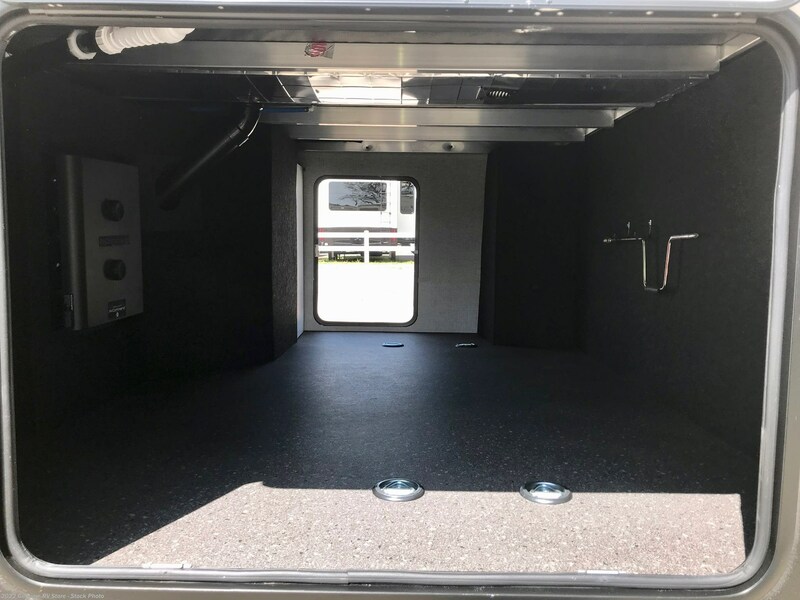 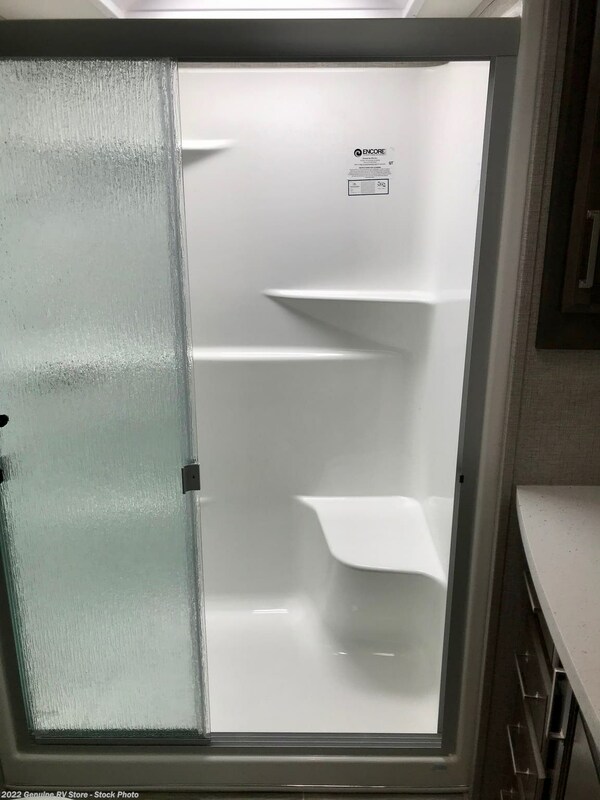 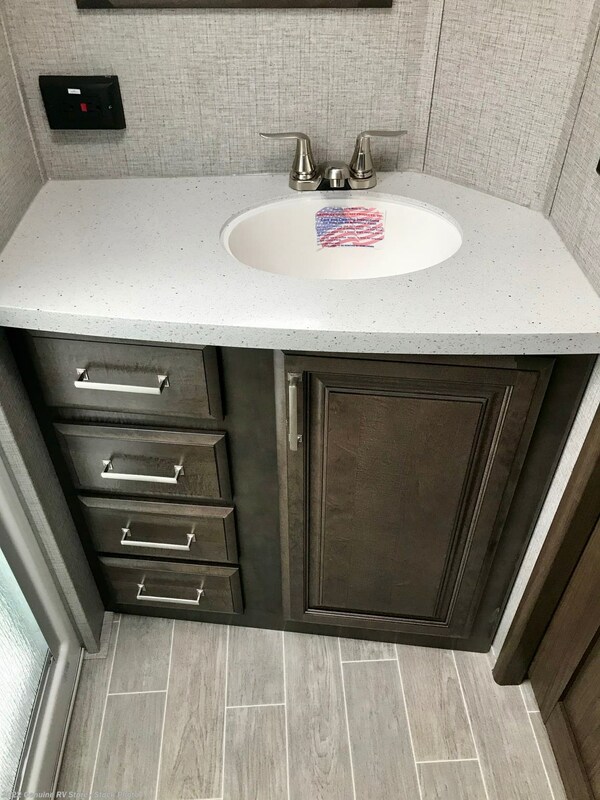 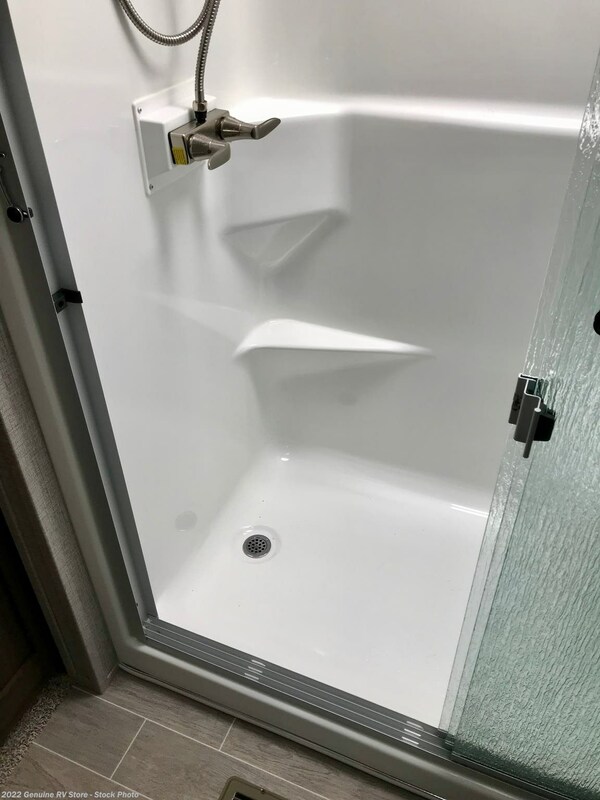 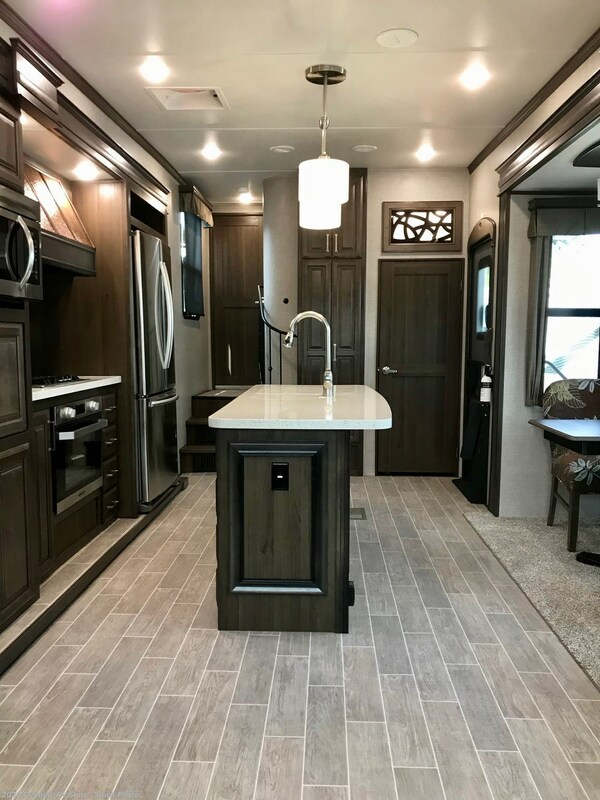 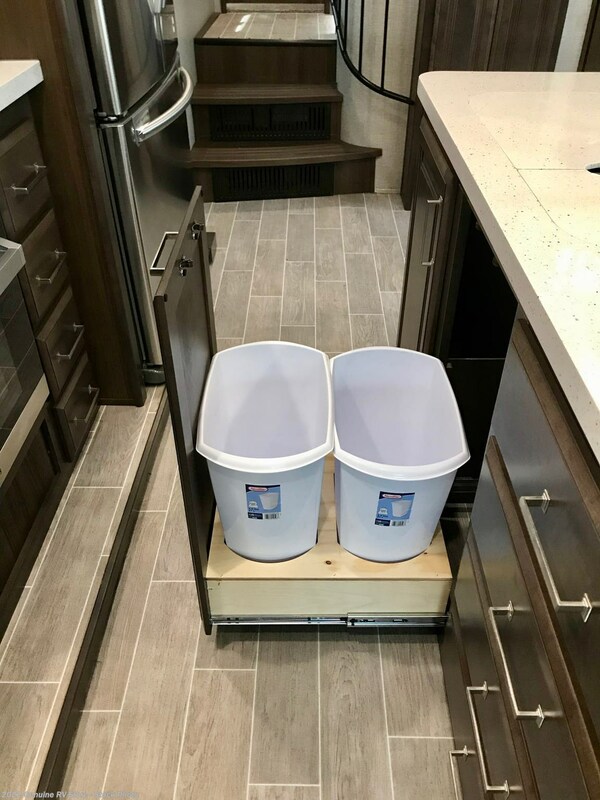 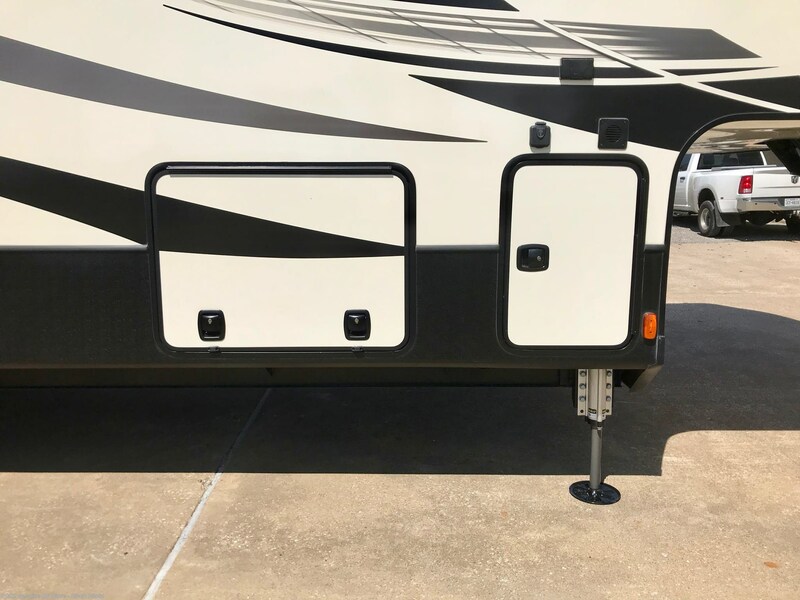 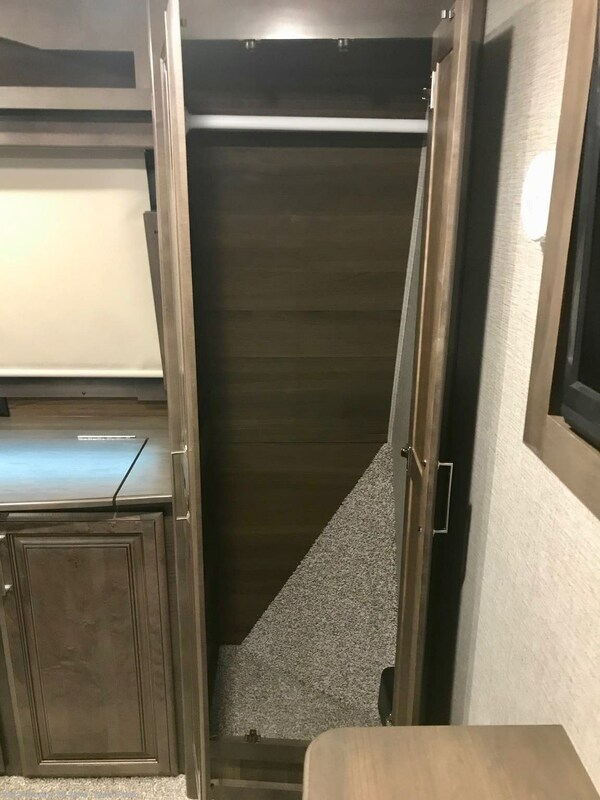 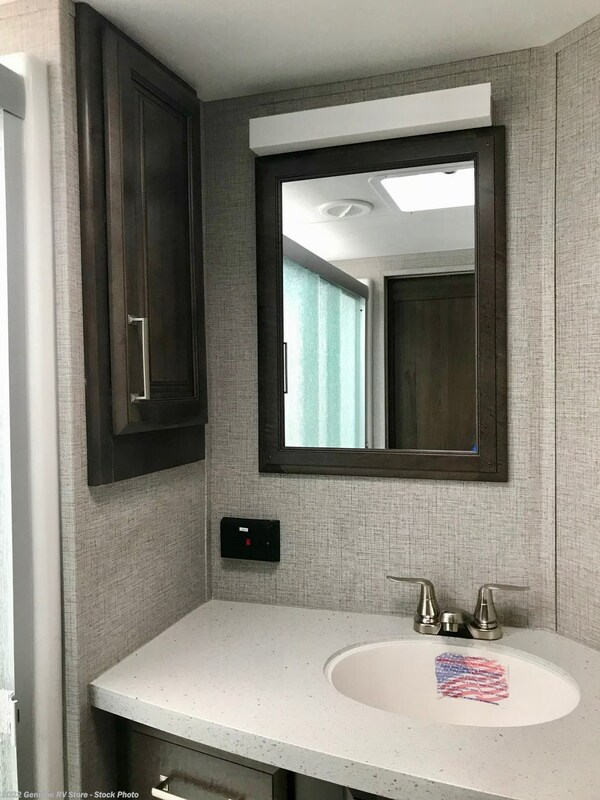 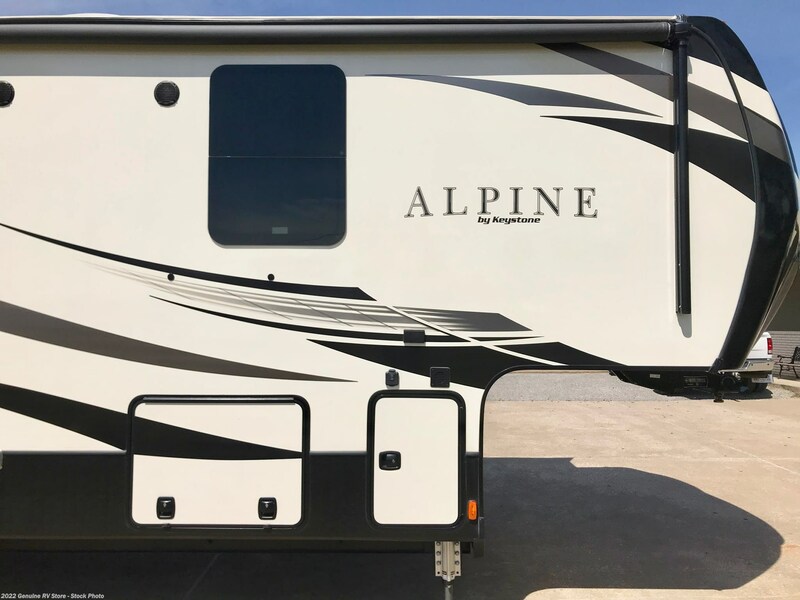 This Alpine 5th wheel trailer features a fiberglass exterior and hardwood raised-panel glazed cabinet doors. 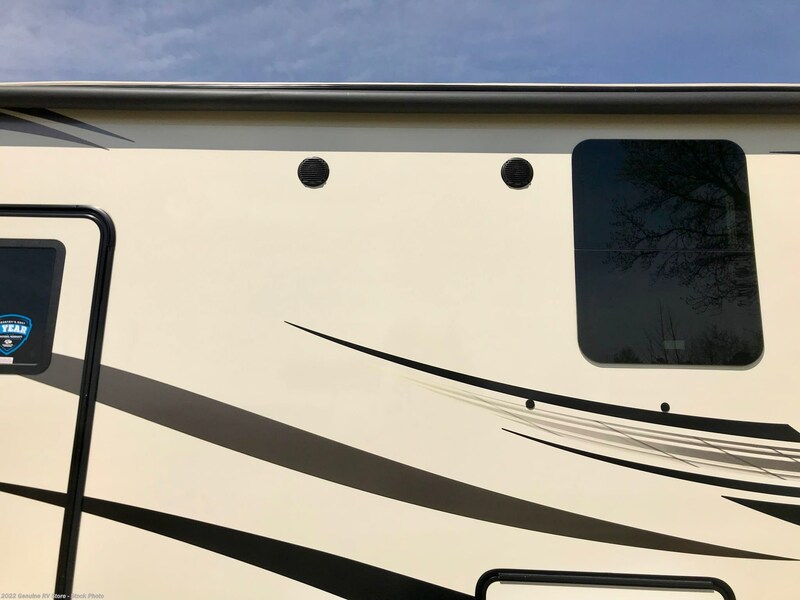 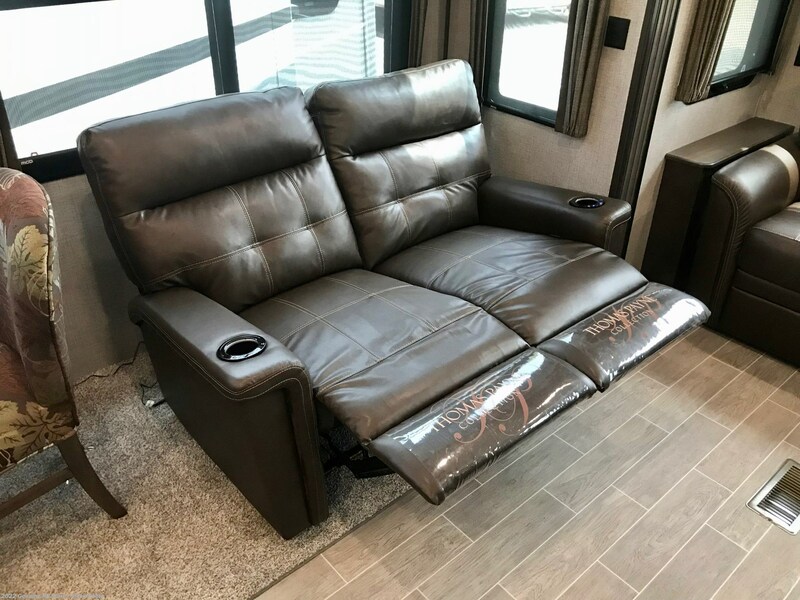 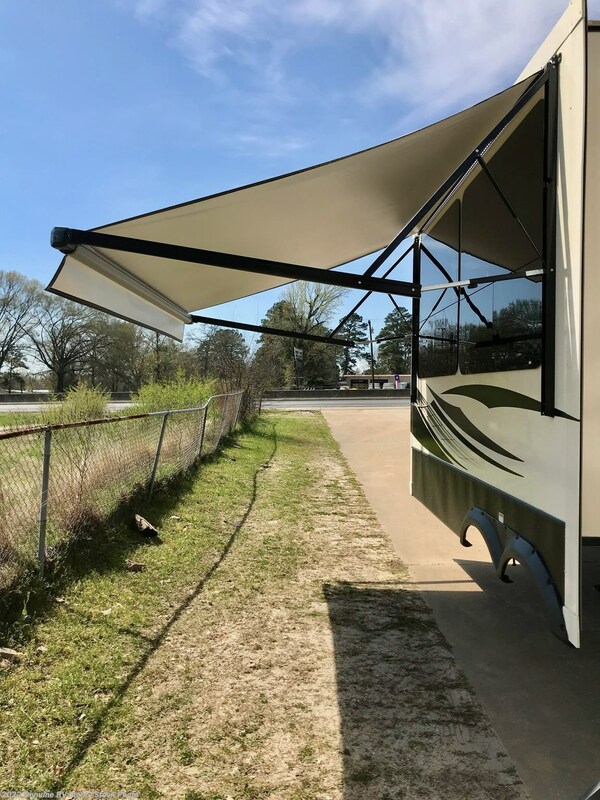 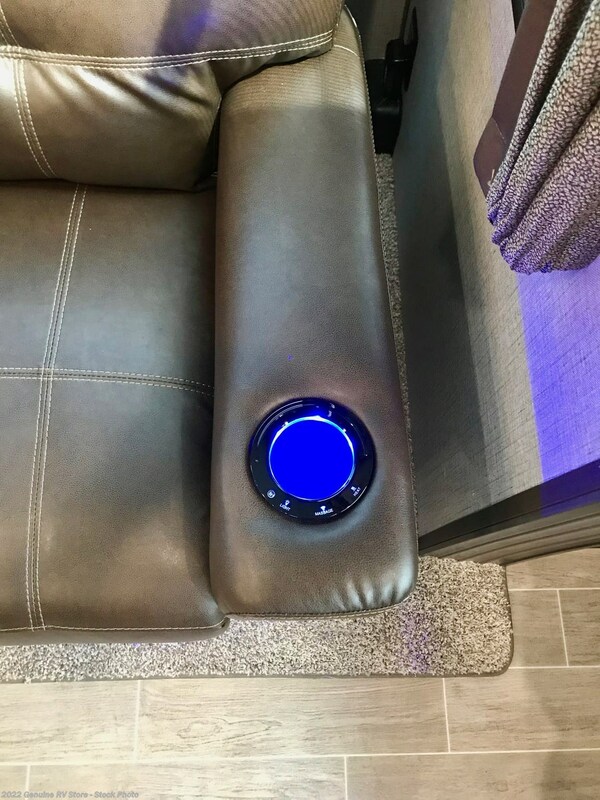 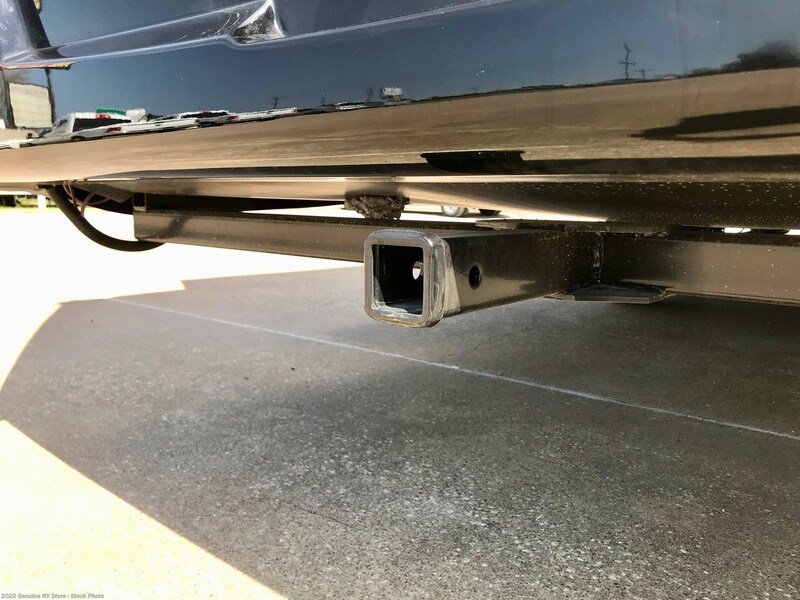 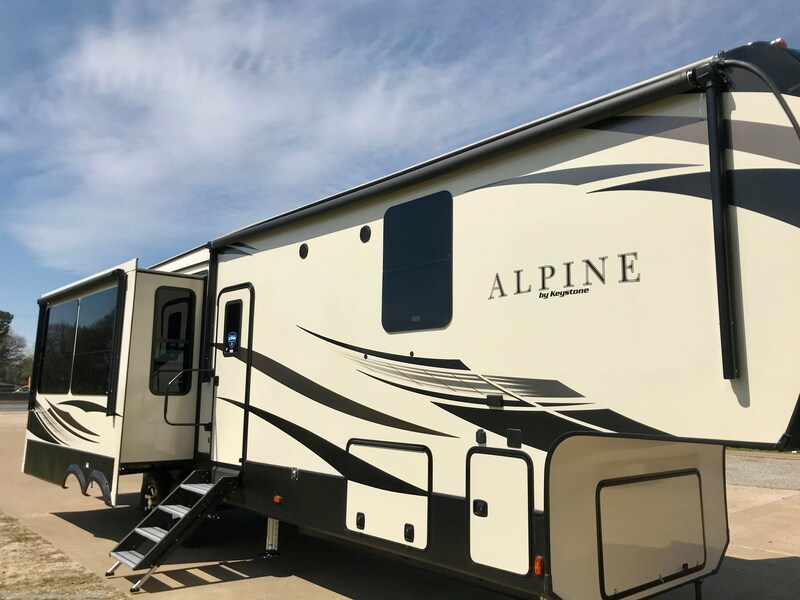 Keystone Alpine and Genuine RV is your #1 Choice for Experiencing this big country called America... From the streets of Laredo to the big sky of Montana. 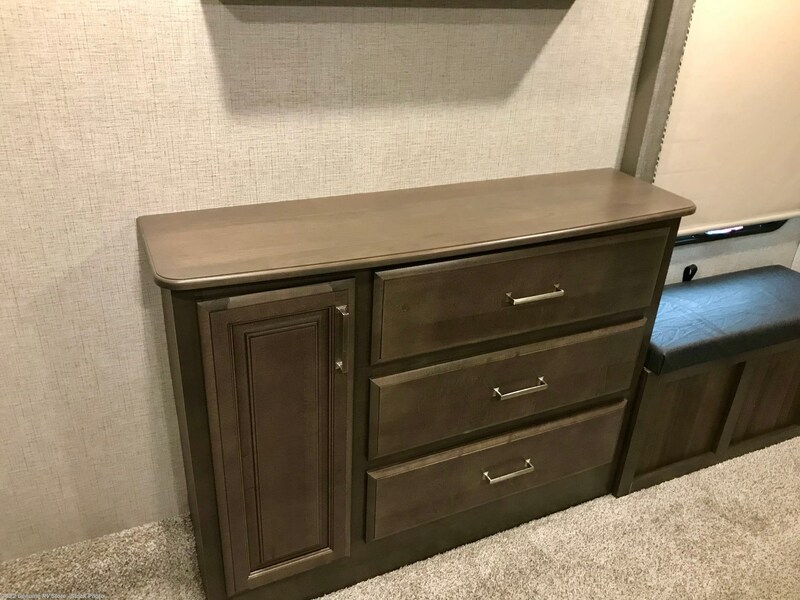 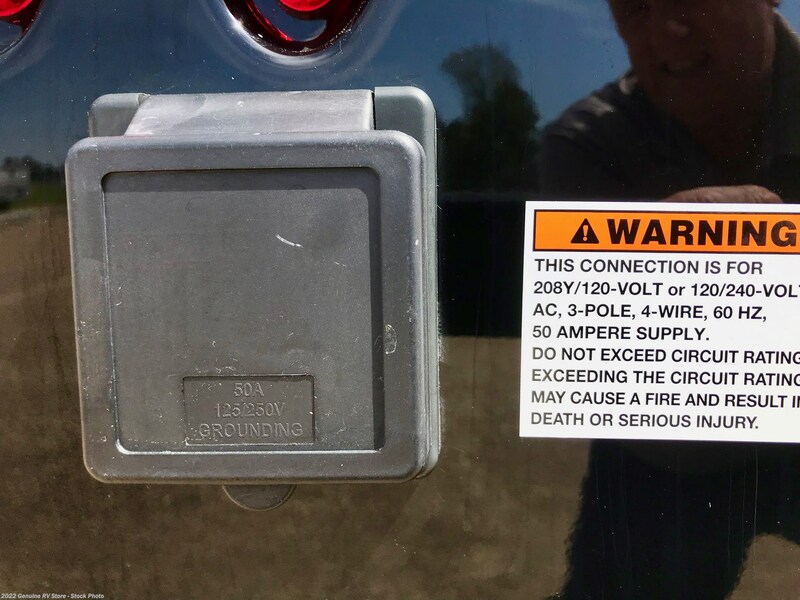 This is a great trailer... and check out that Genuine price! 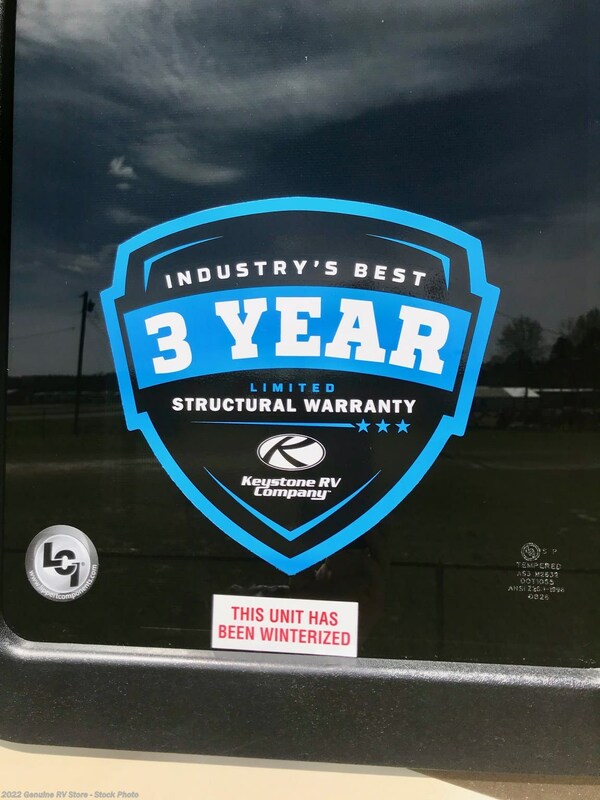 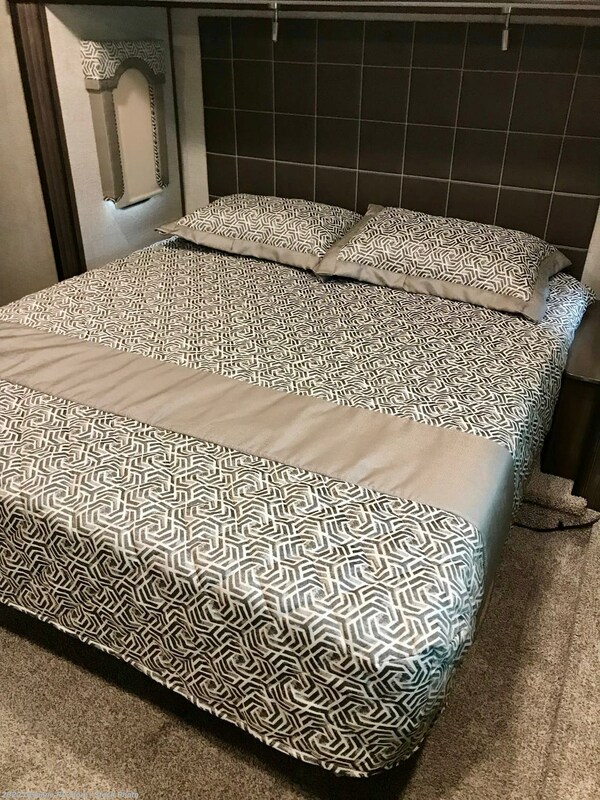 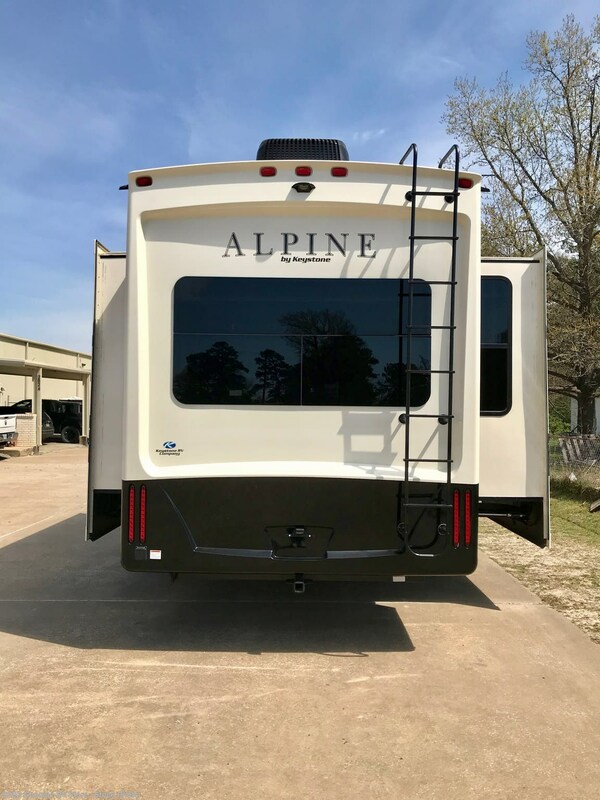 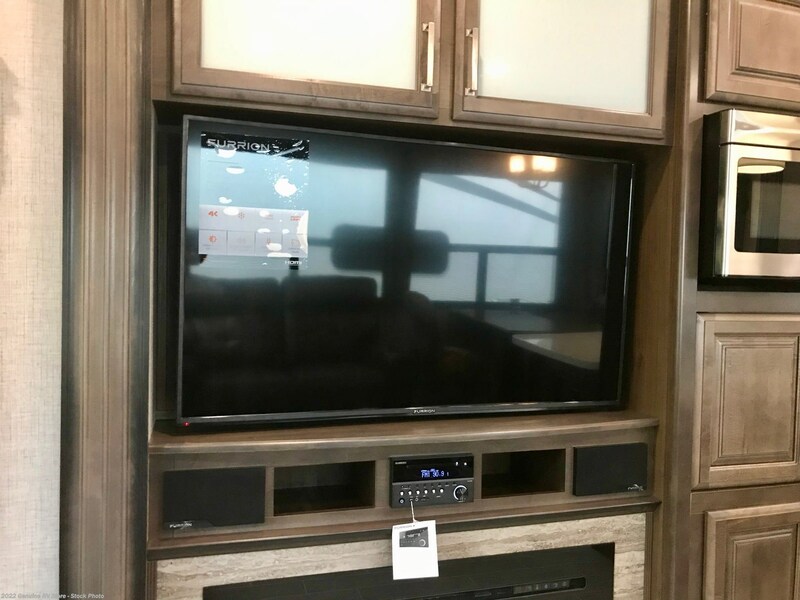 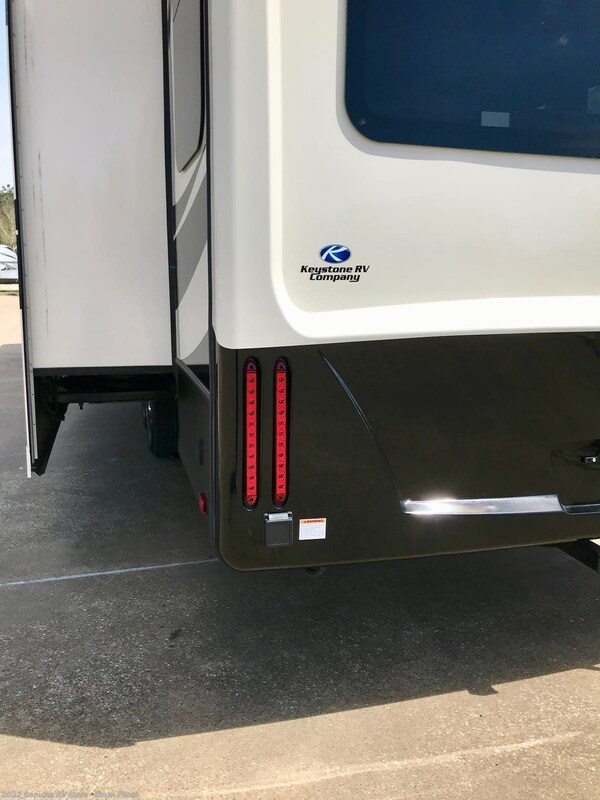 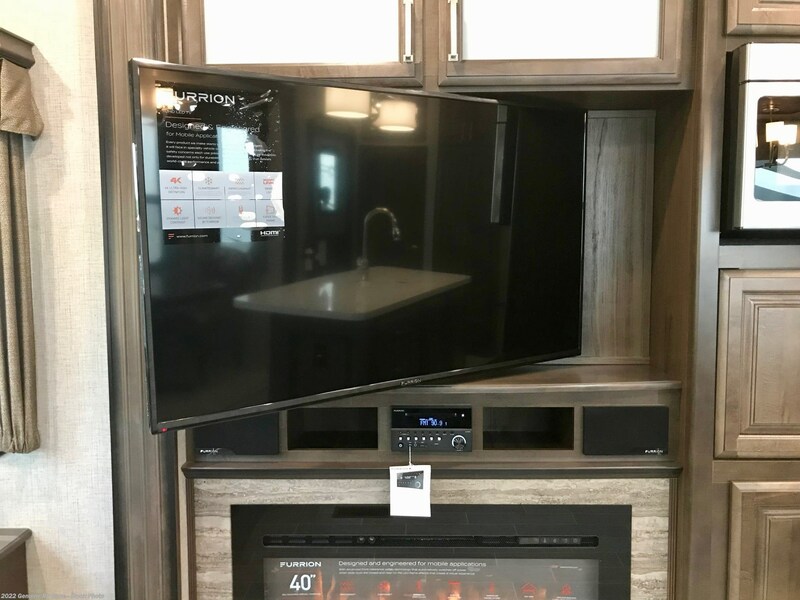 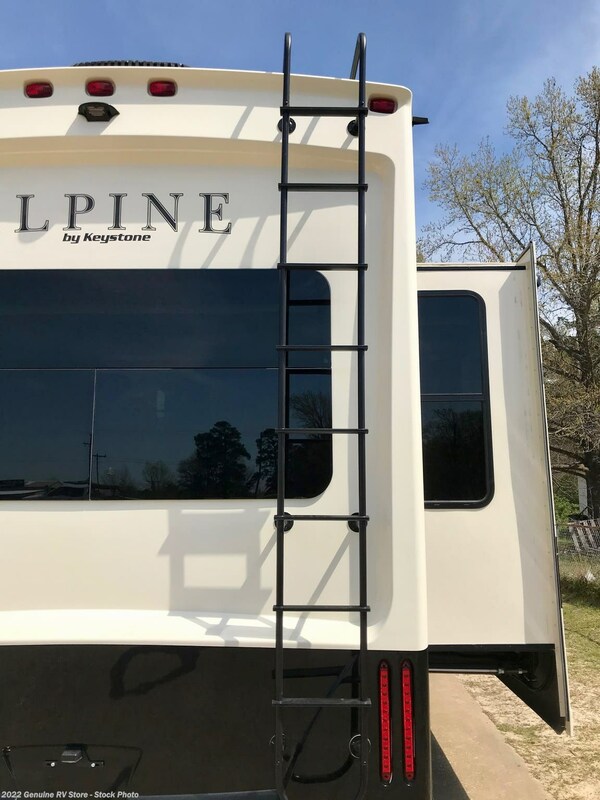 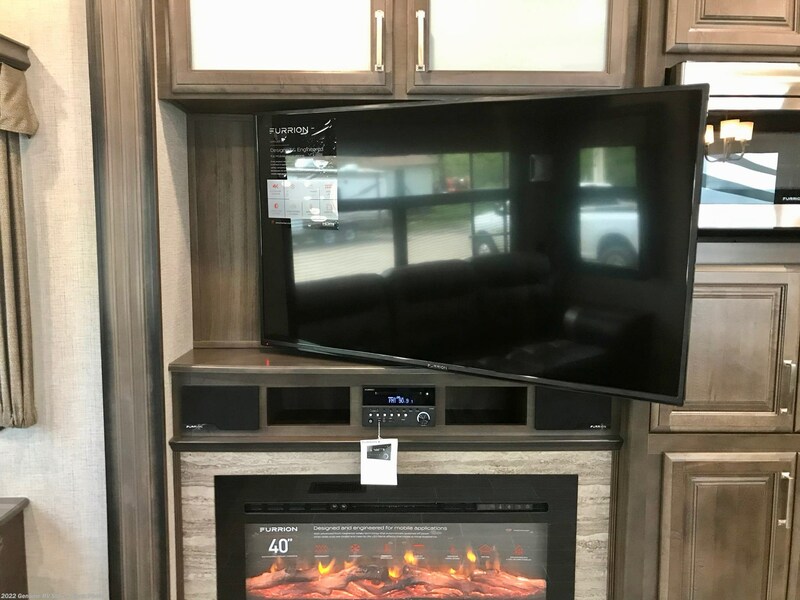 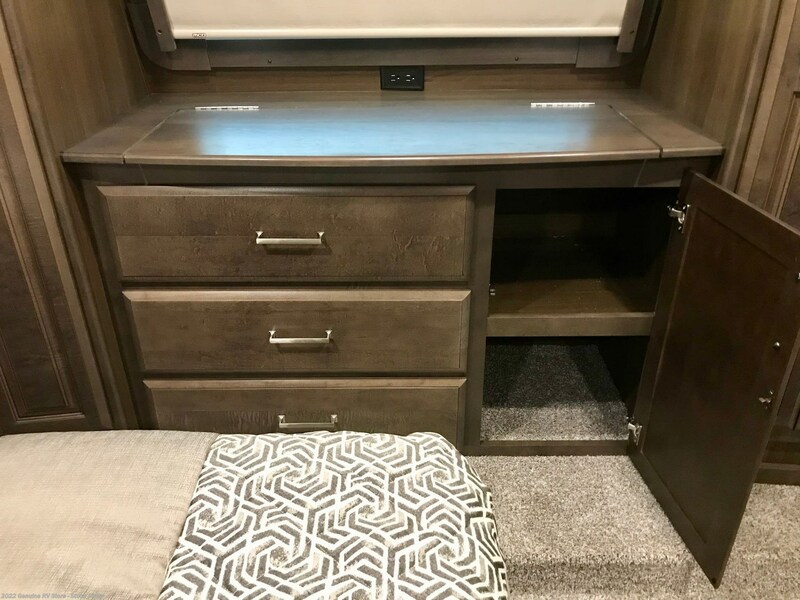 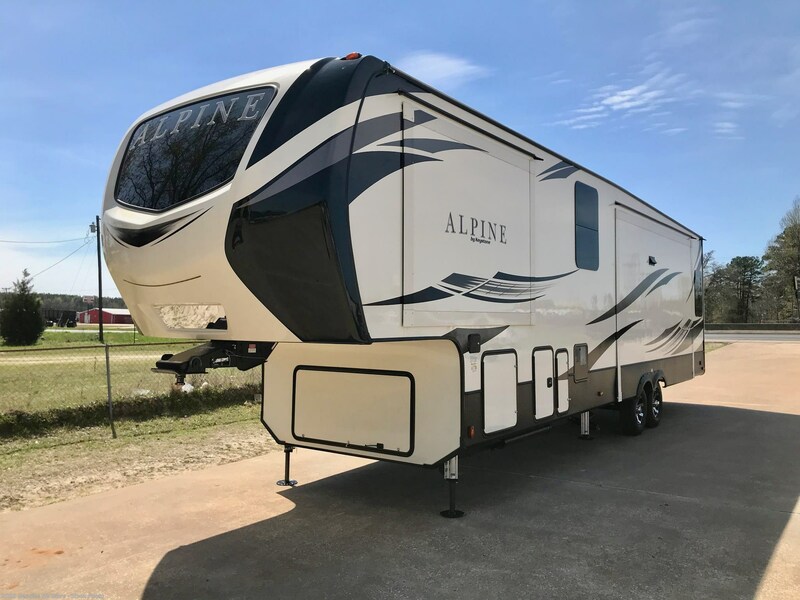 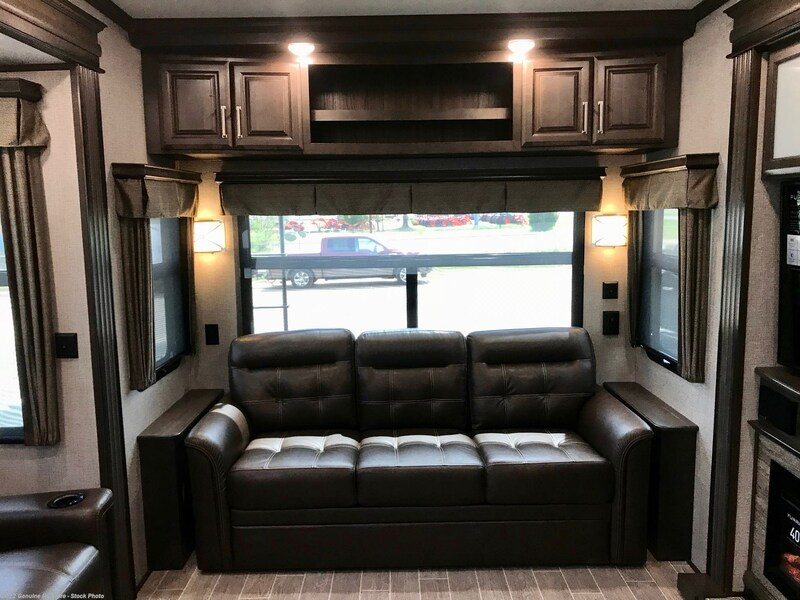 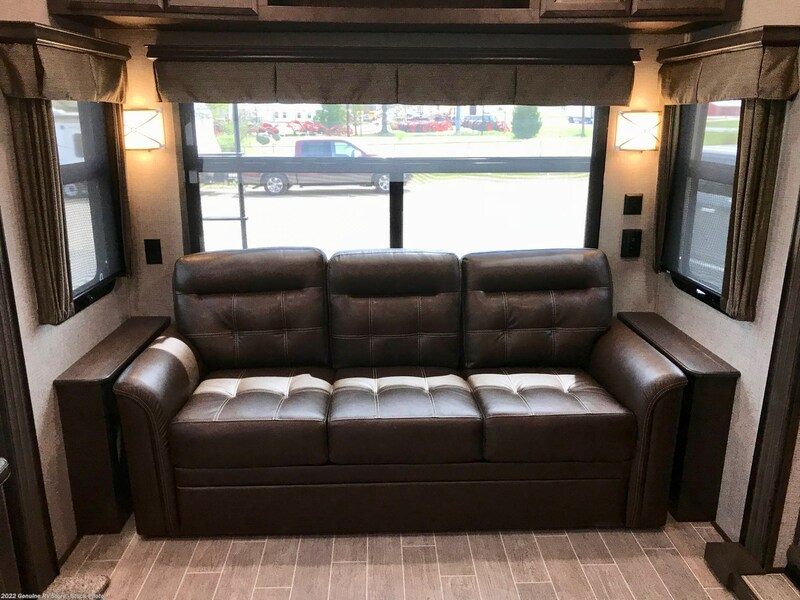 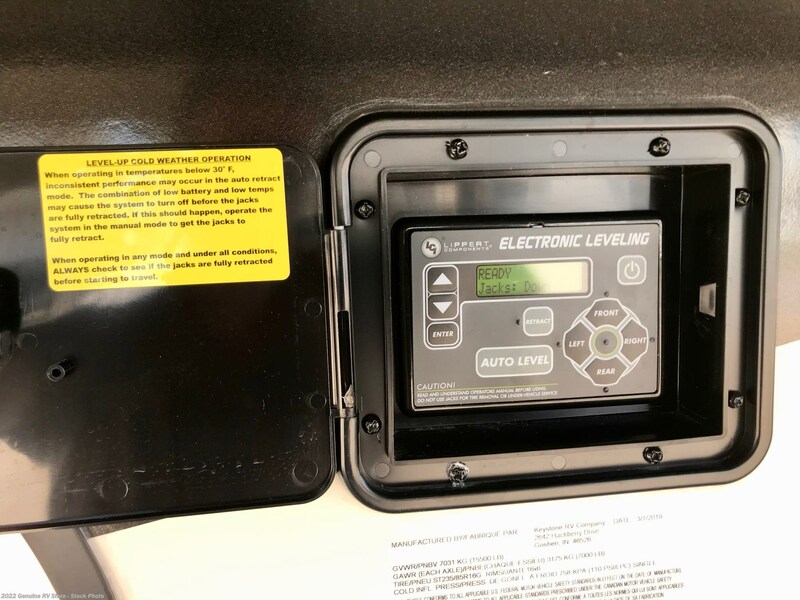 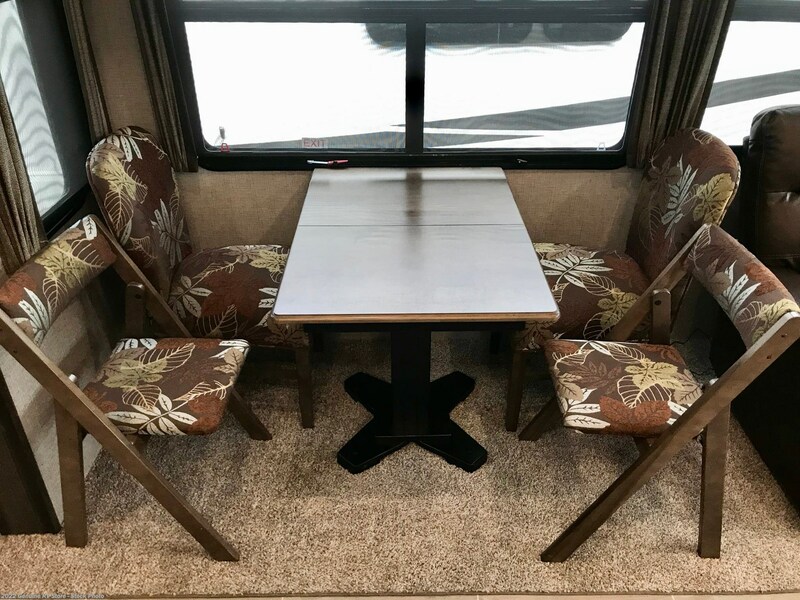 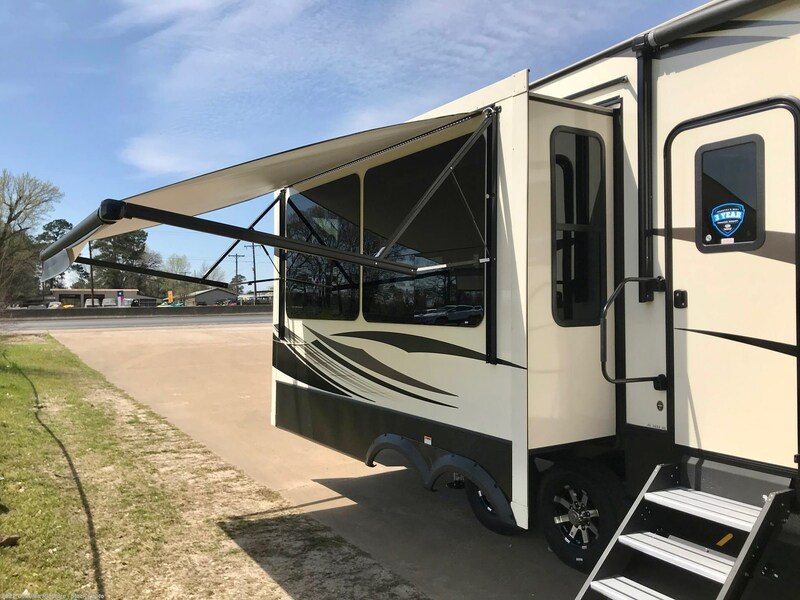 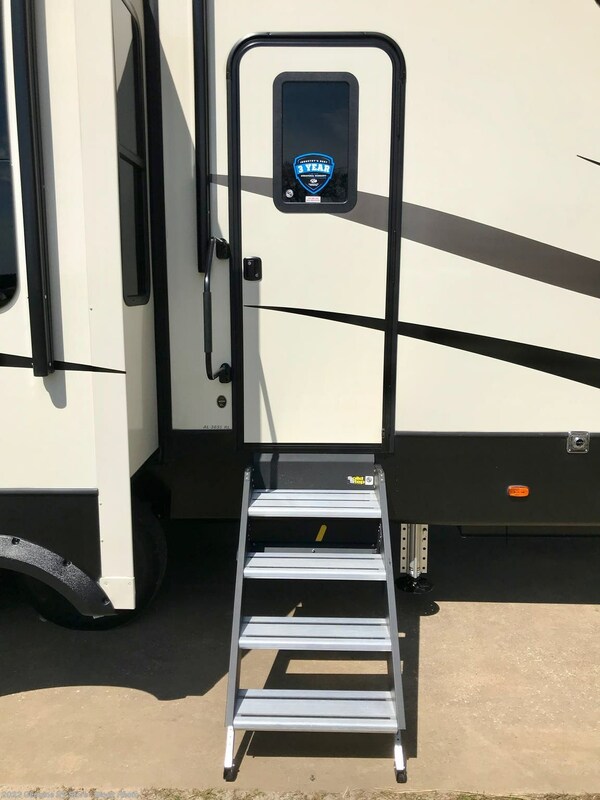 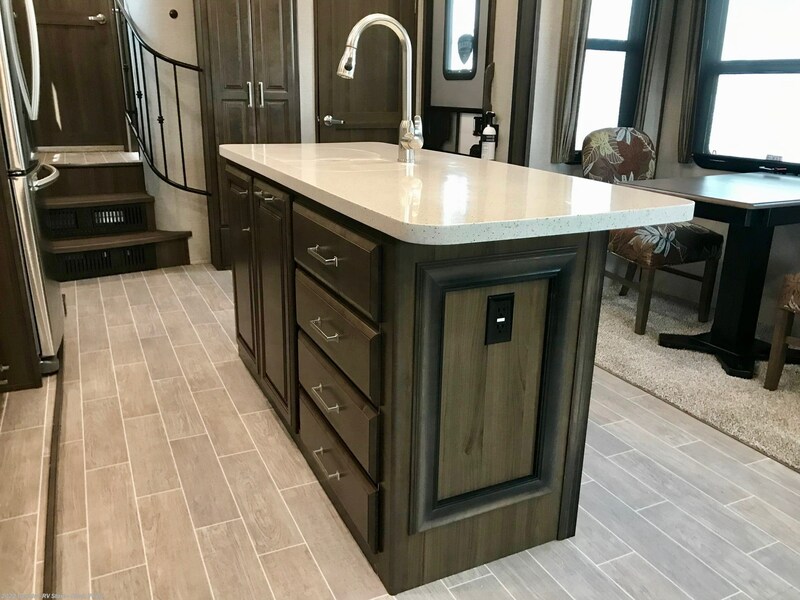 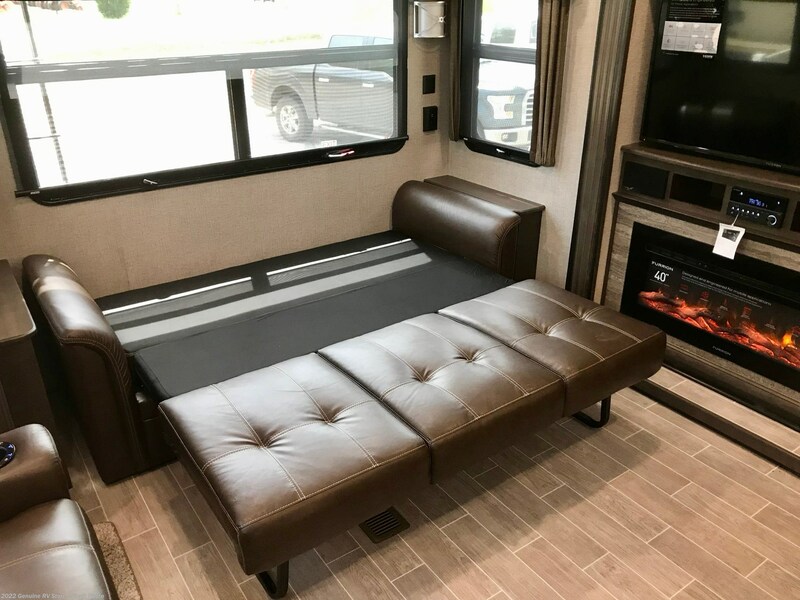 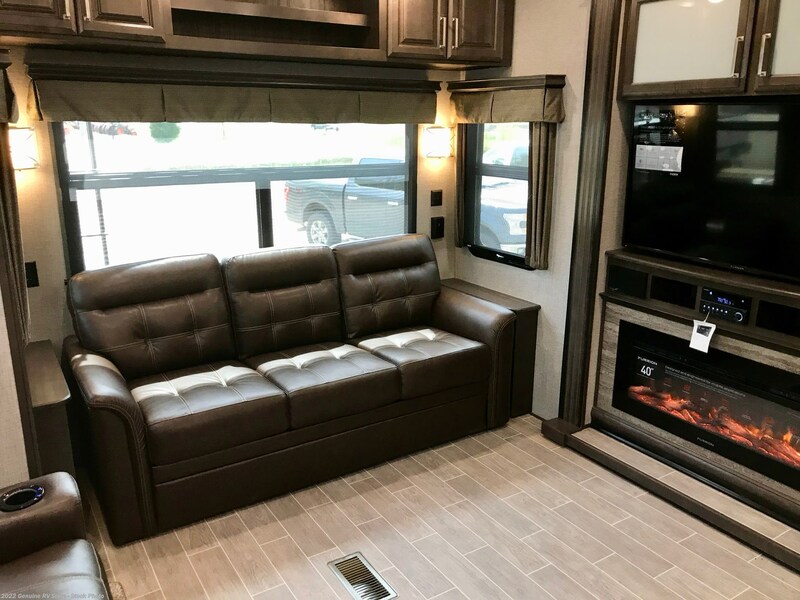 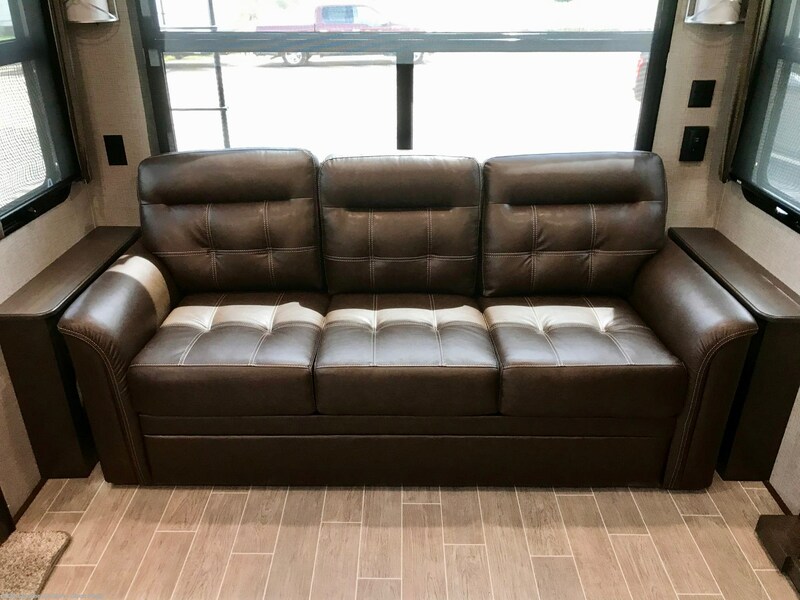 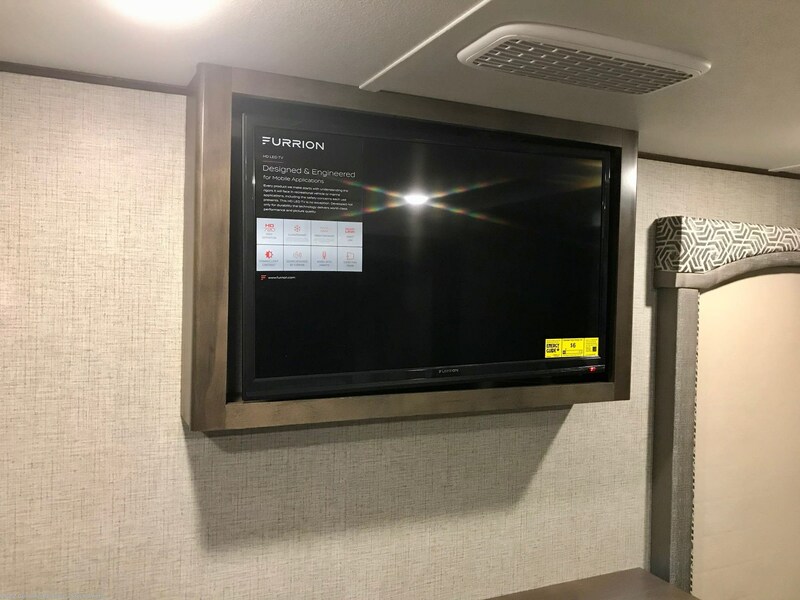 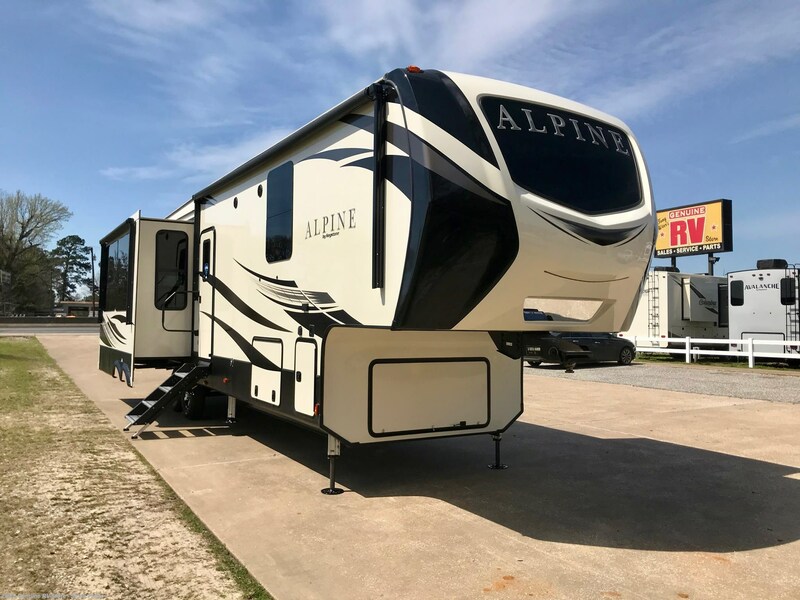 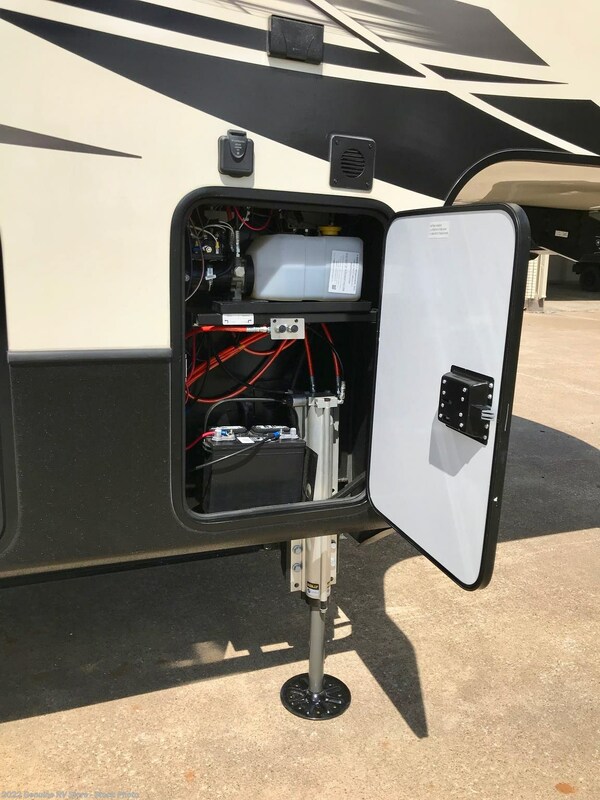 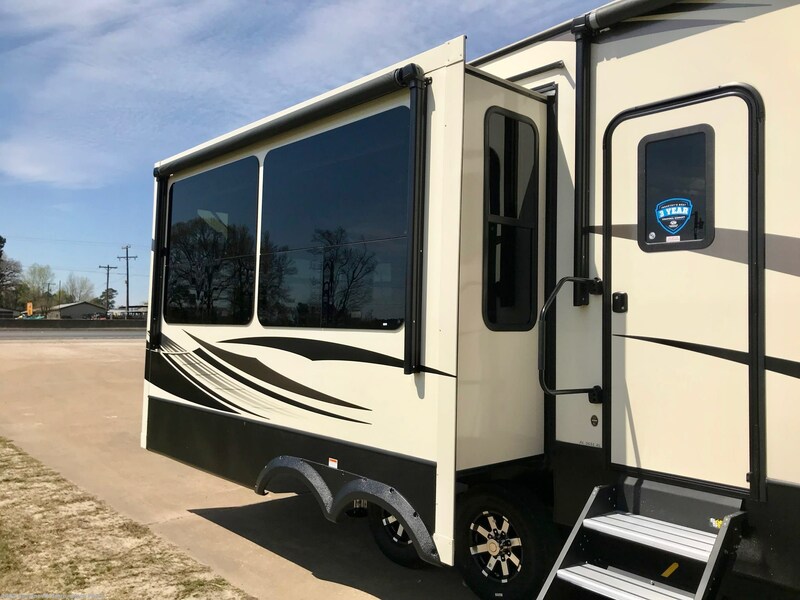 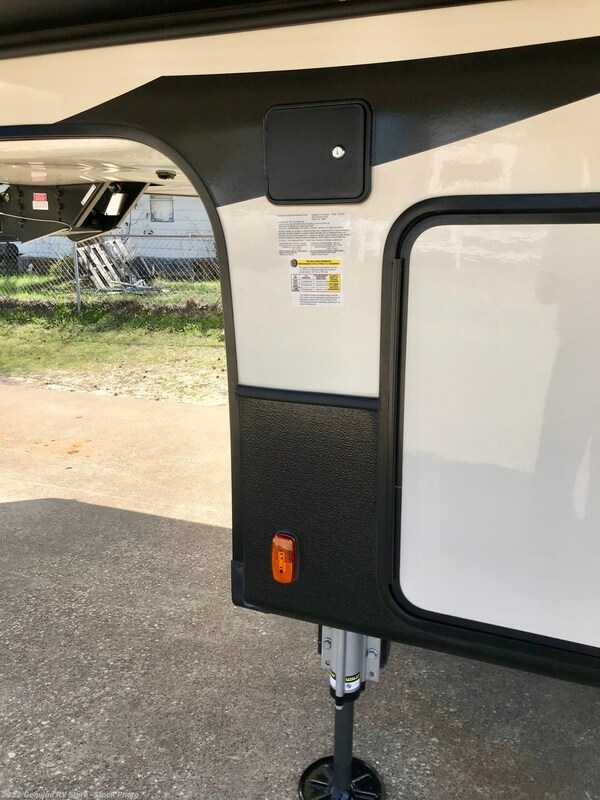 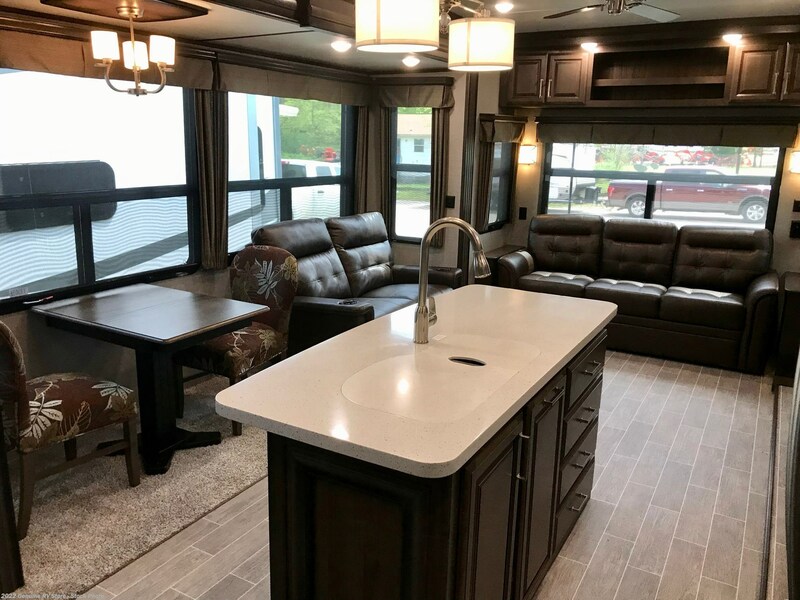 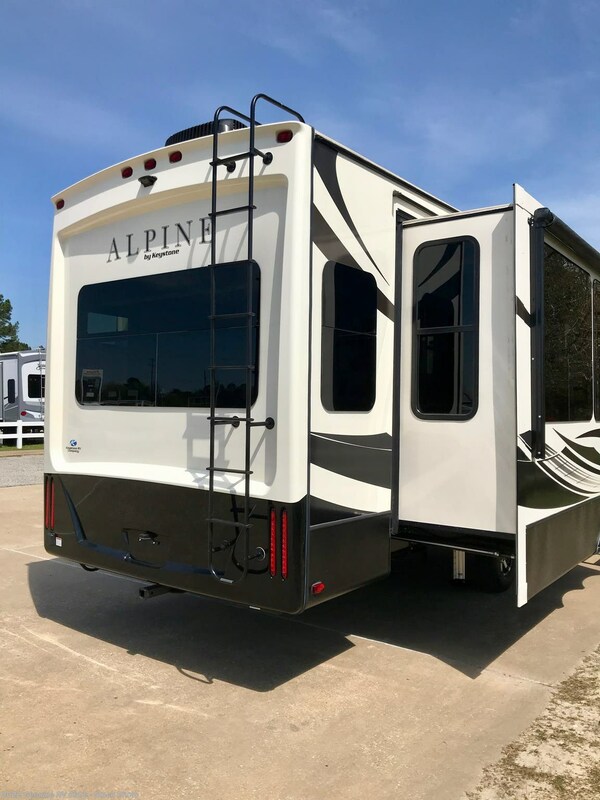 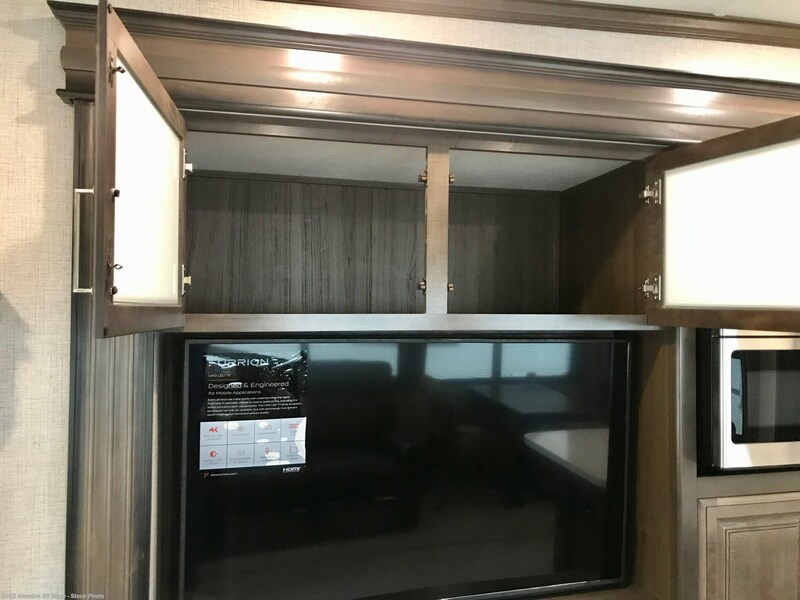 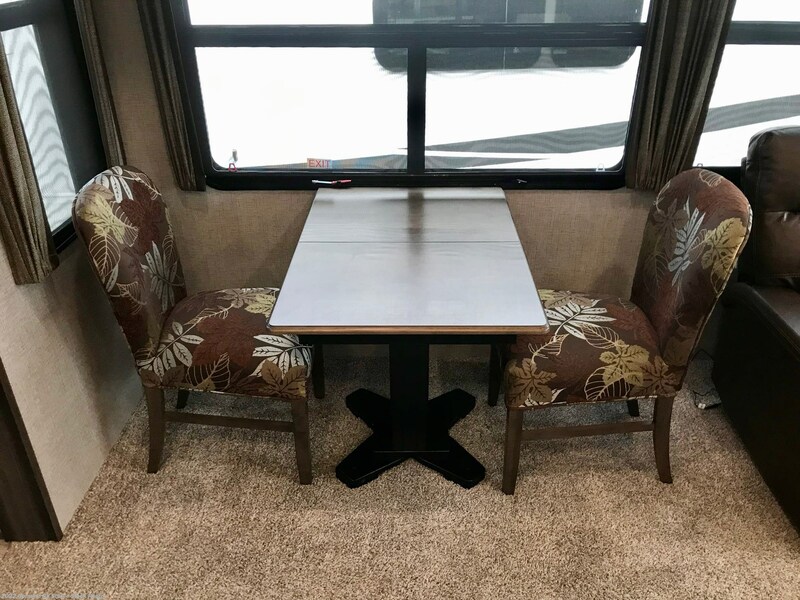 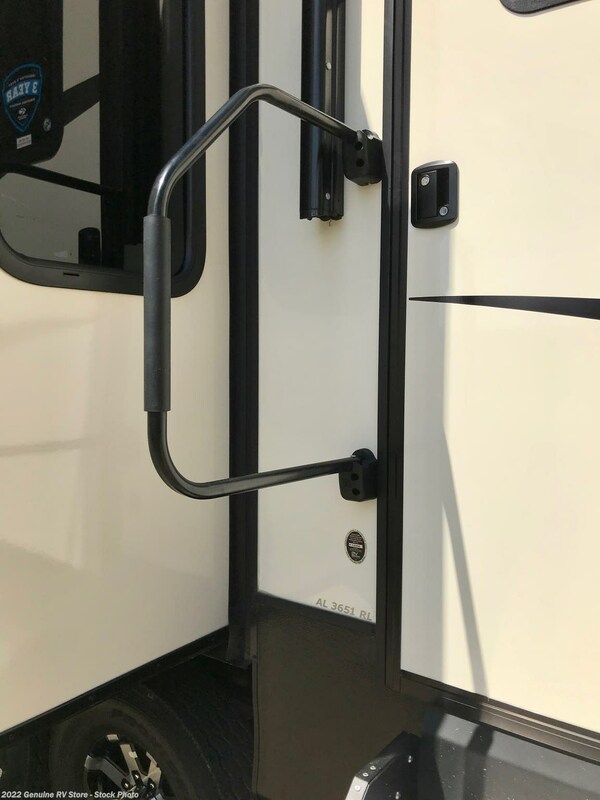 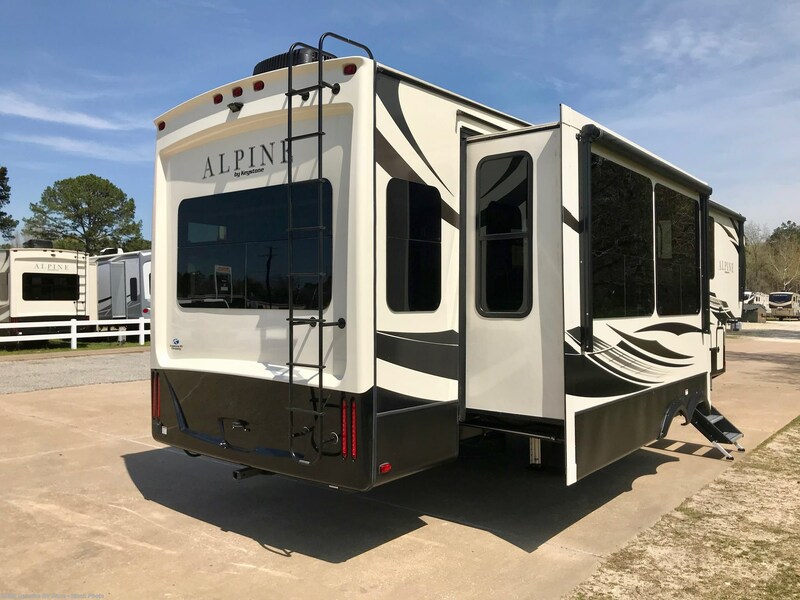 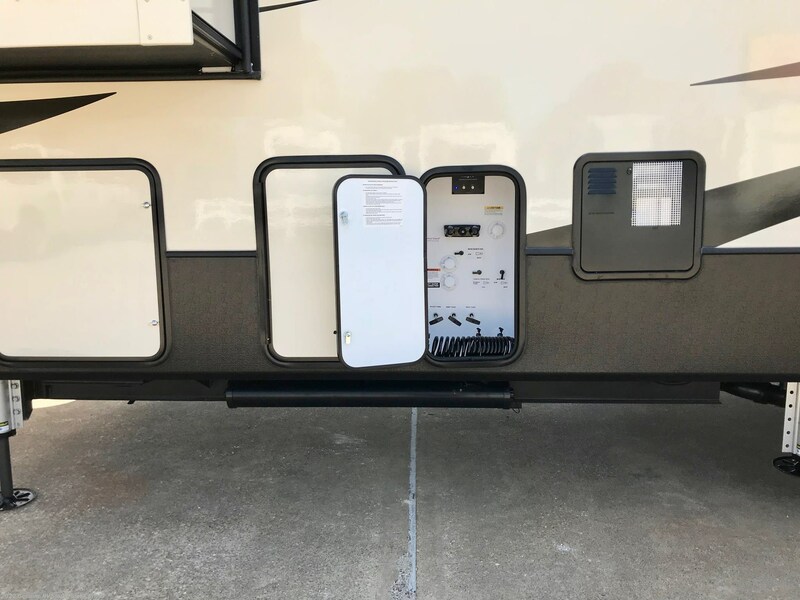 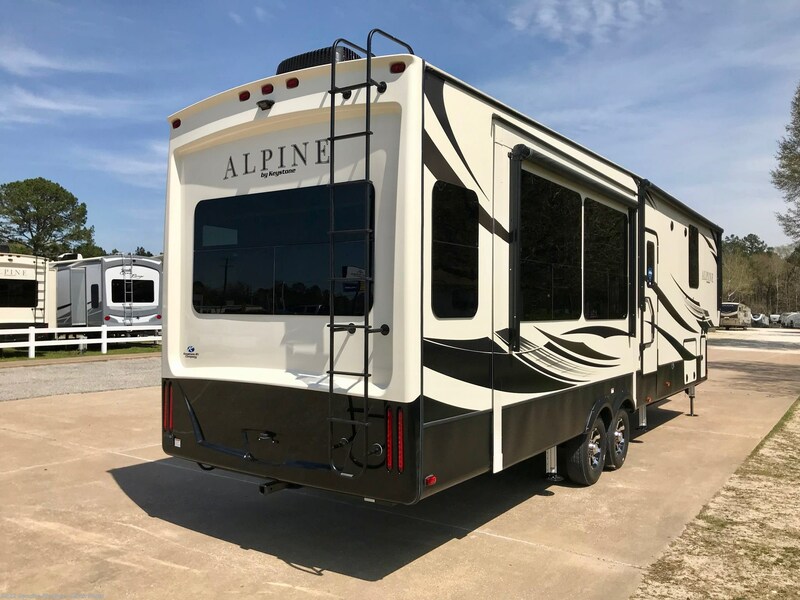 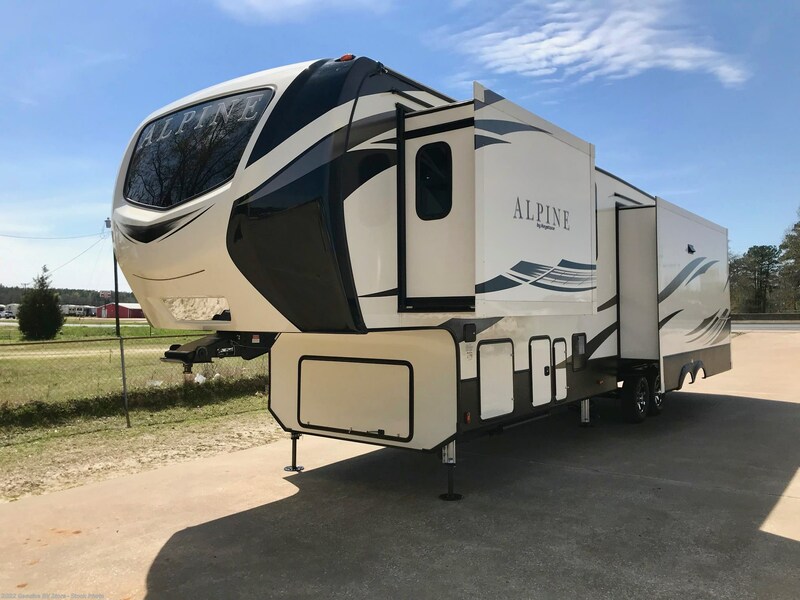 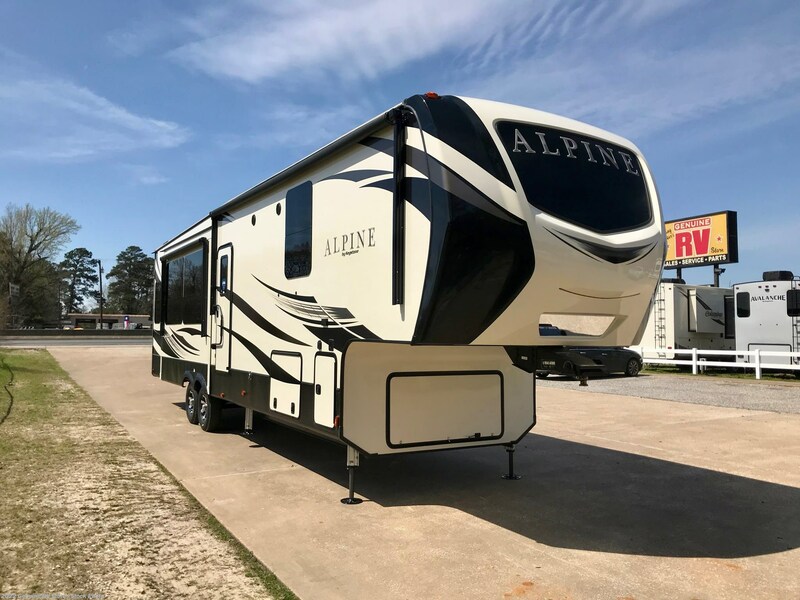 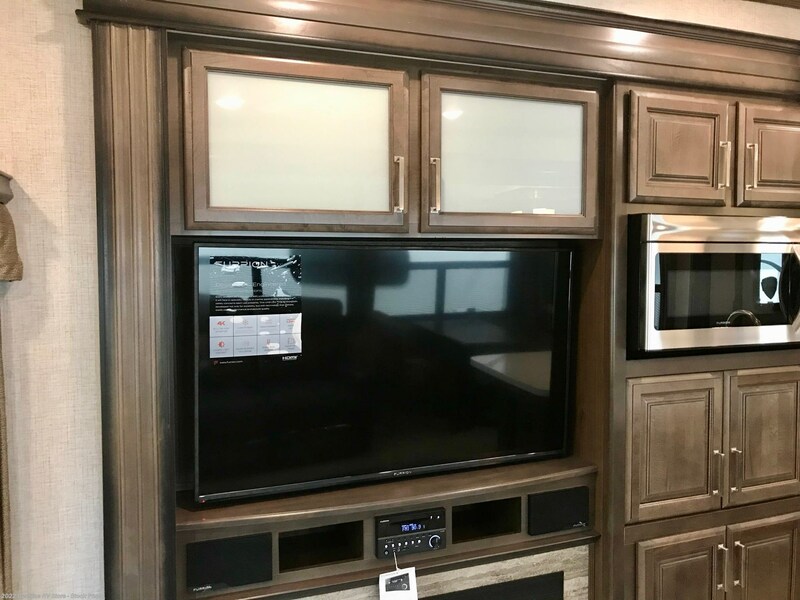 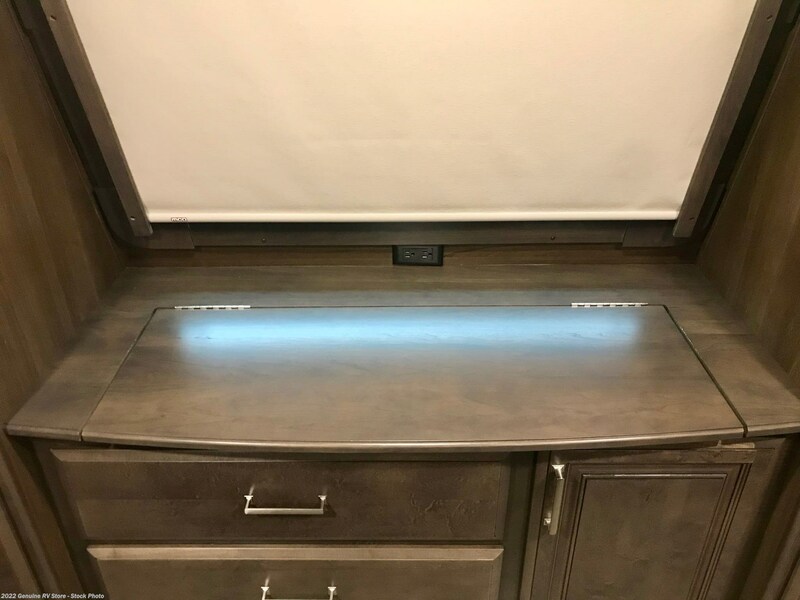 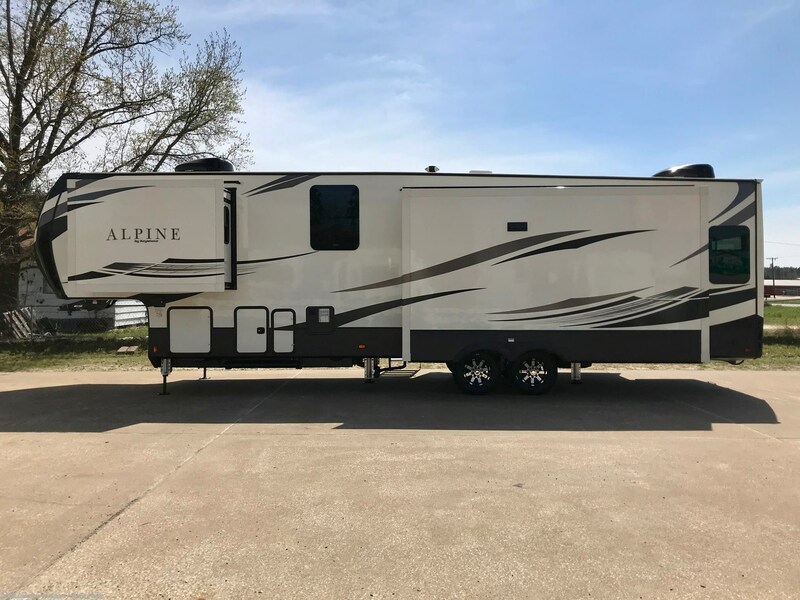 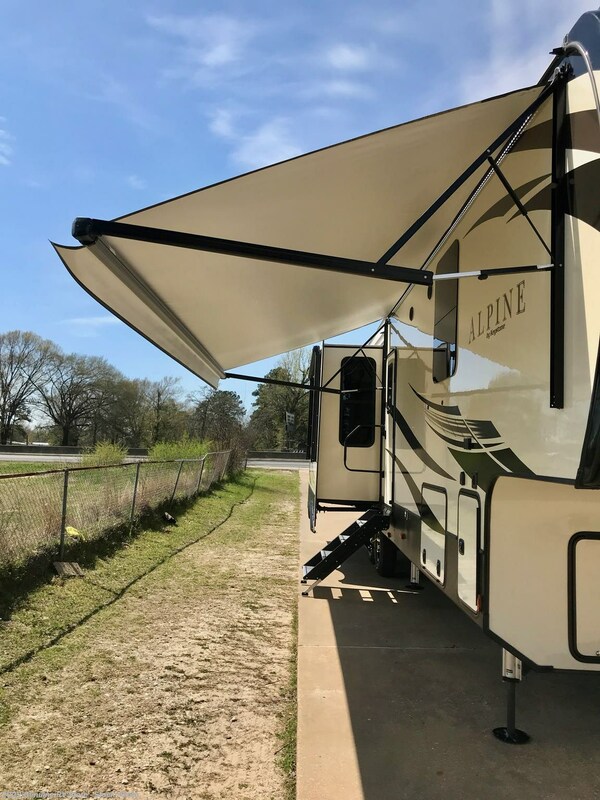 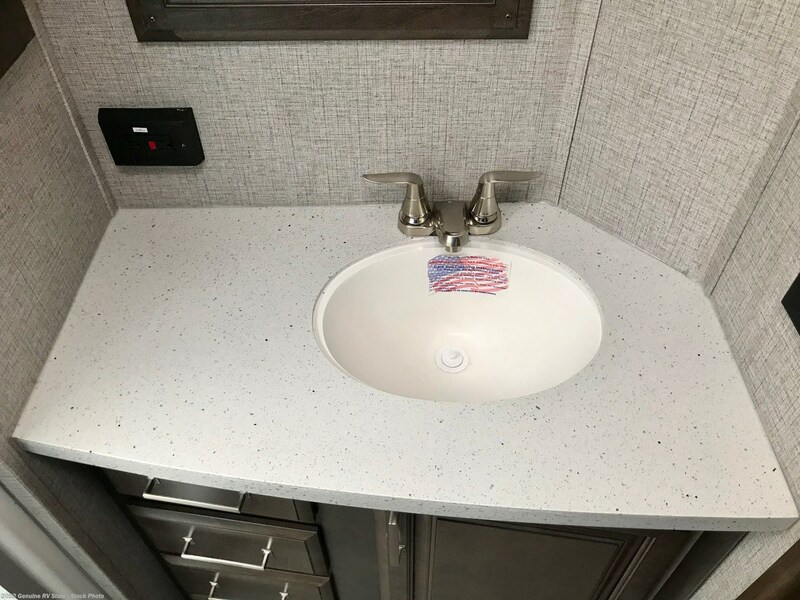 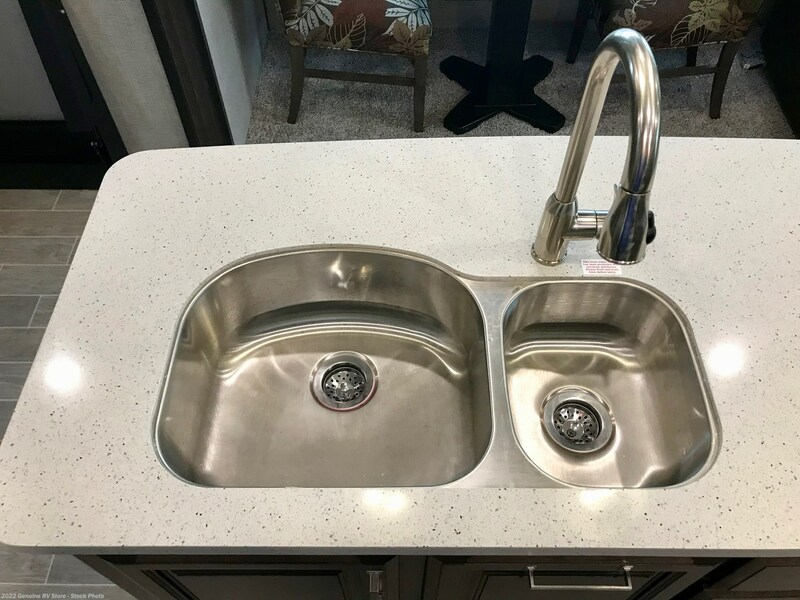 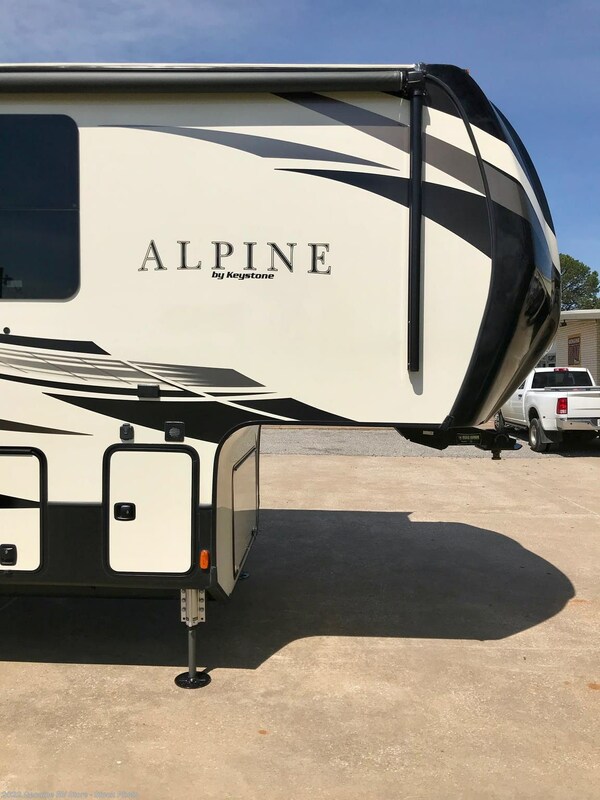 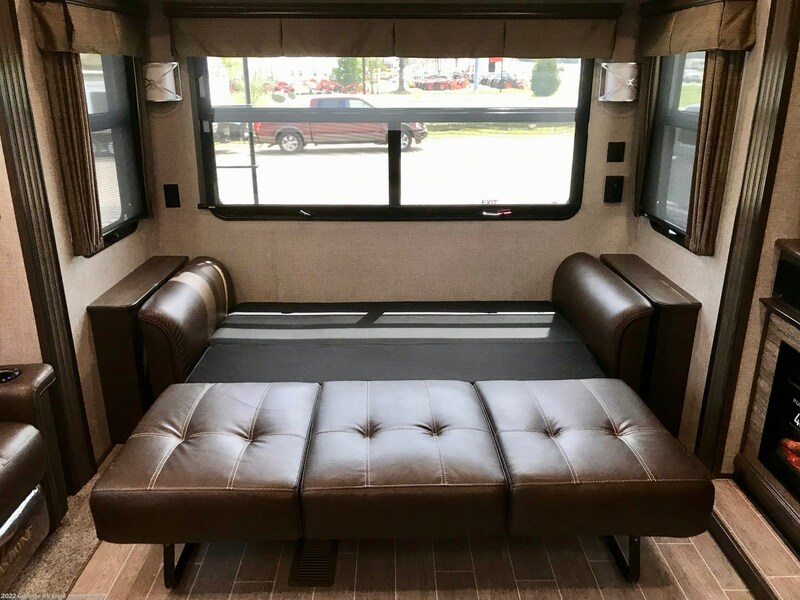 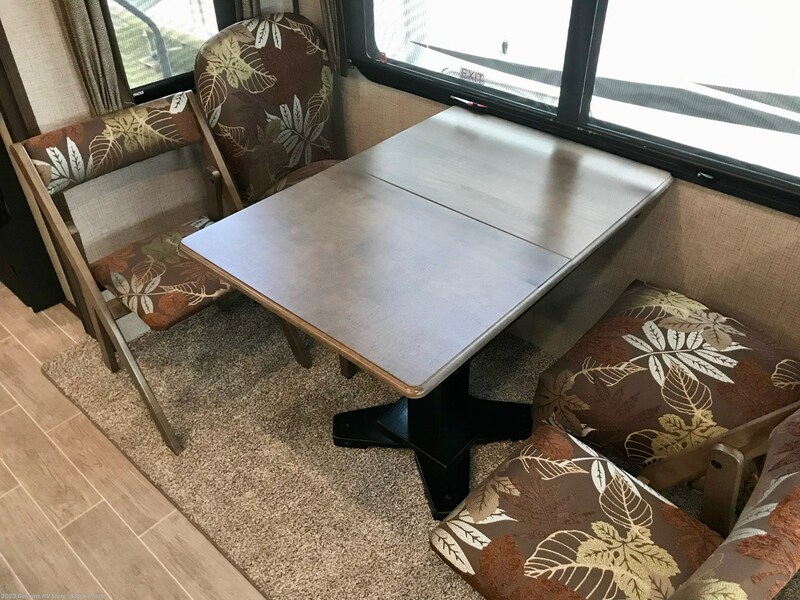 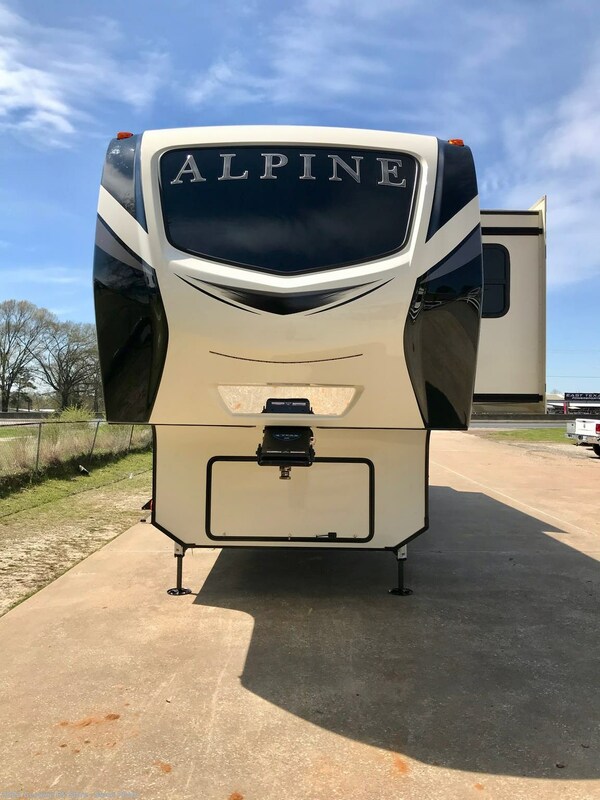 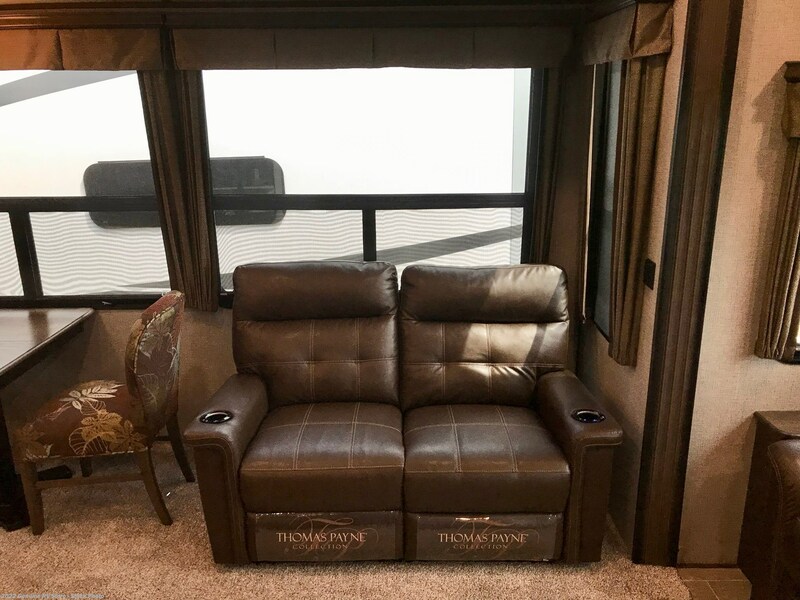 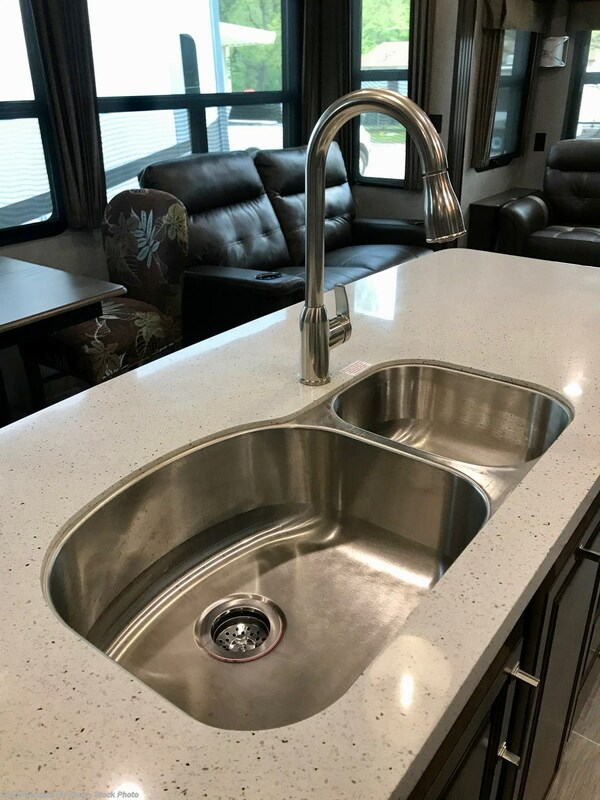 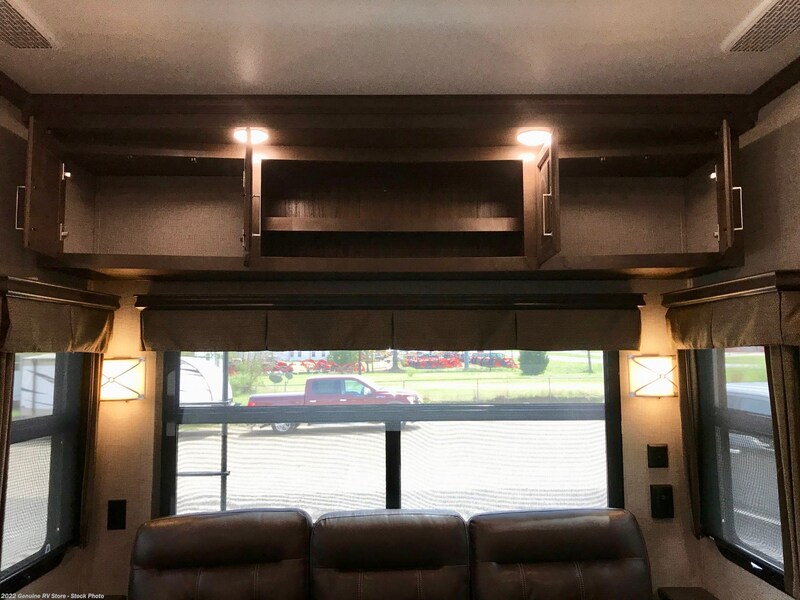 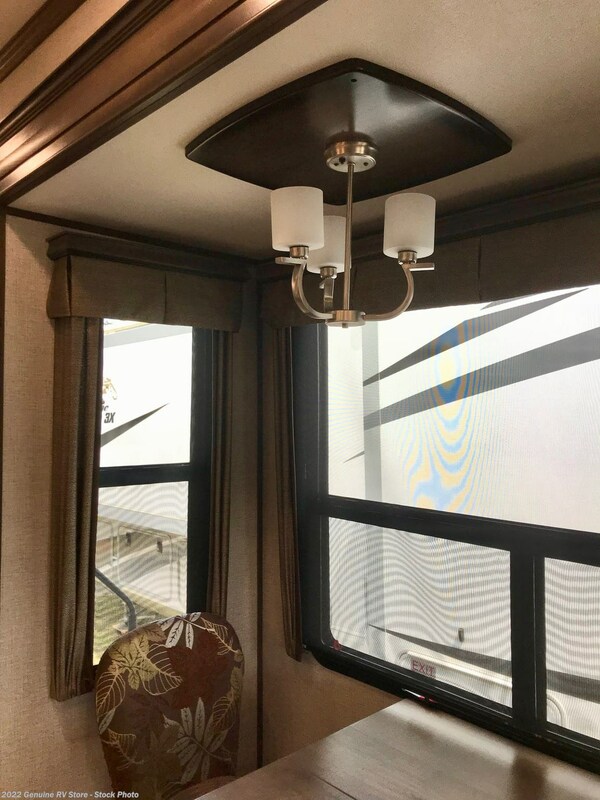 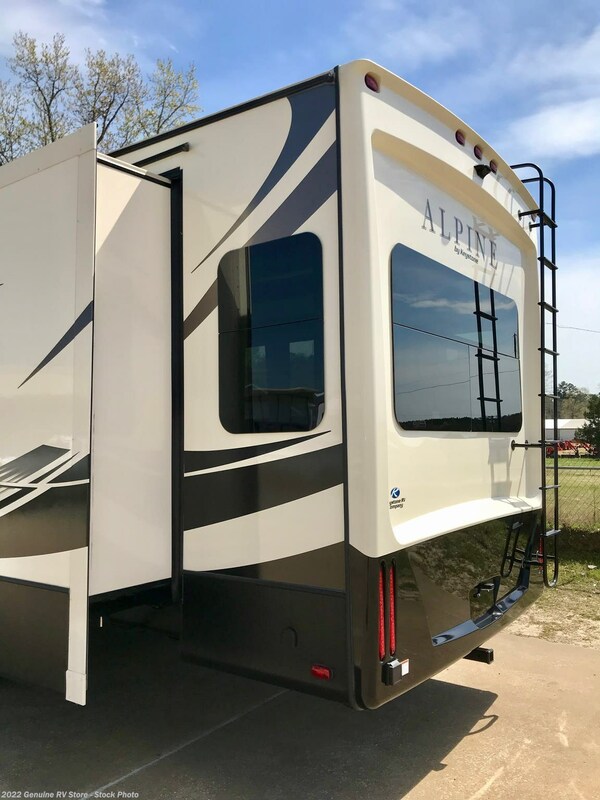 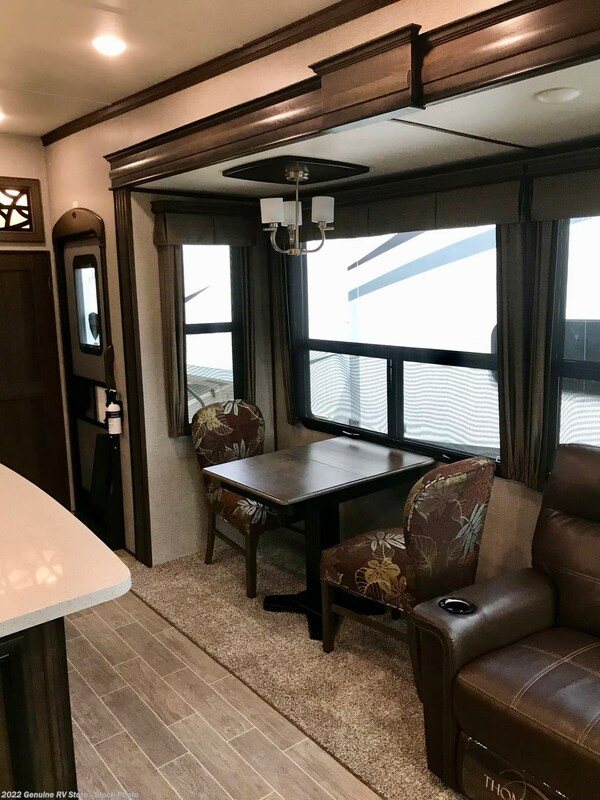 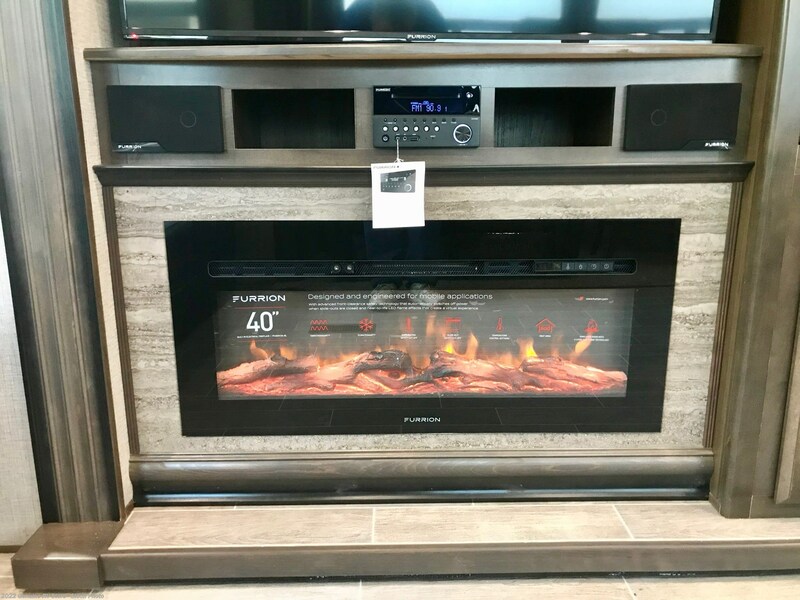 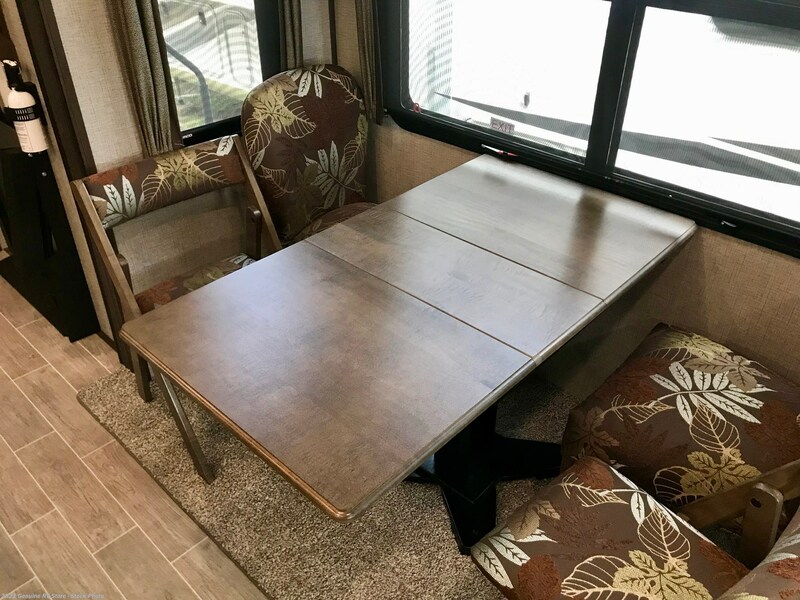 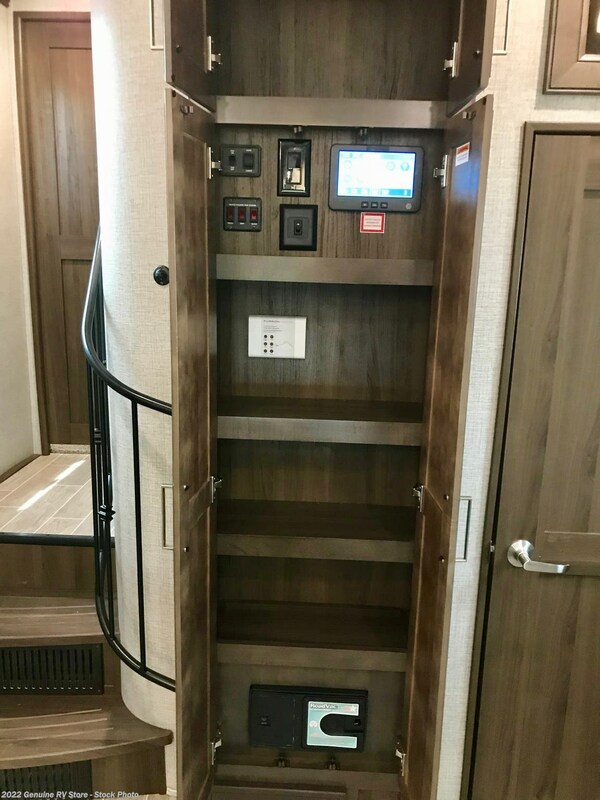 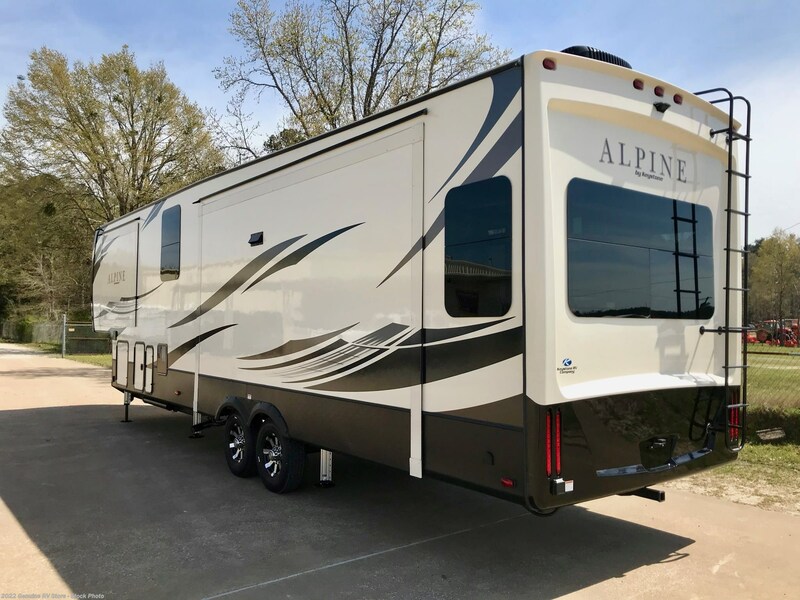 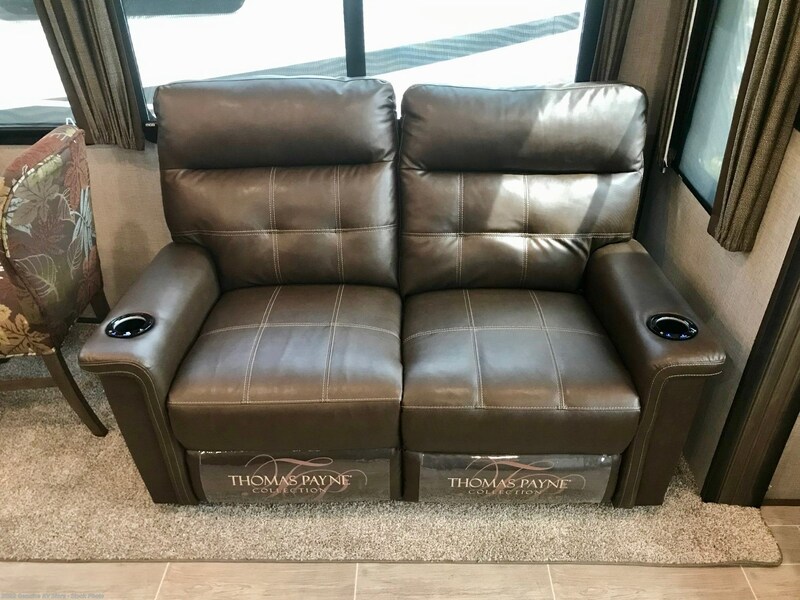 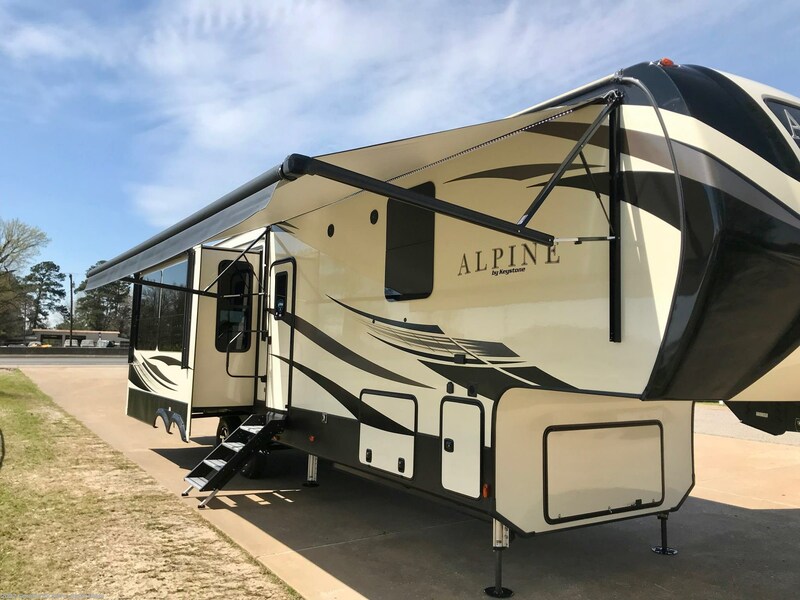 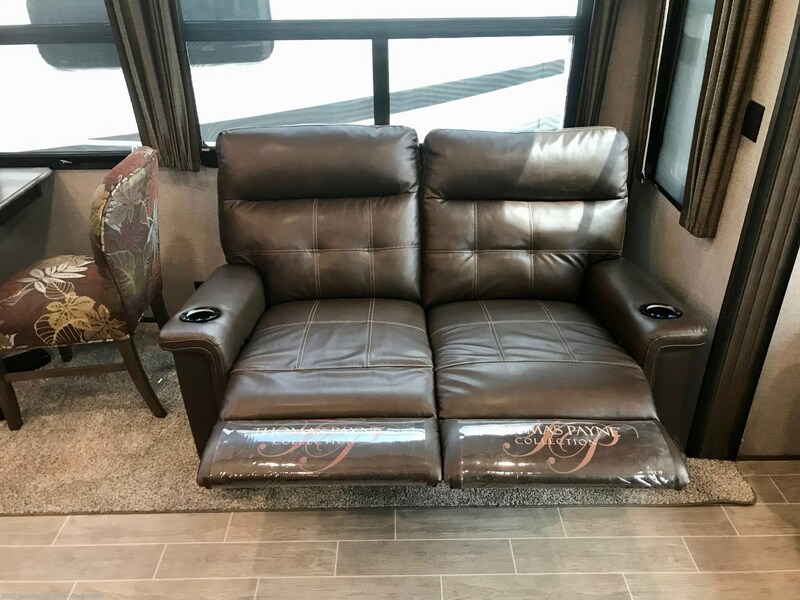 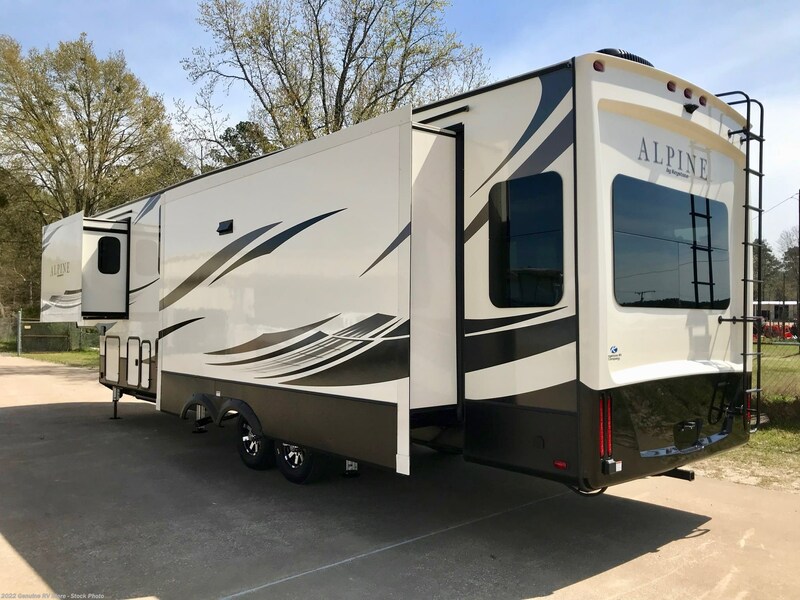 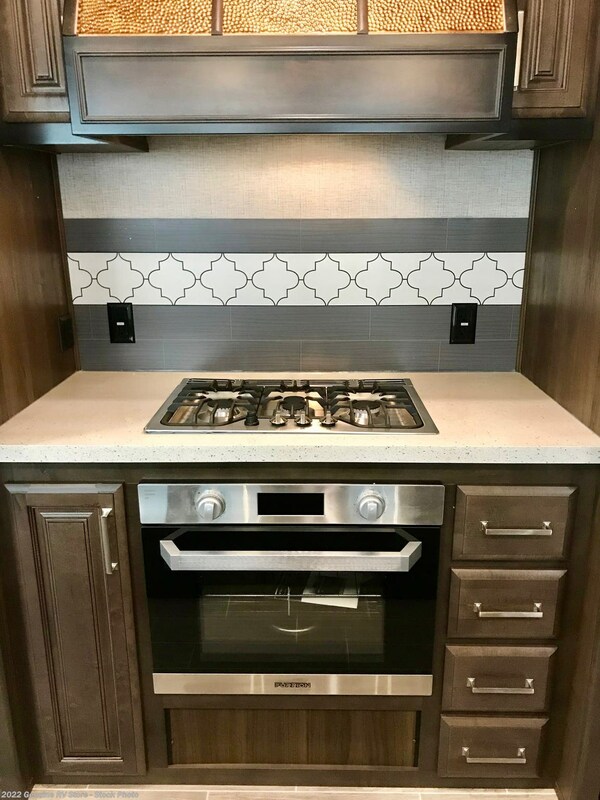 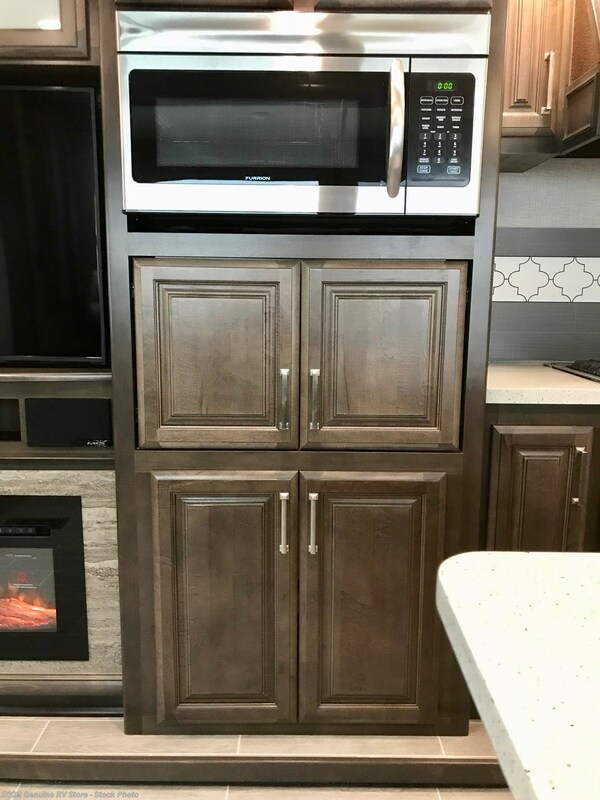 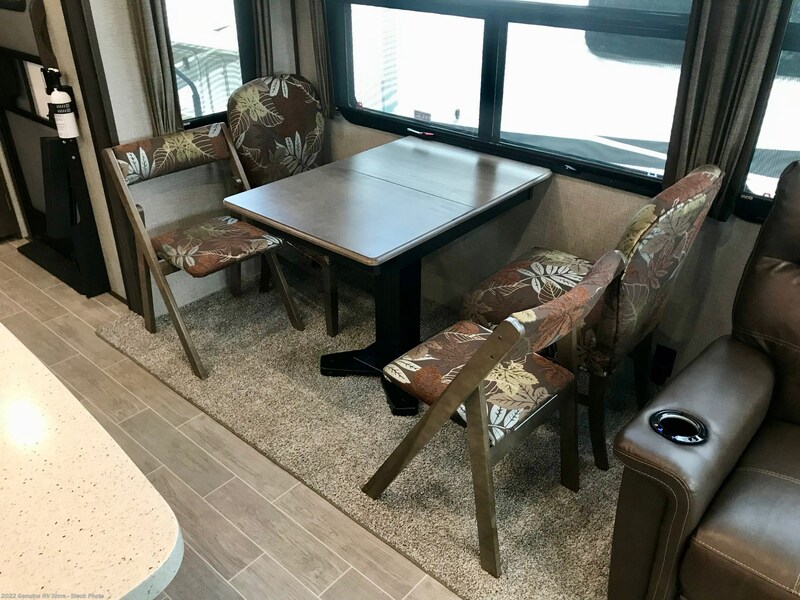 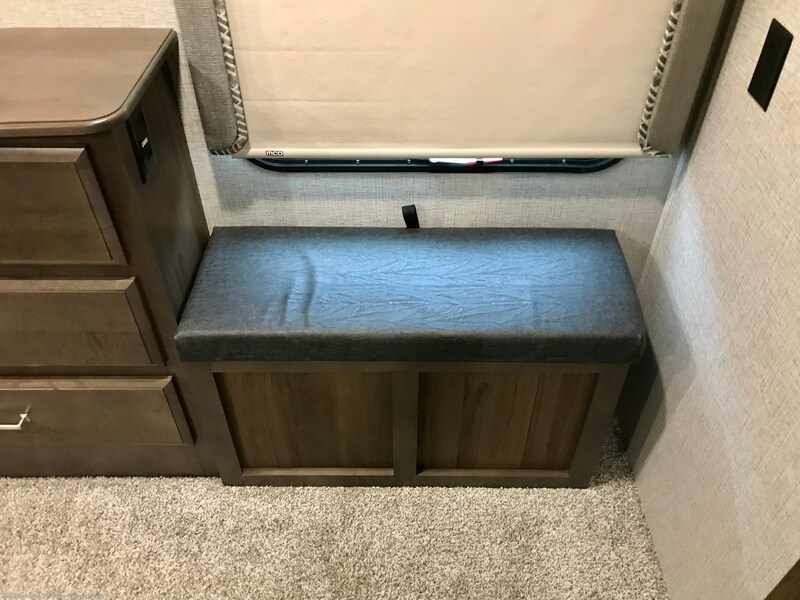 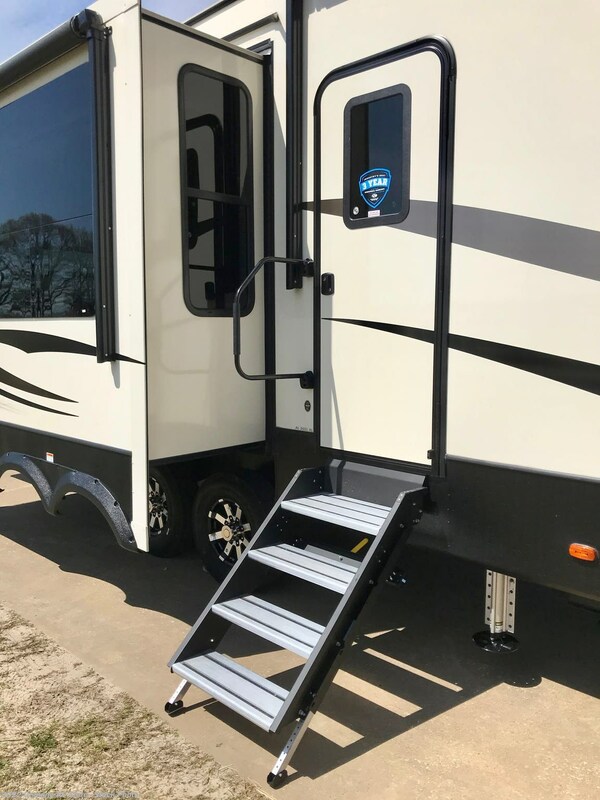 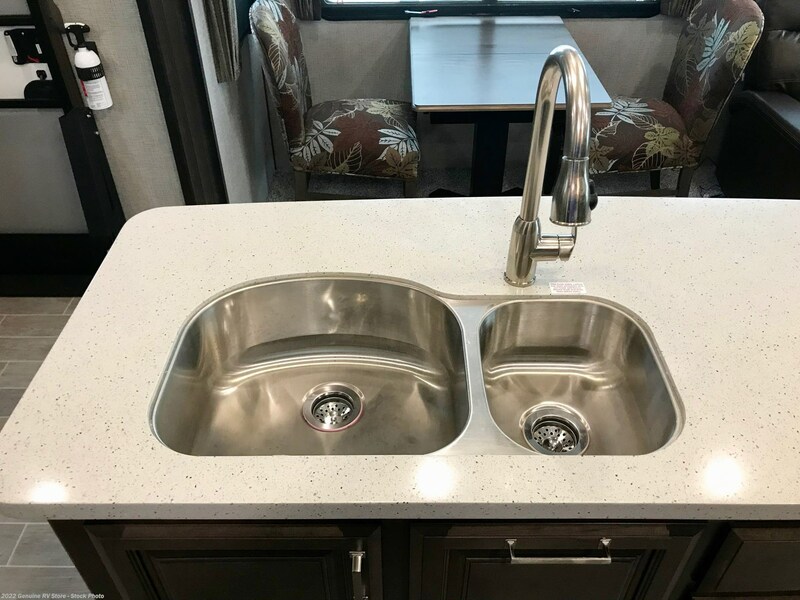 See this Stock # 17085 - 2019 Keystone Alpine 3651RL on Genuine RV Store! 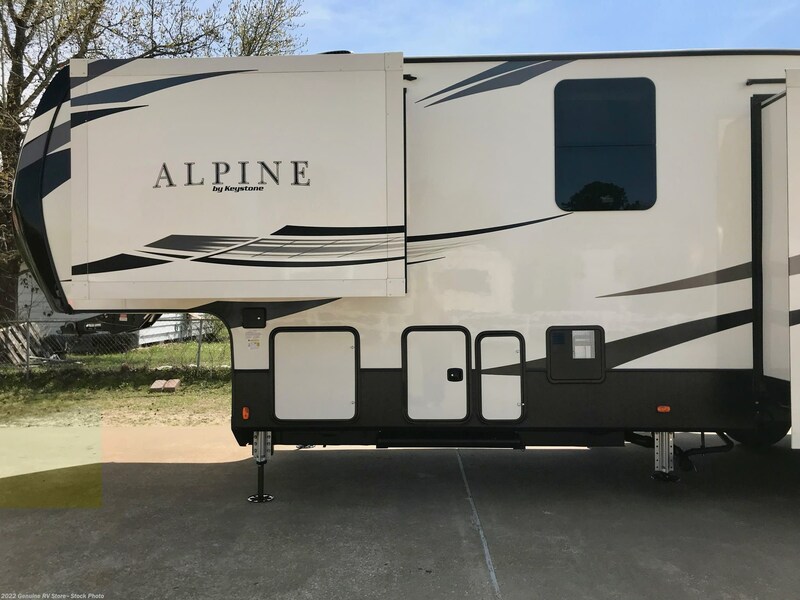 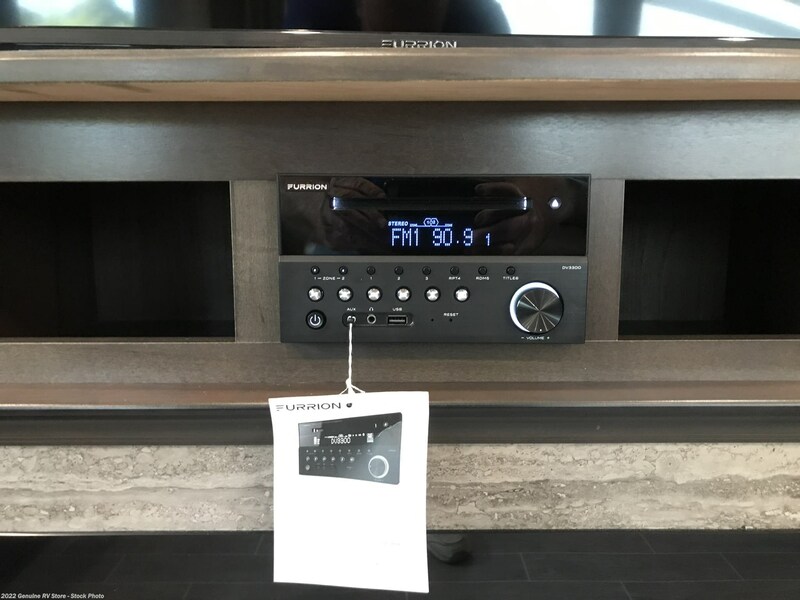 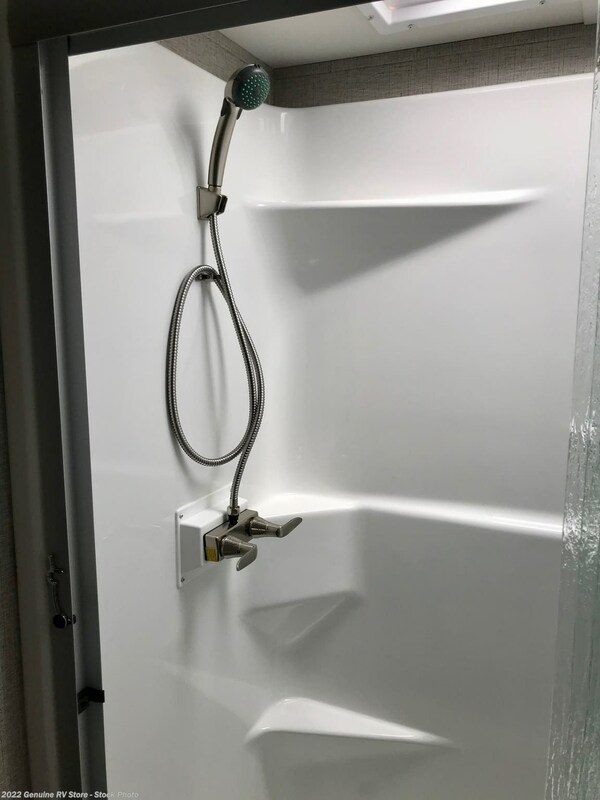 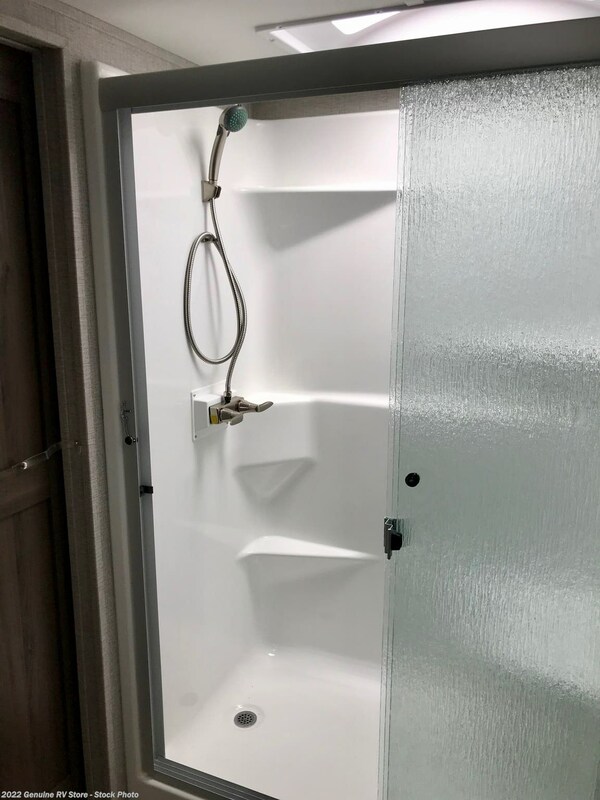 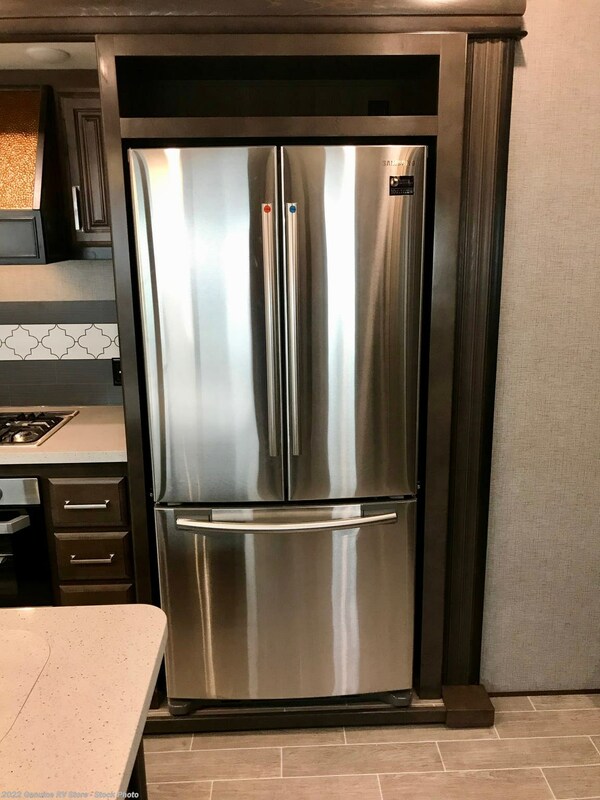 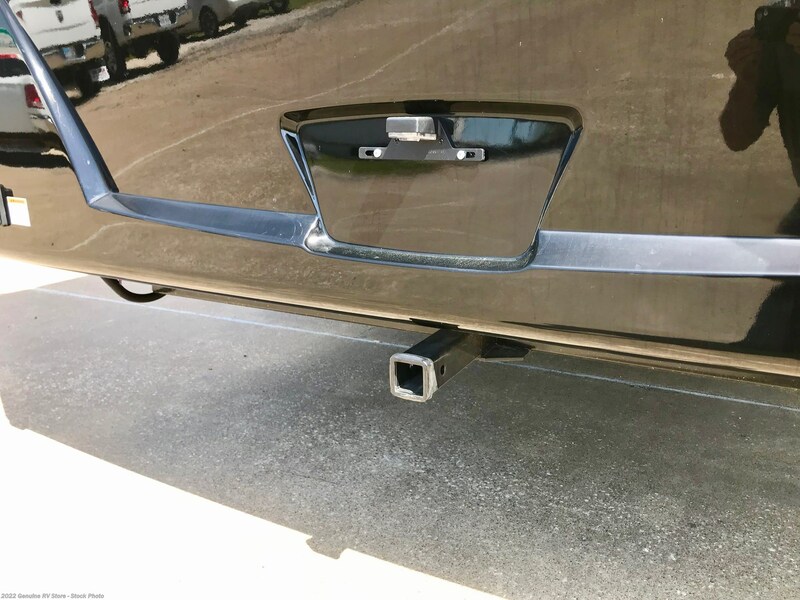 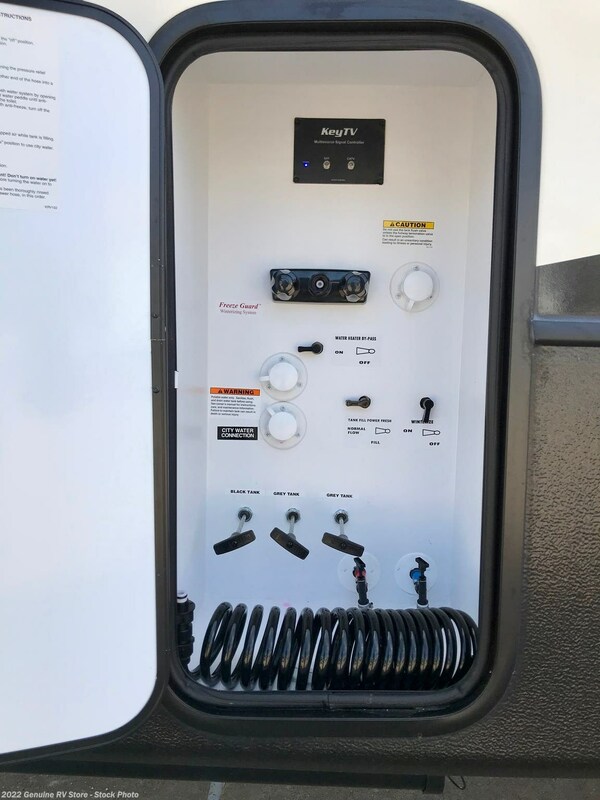 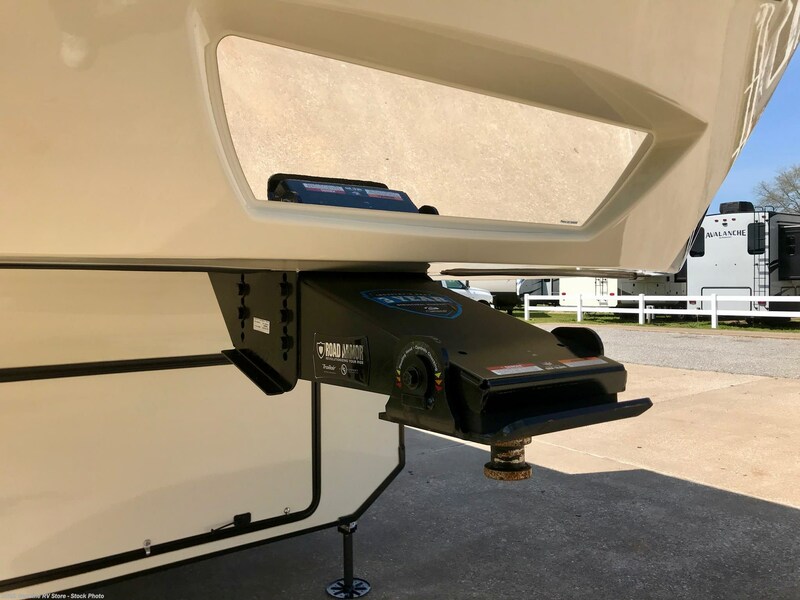 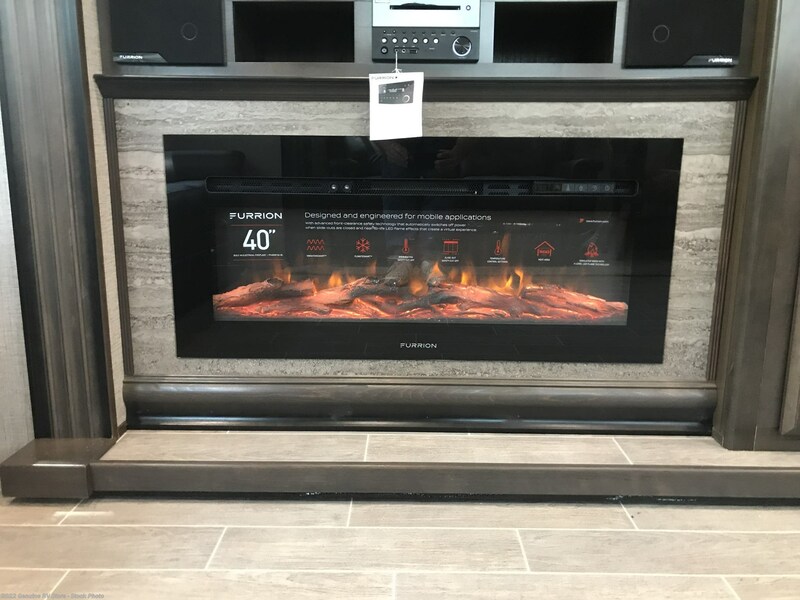 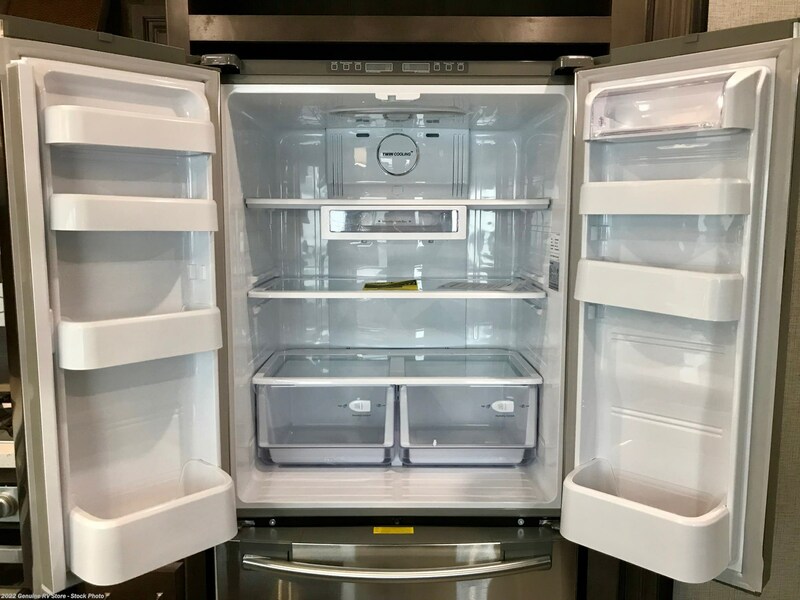 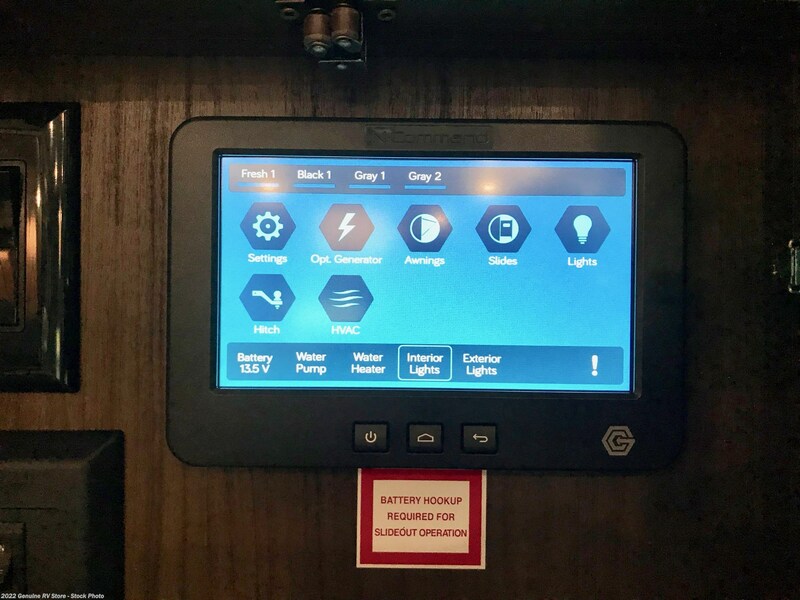 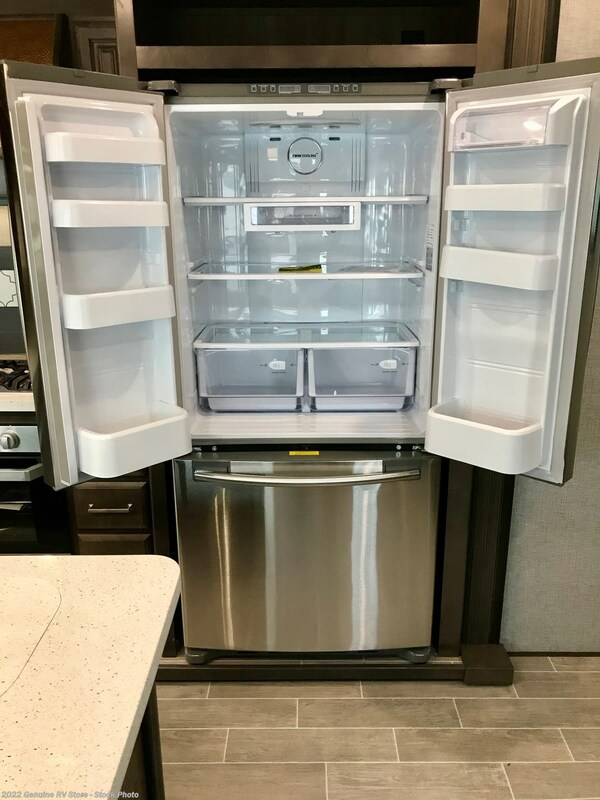 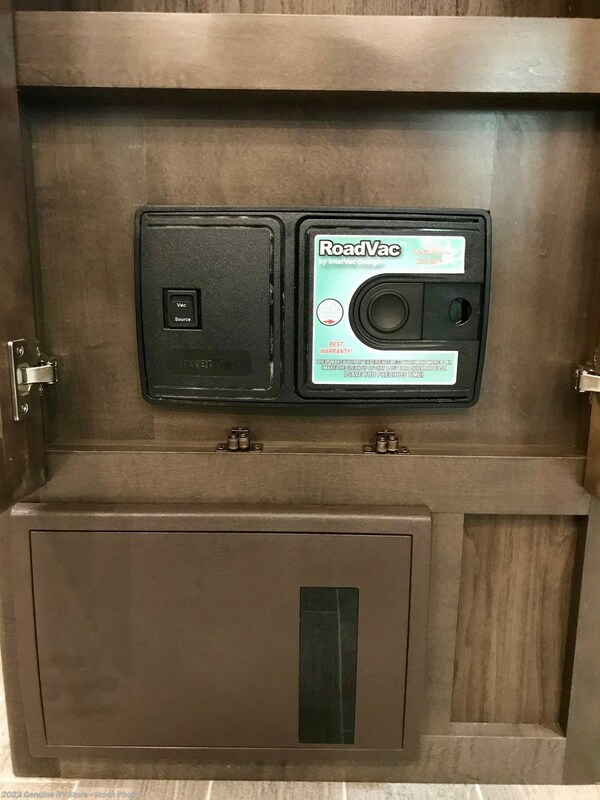 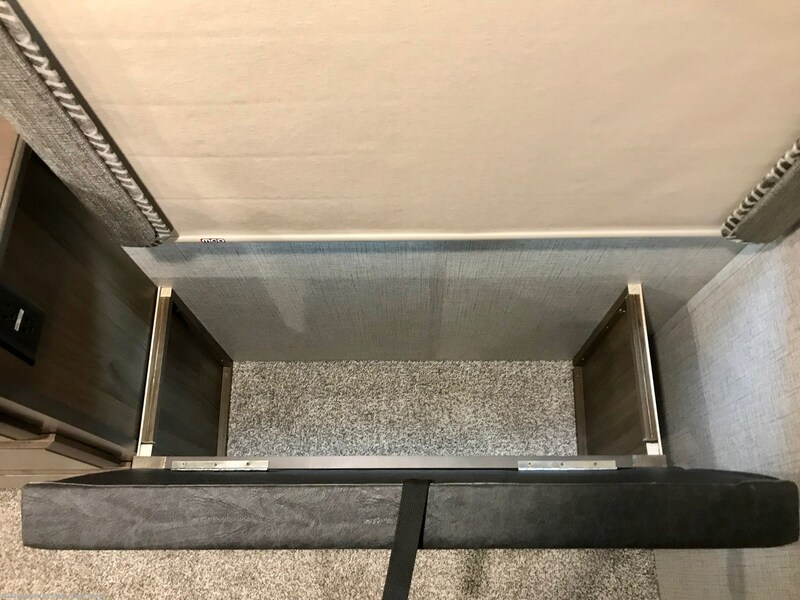 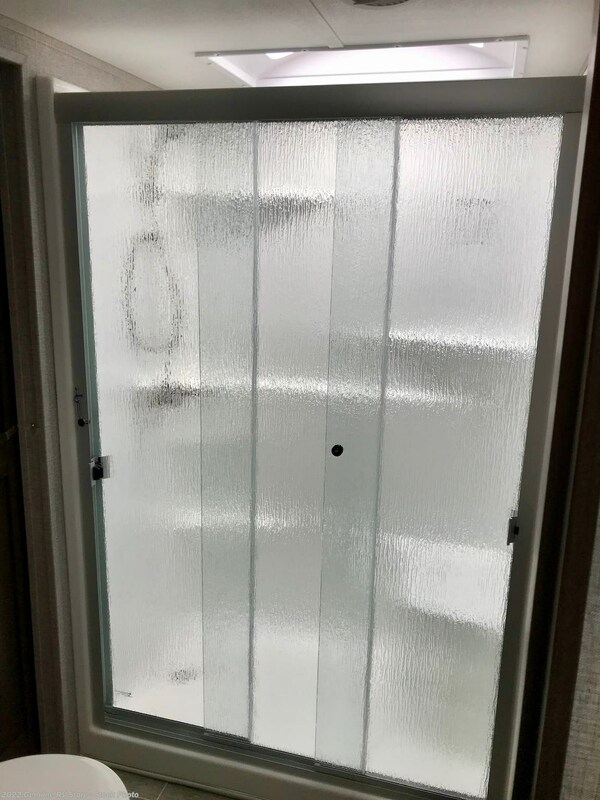 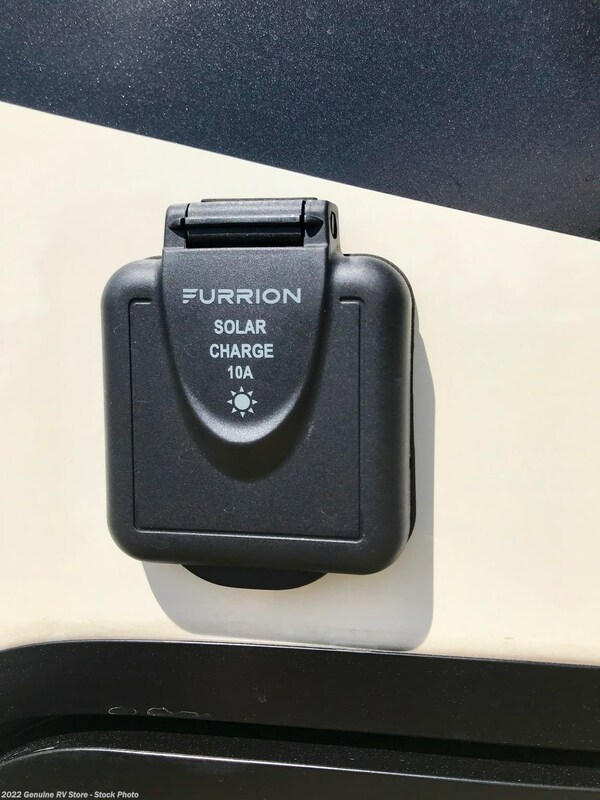 Check out Stock # 17085 - 2019 Keystone Alpine 3651RL on keystonervsource.com!